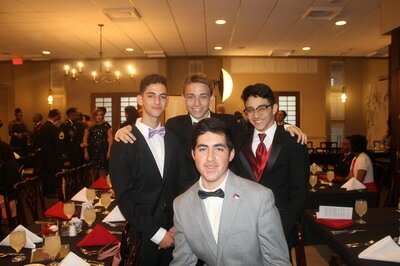 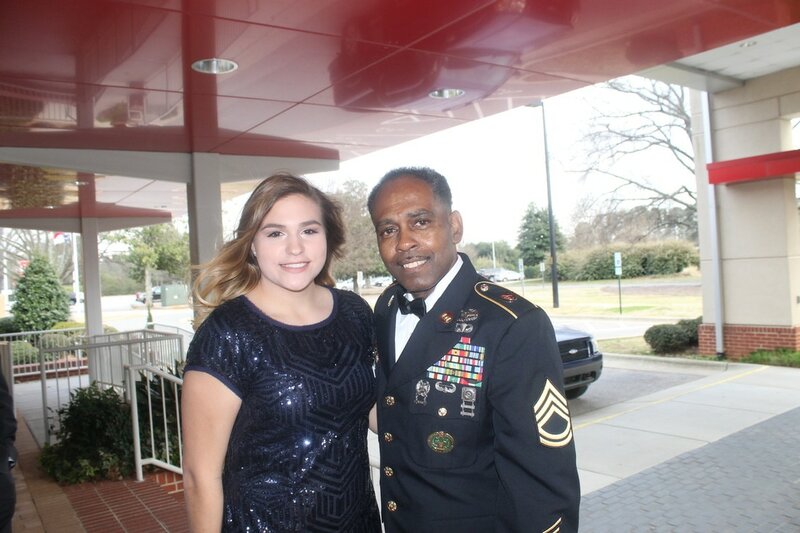 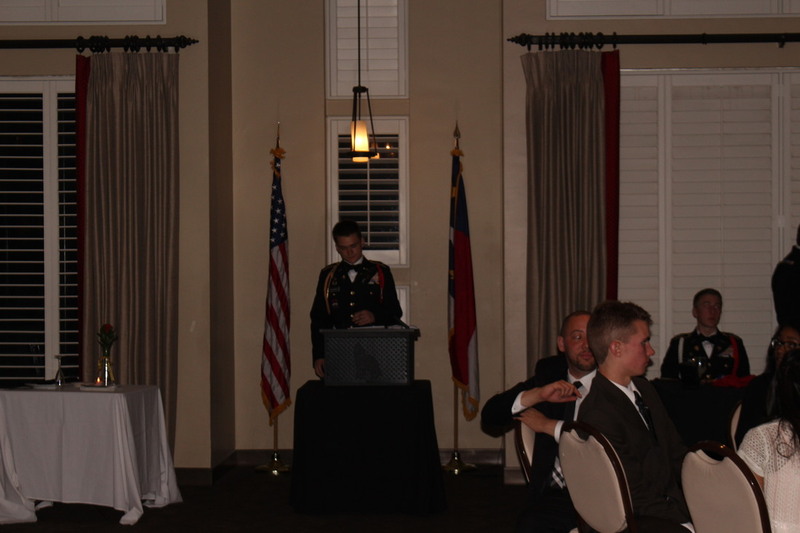 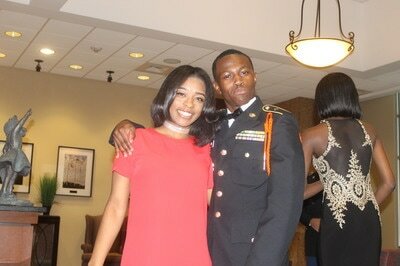 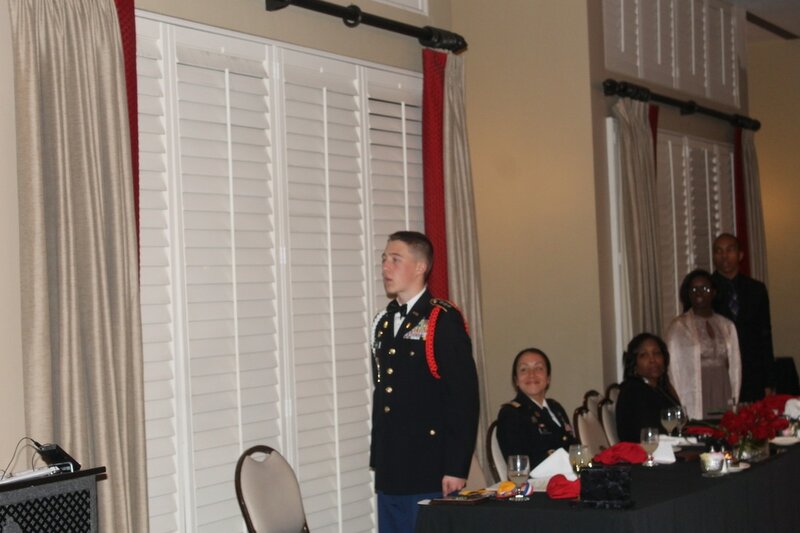 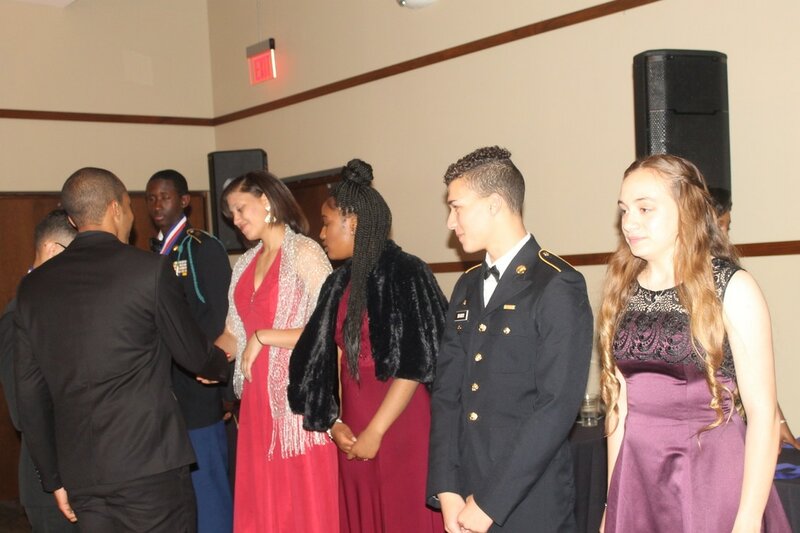 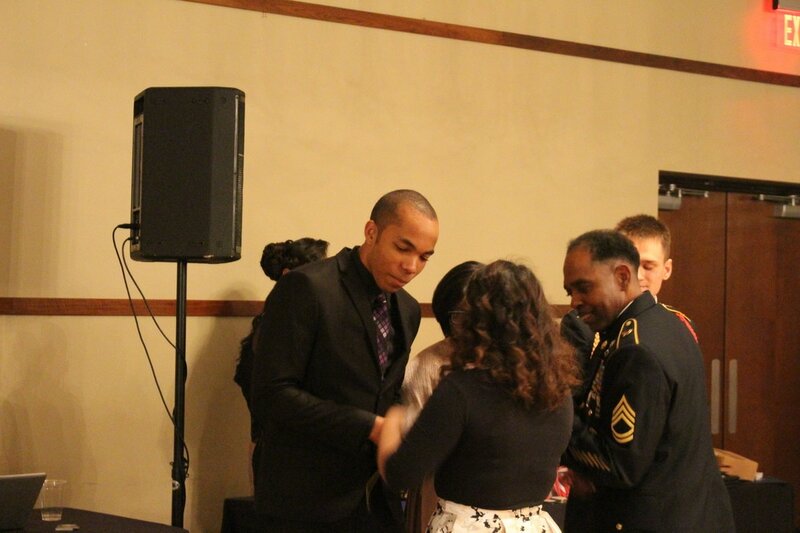 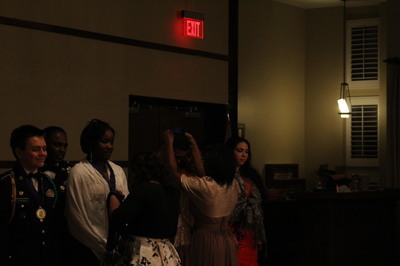 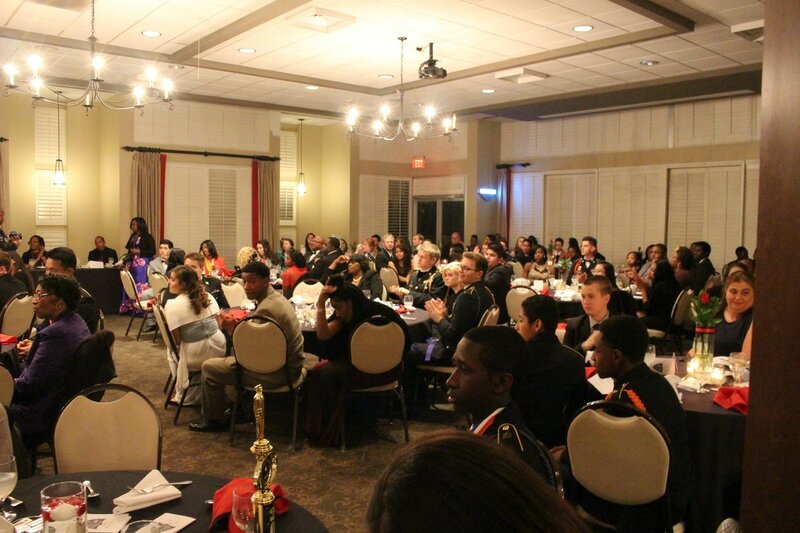 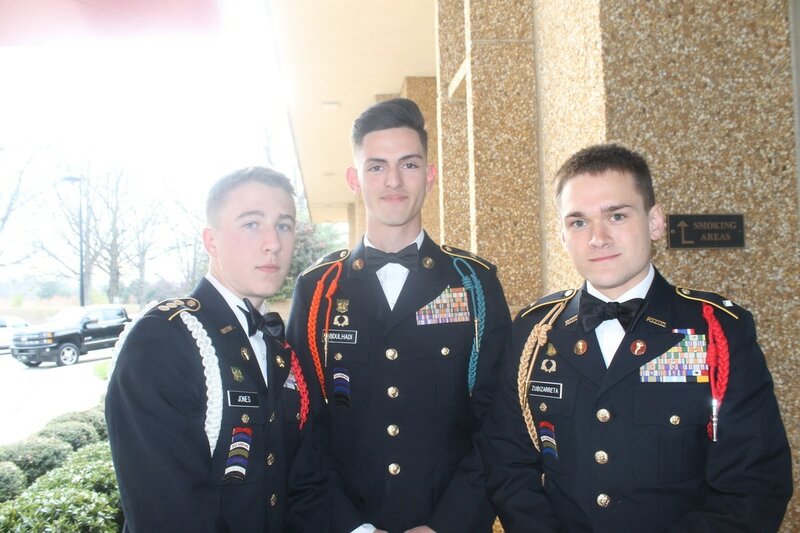 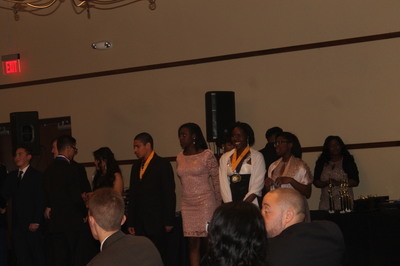 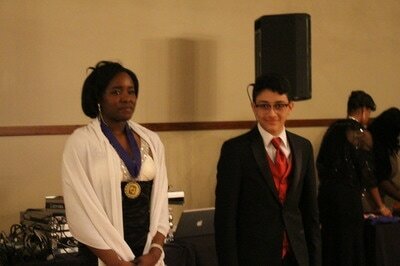 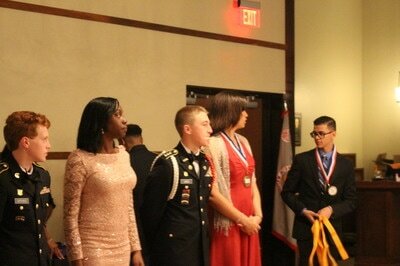 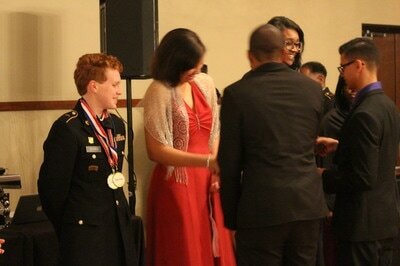 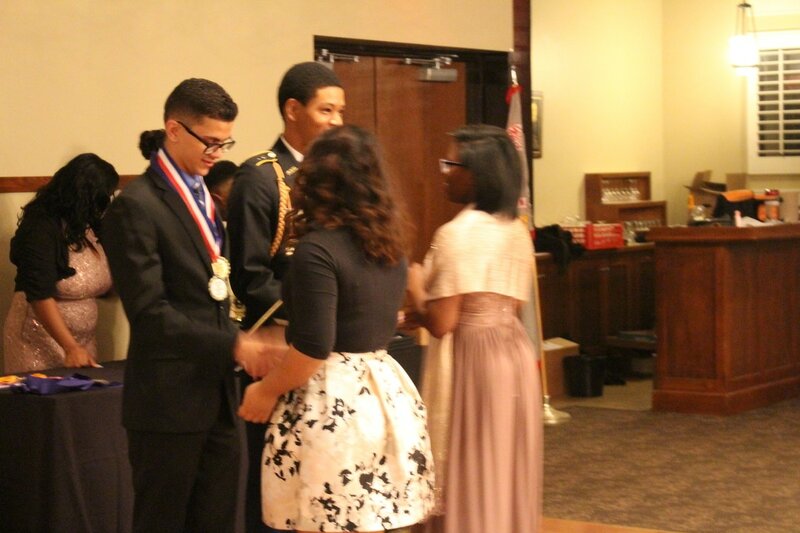 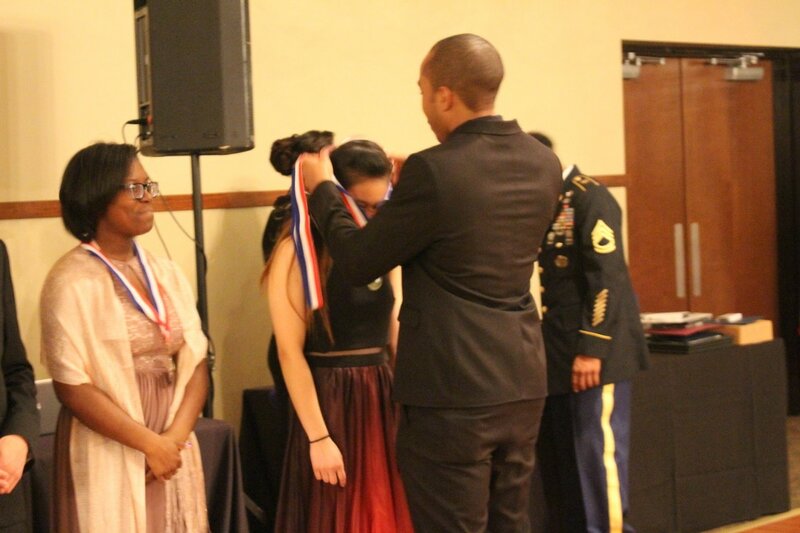 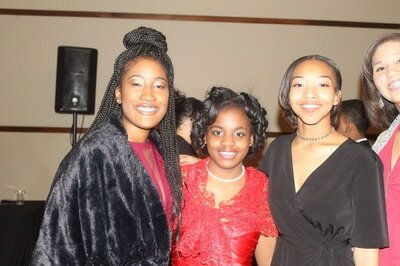 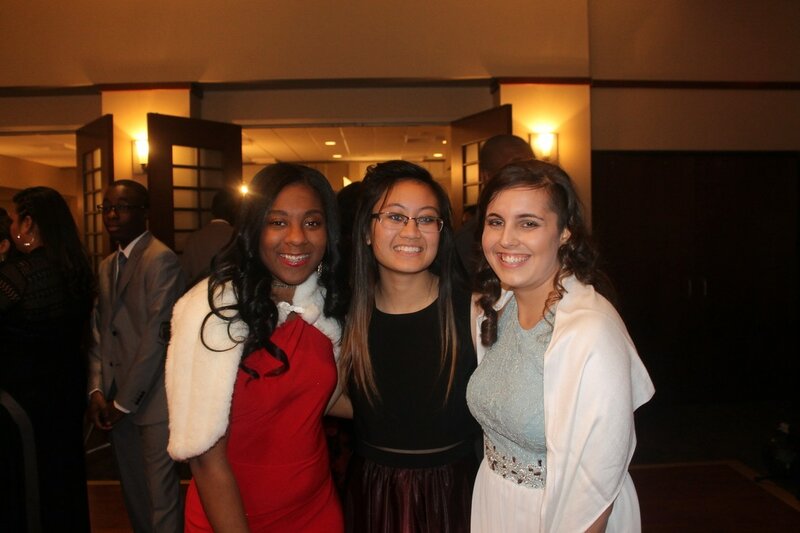 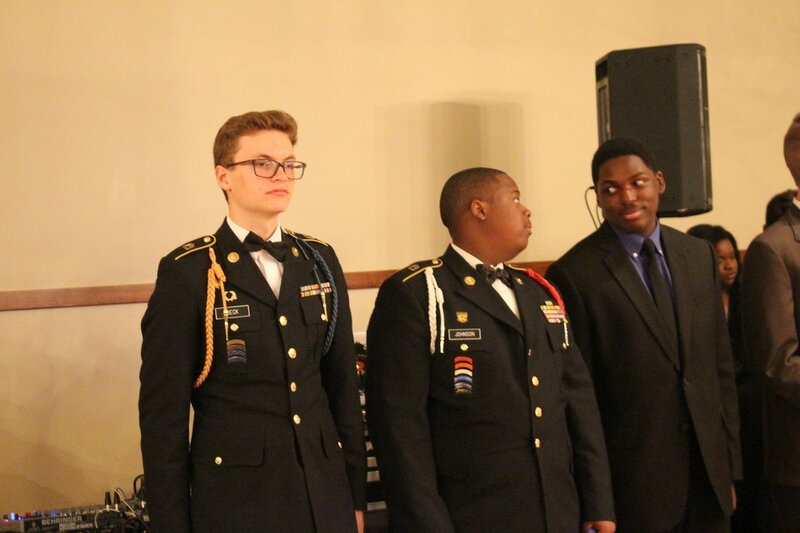 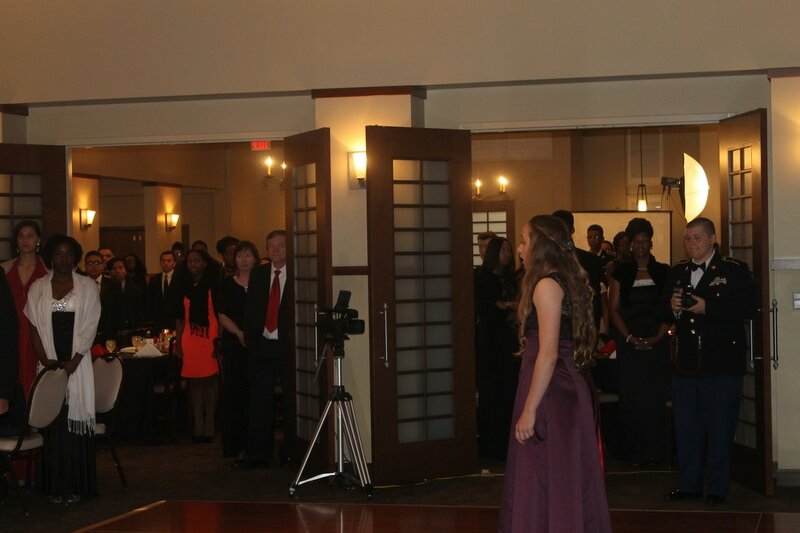 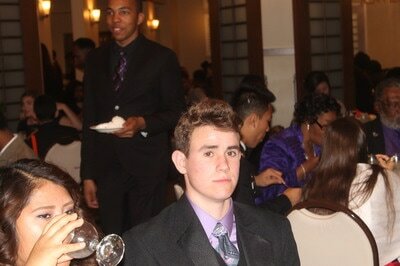 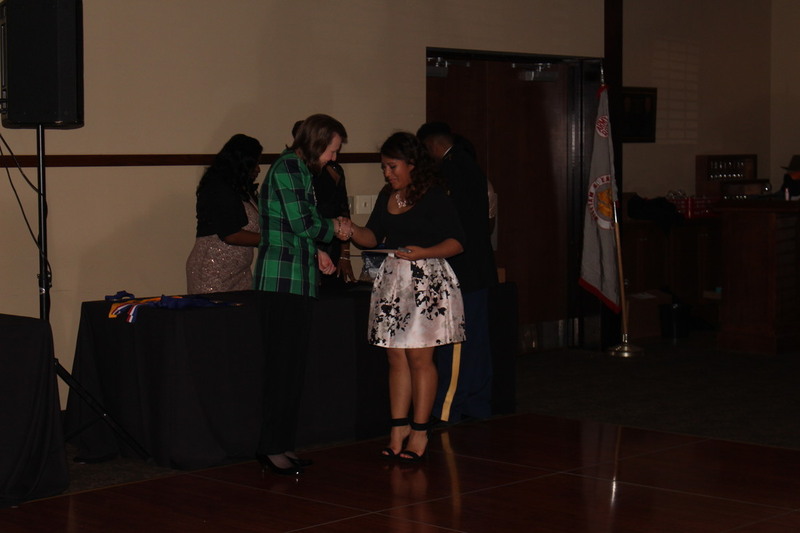 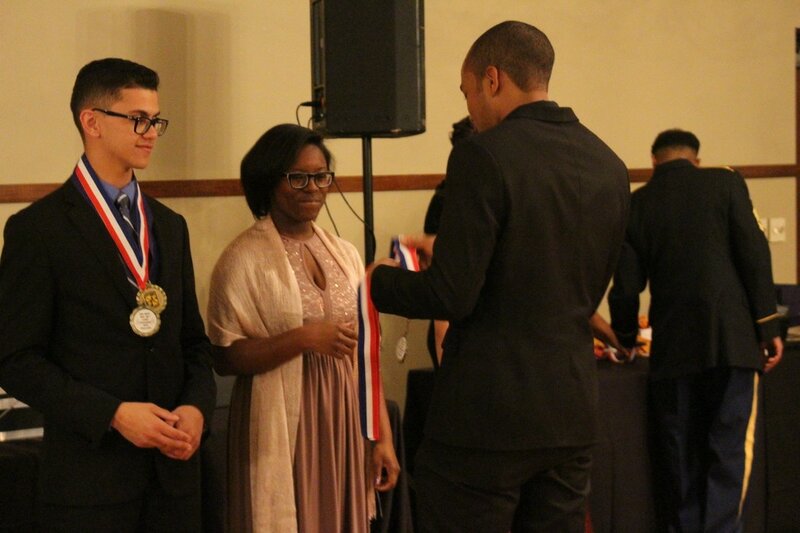 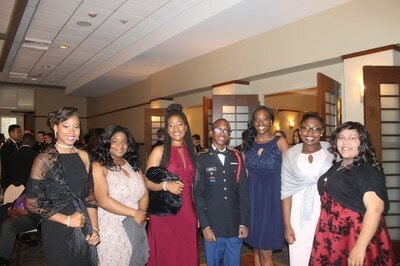 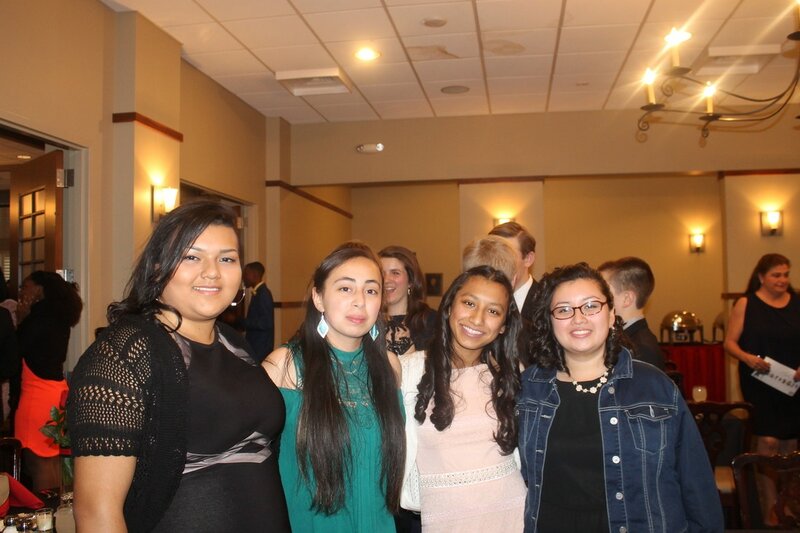 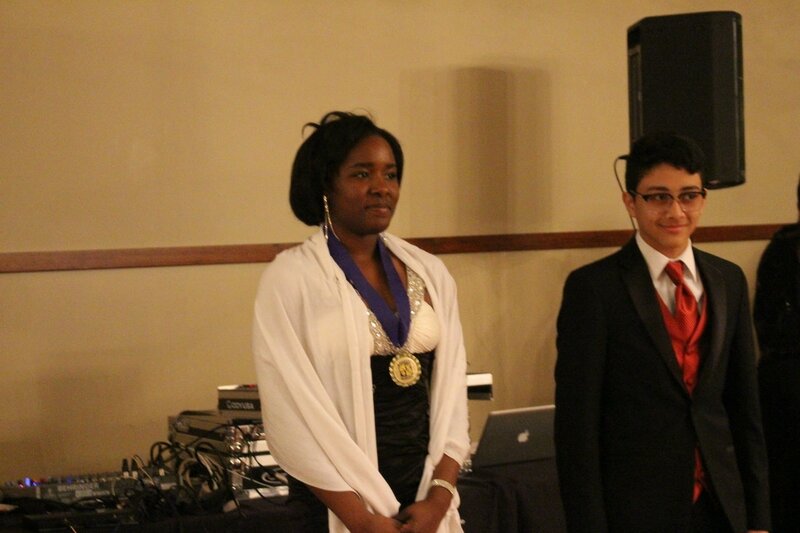 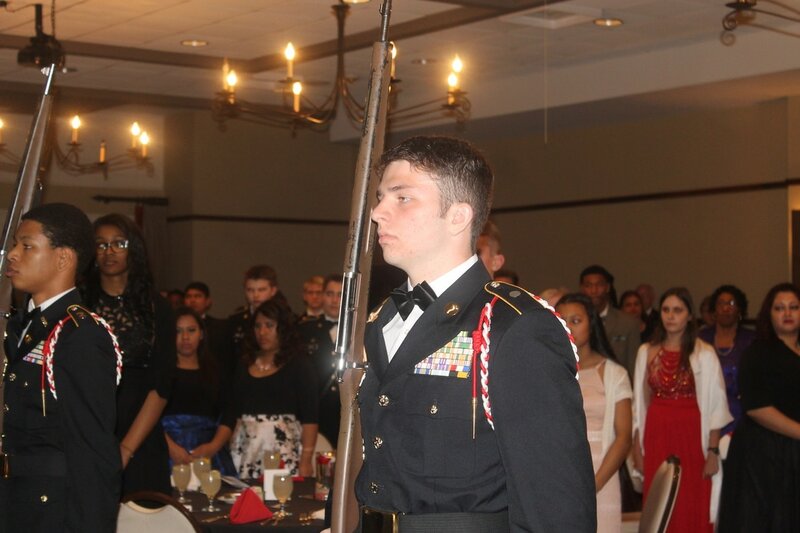 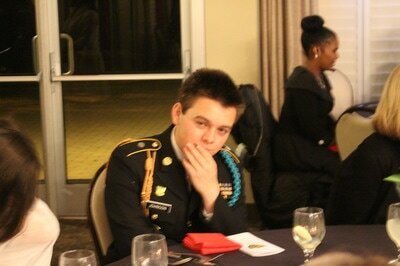 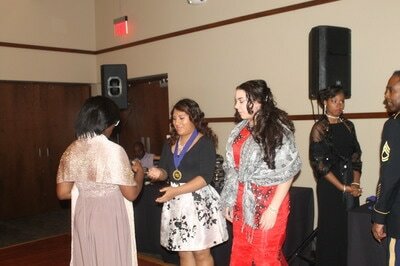 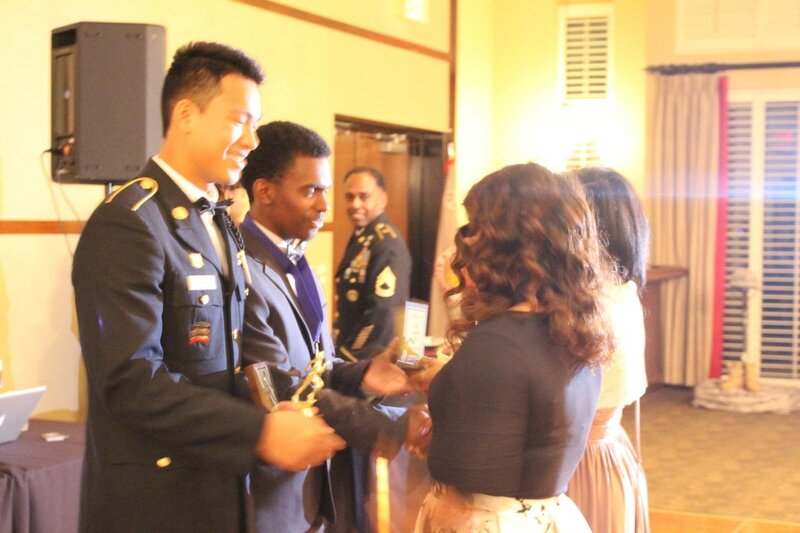 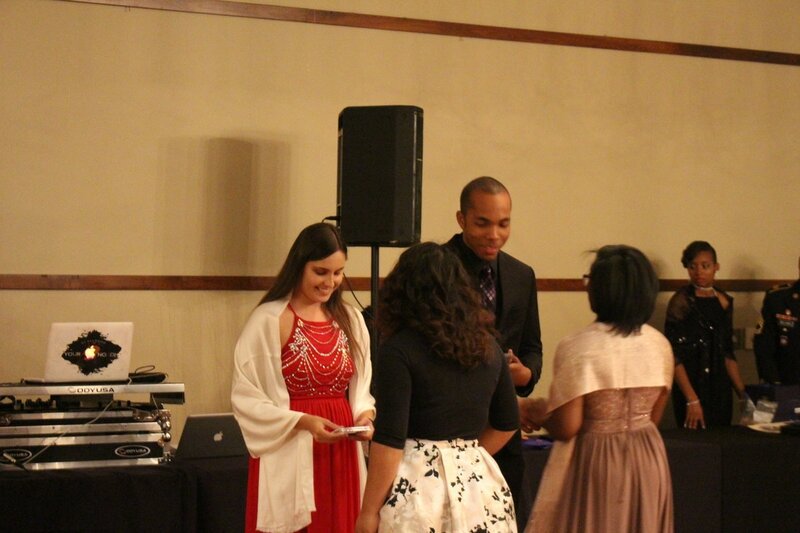 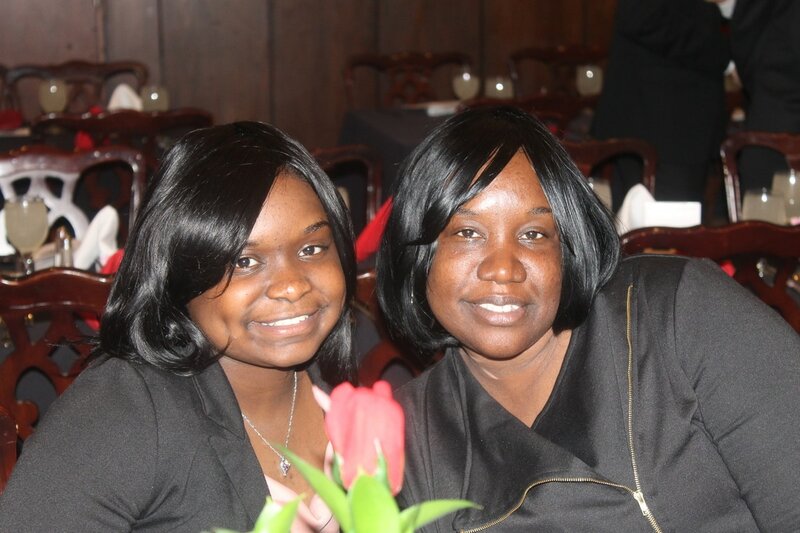 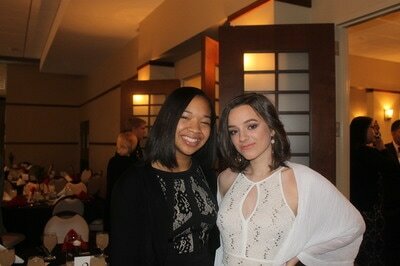 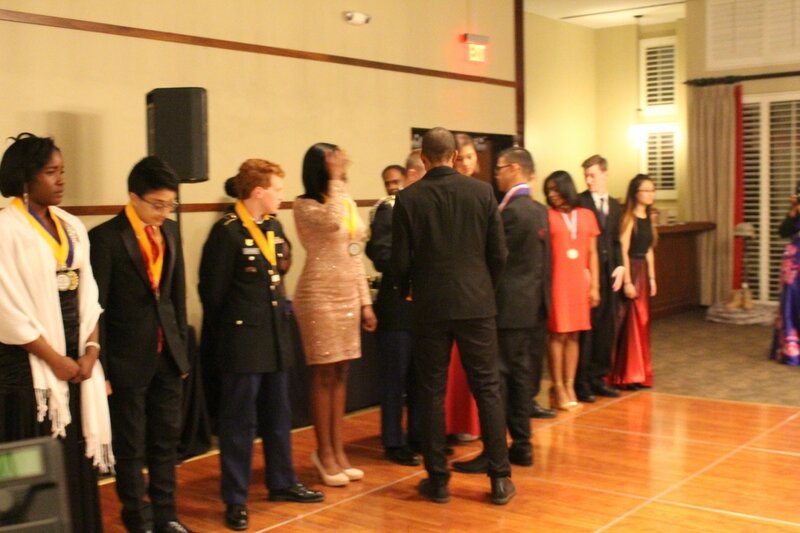 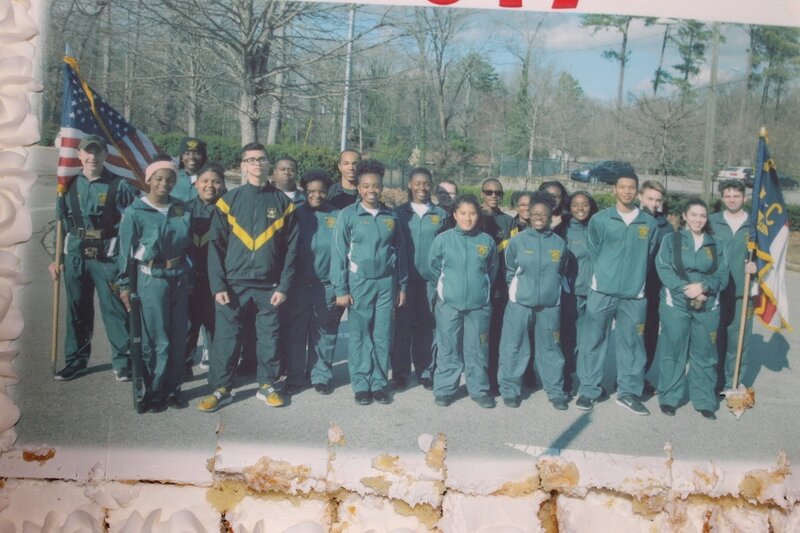 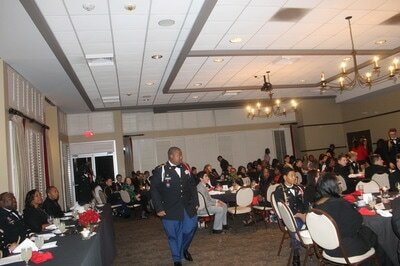 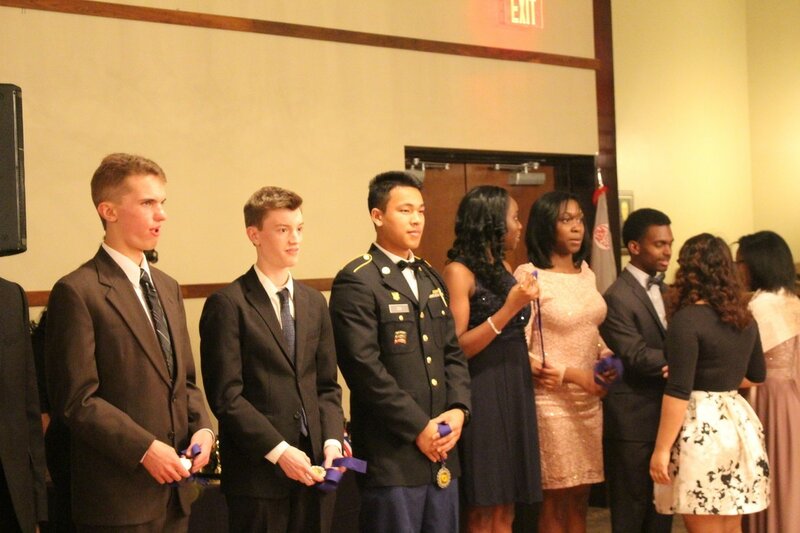 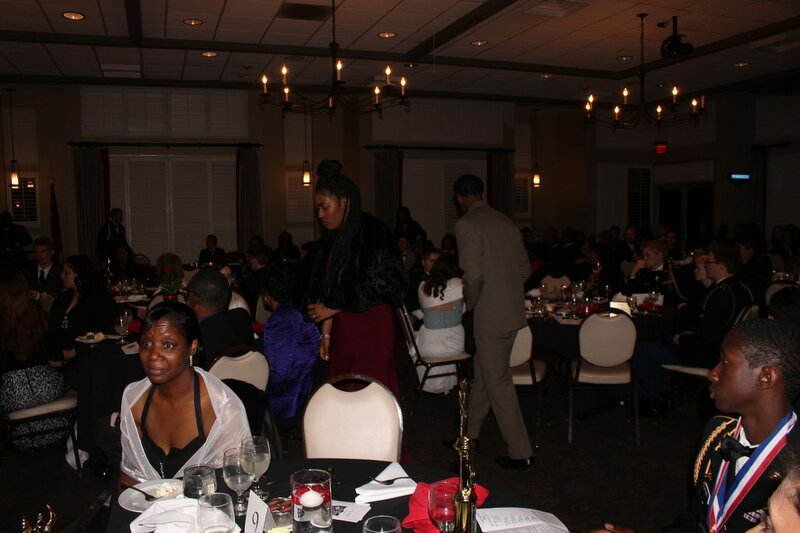 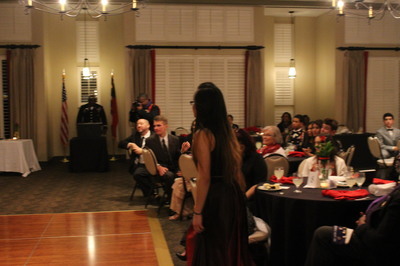 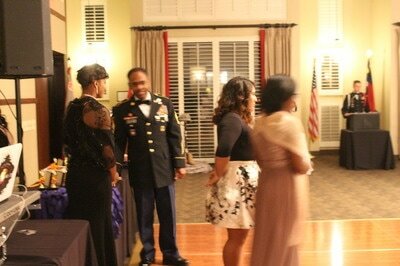 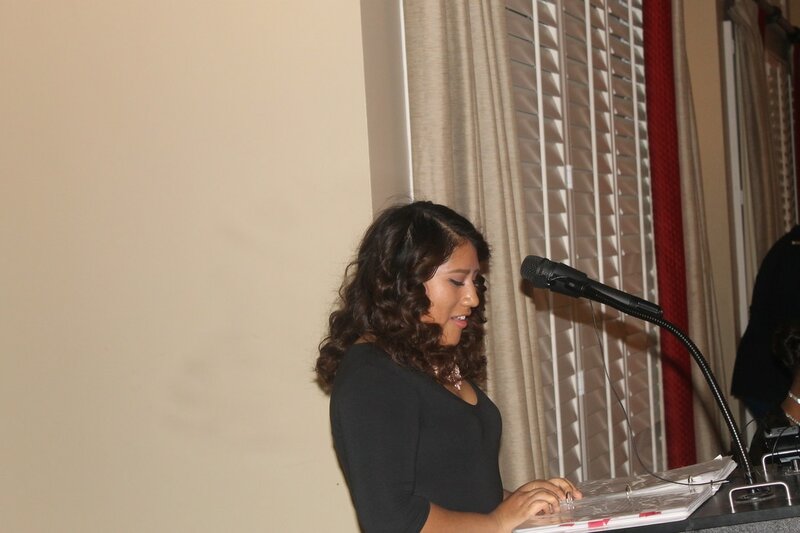 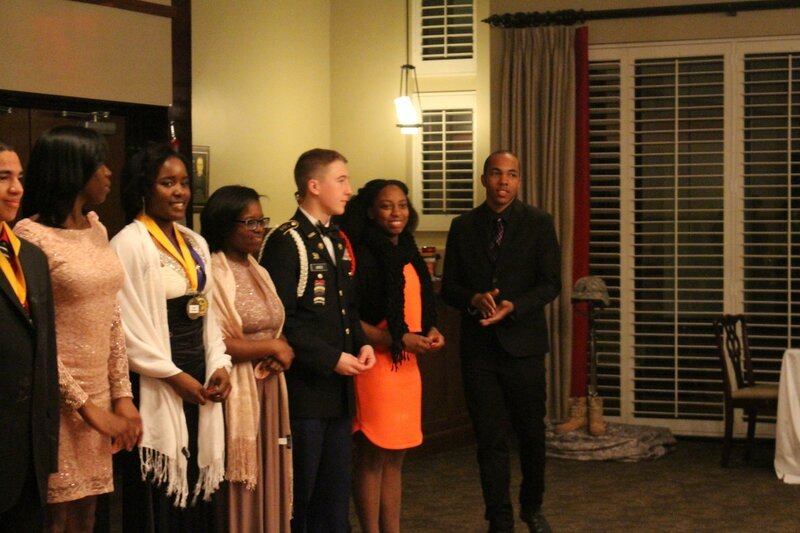 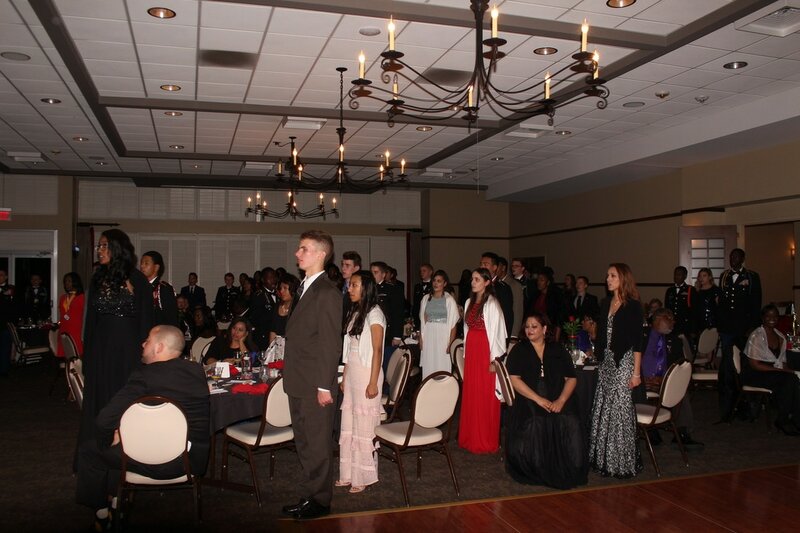 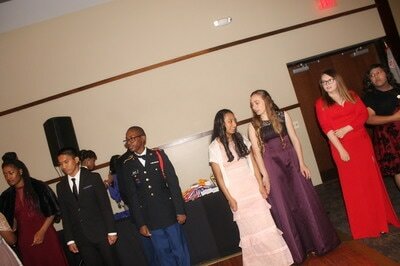 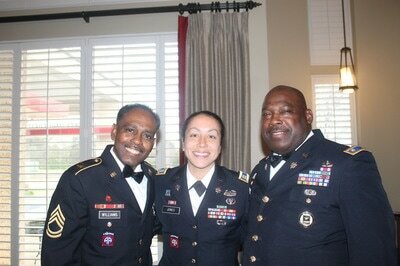 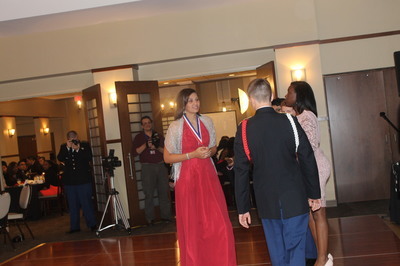 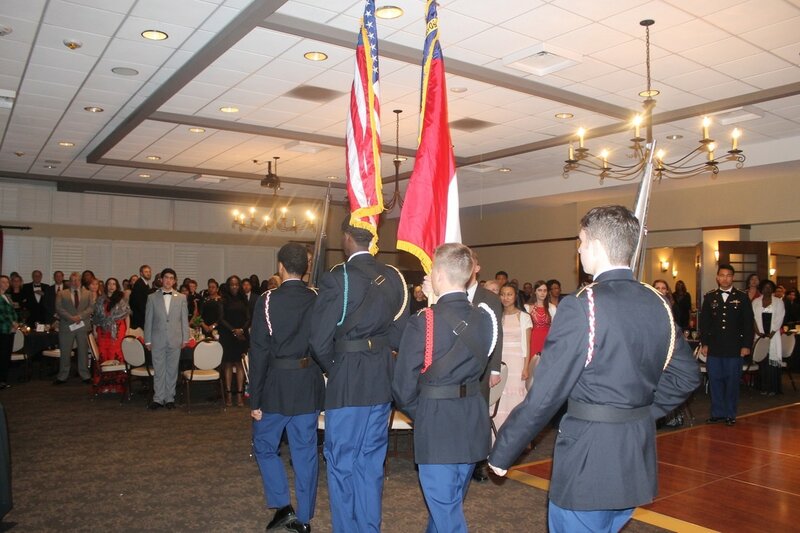 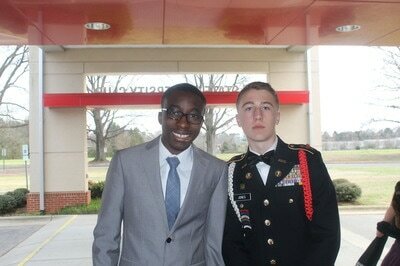 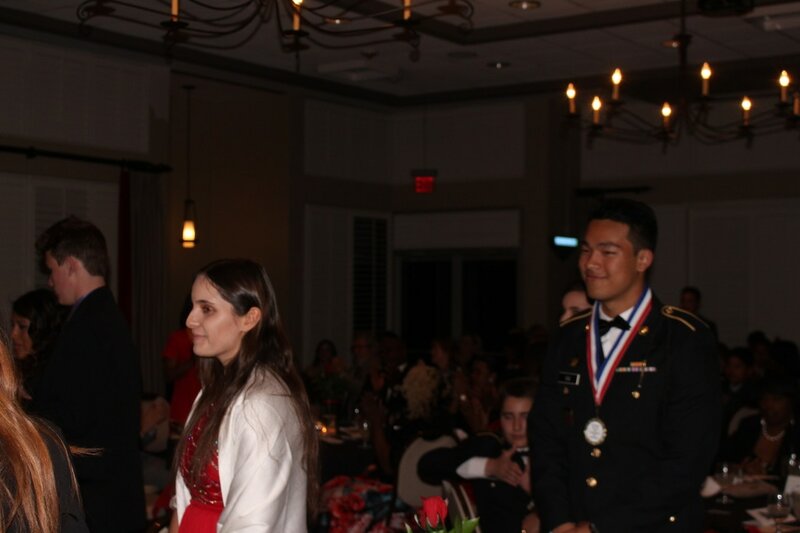 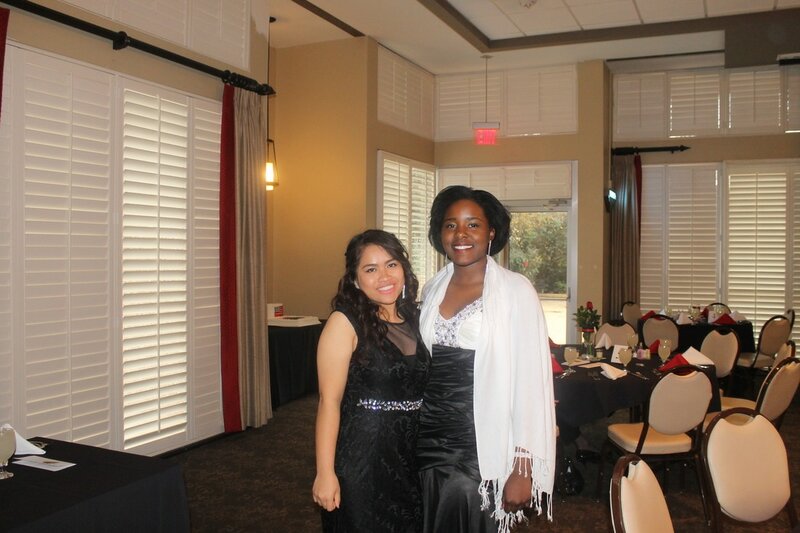 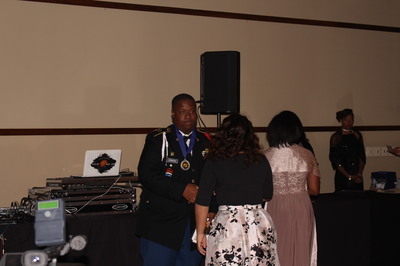 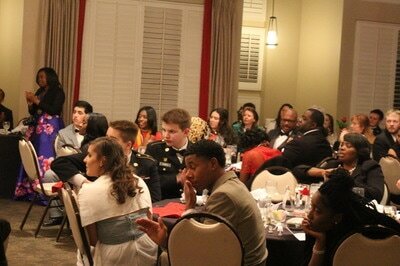 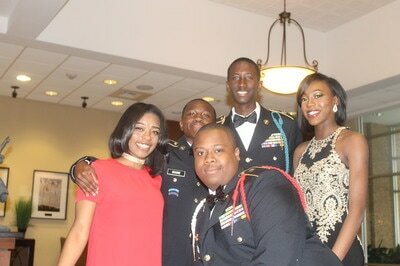 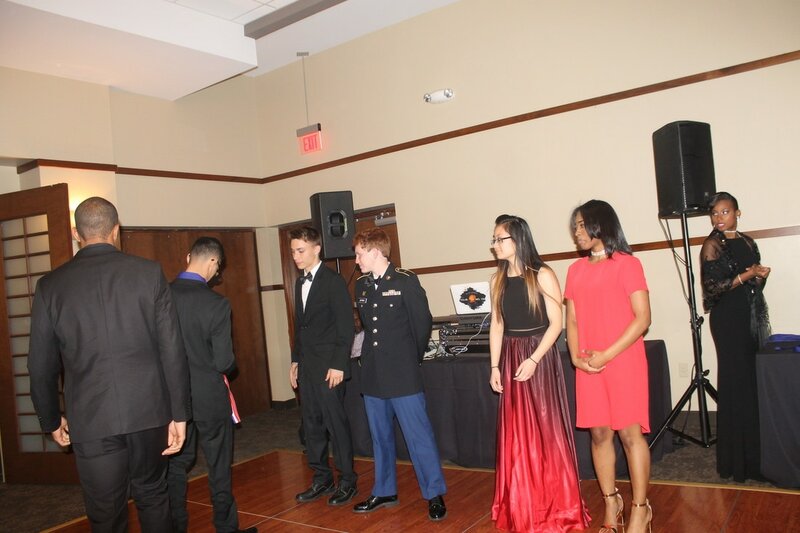 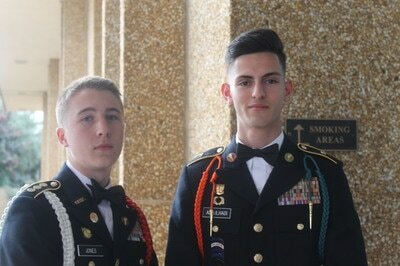 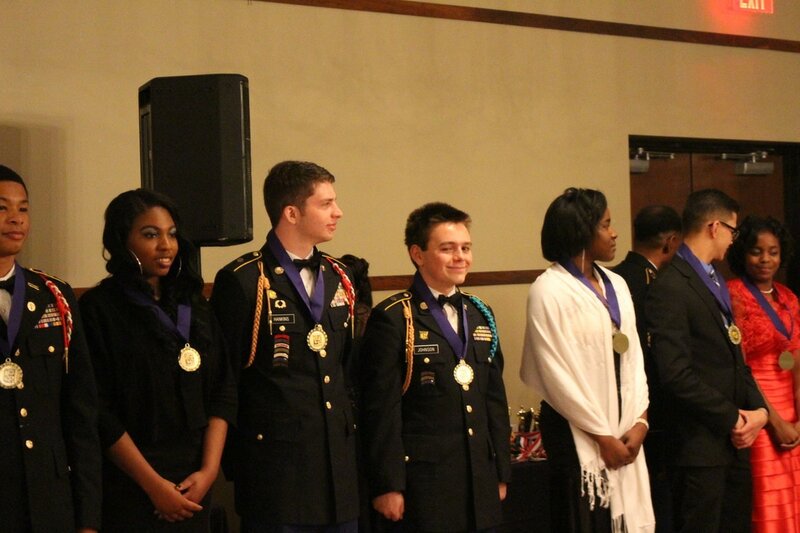 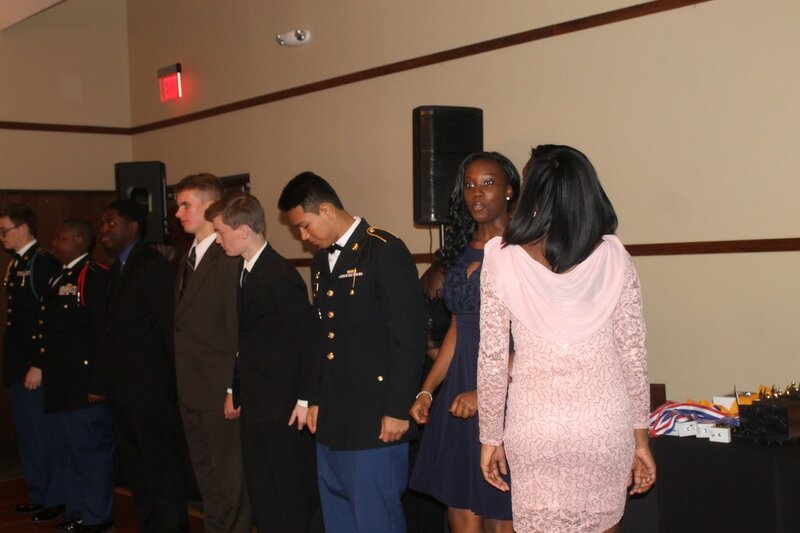 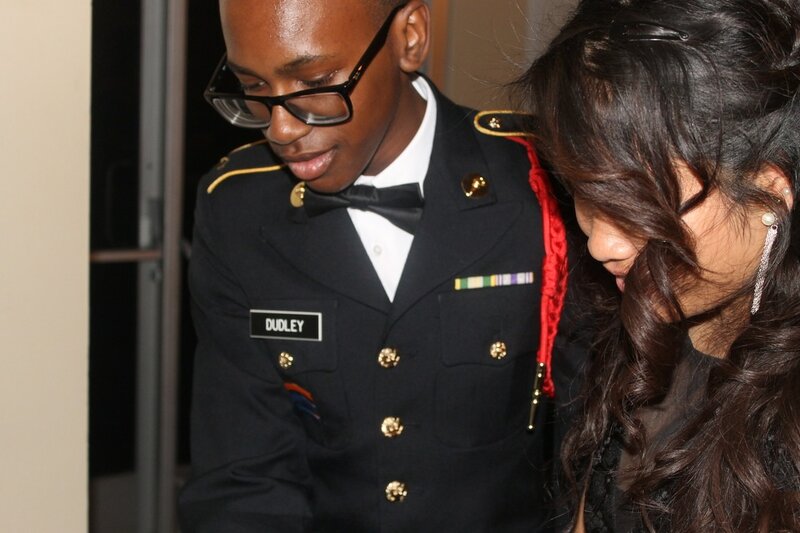 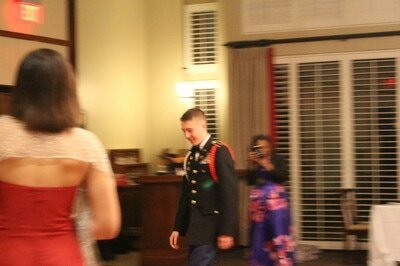 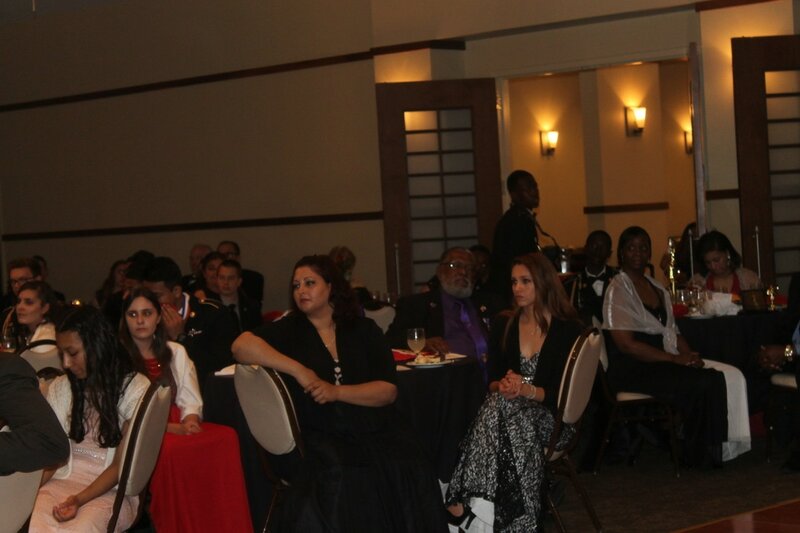 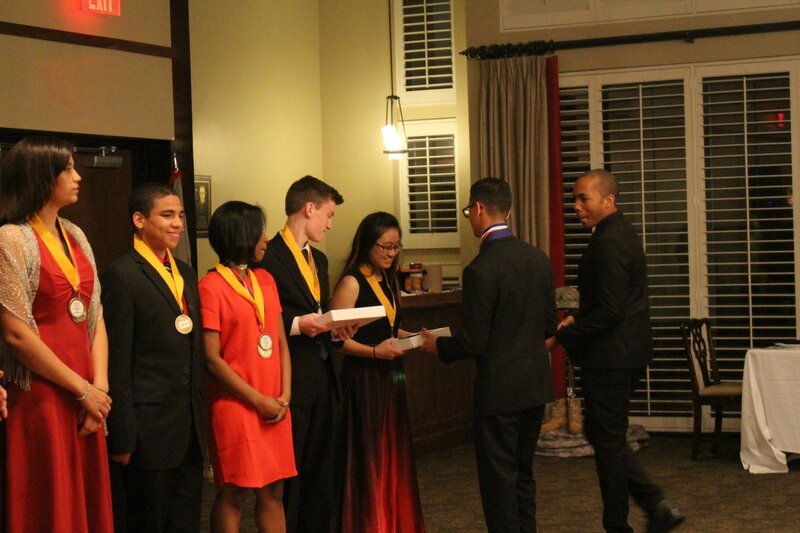 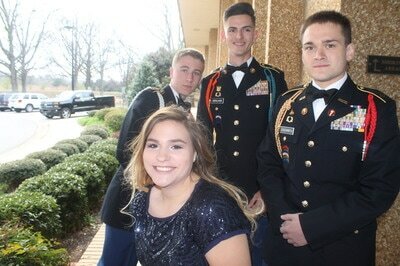 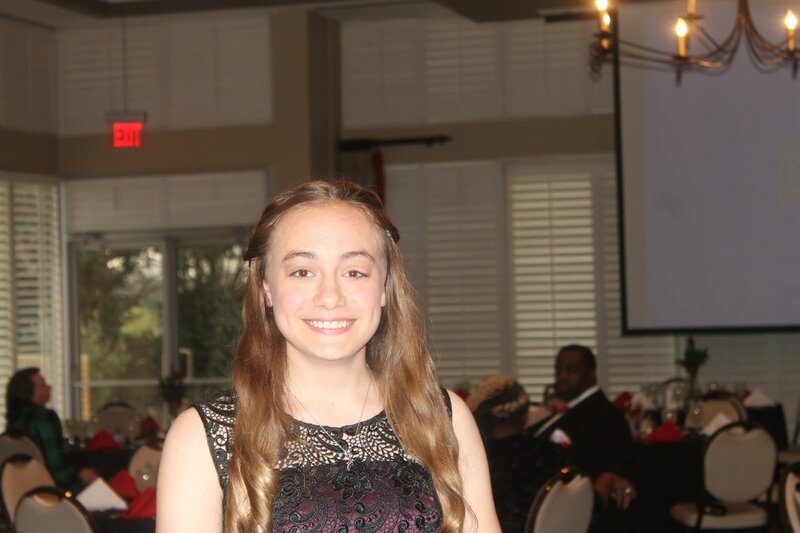 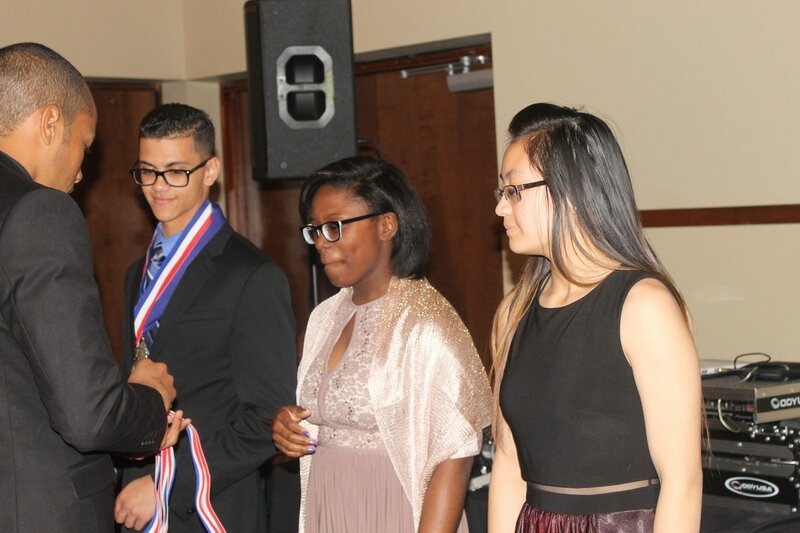 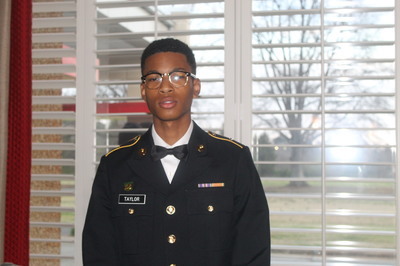 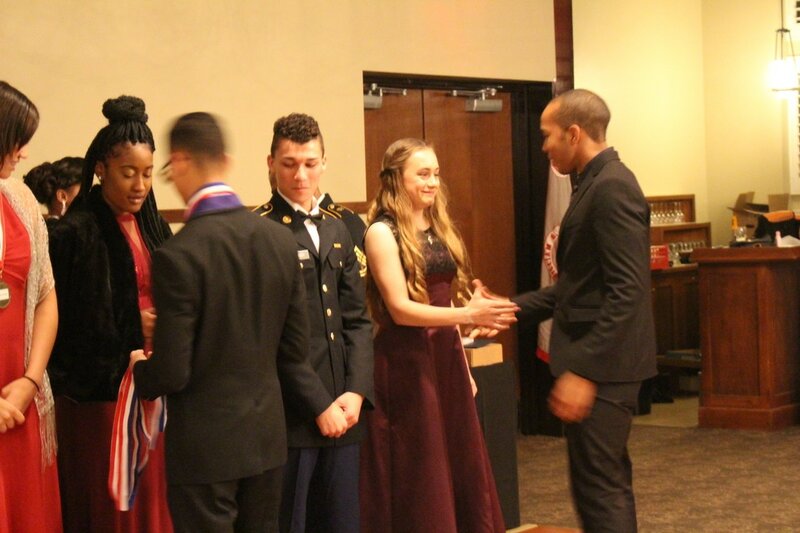 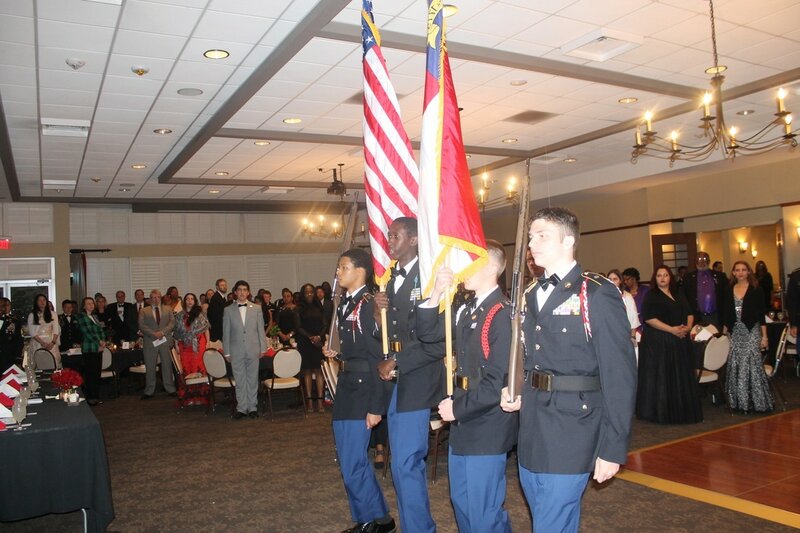 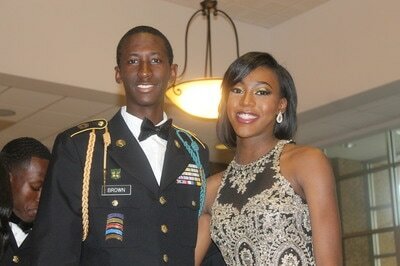 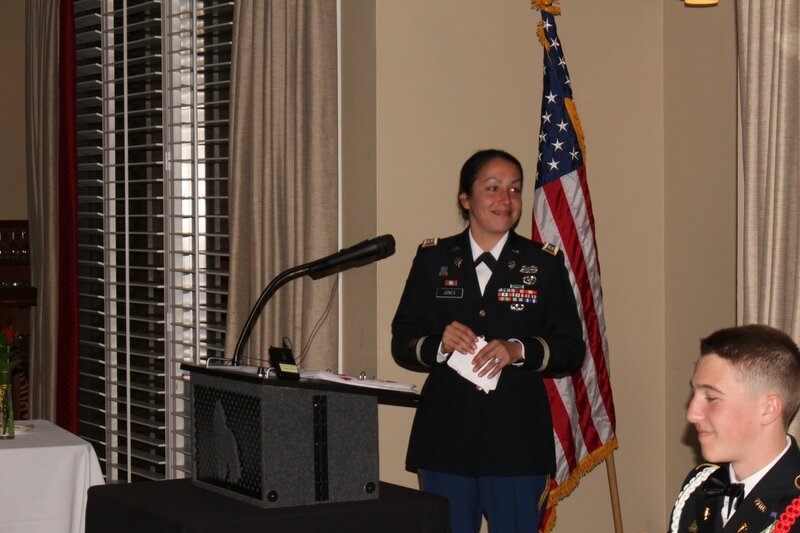 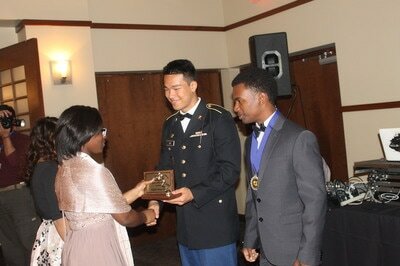 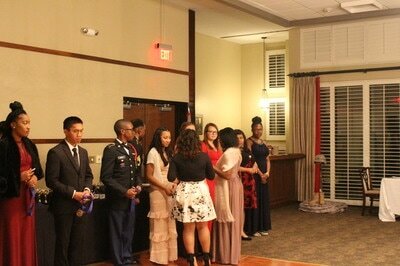 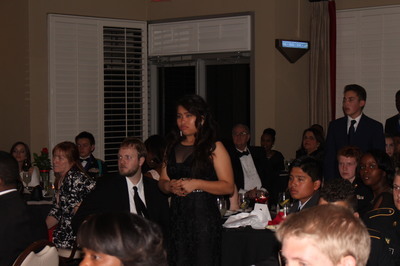 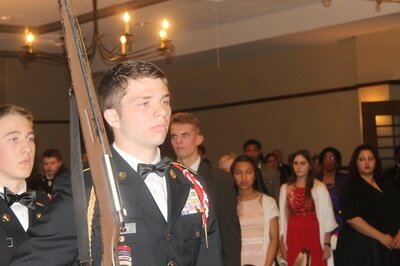 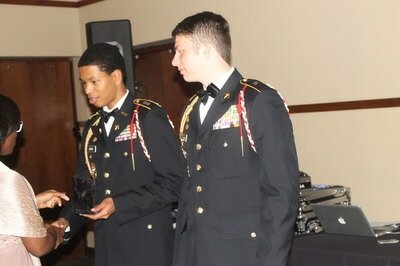 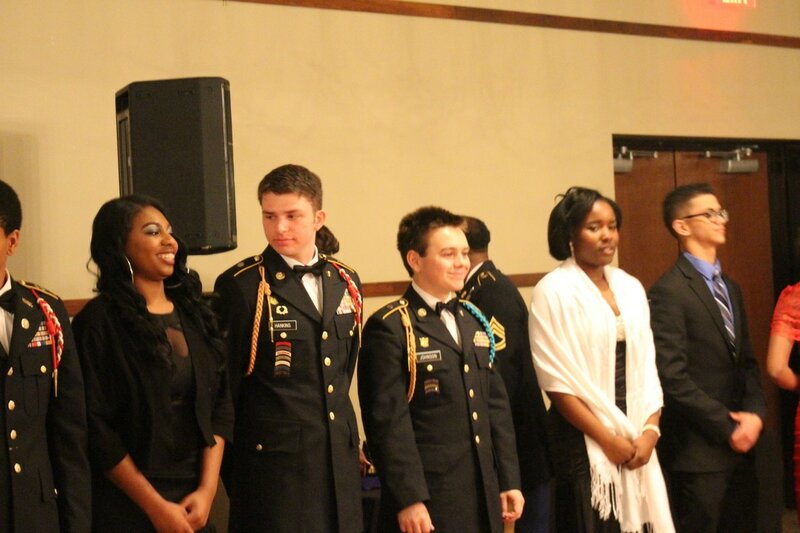 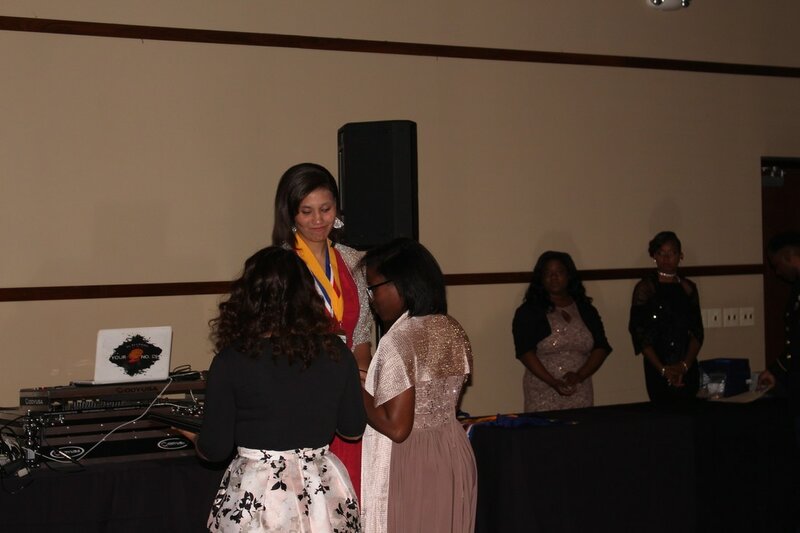 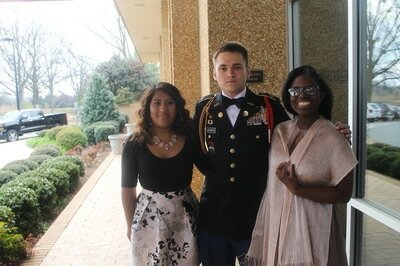 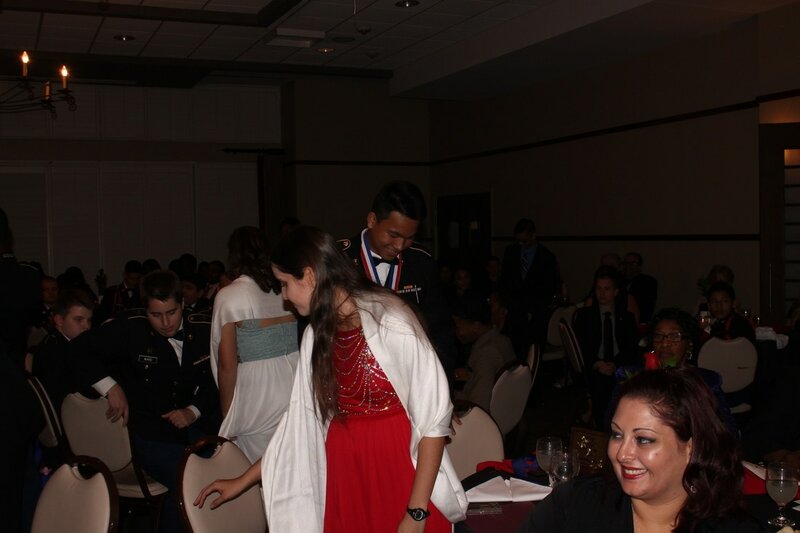 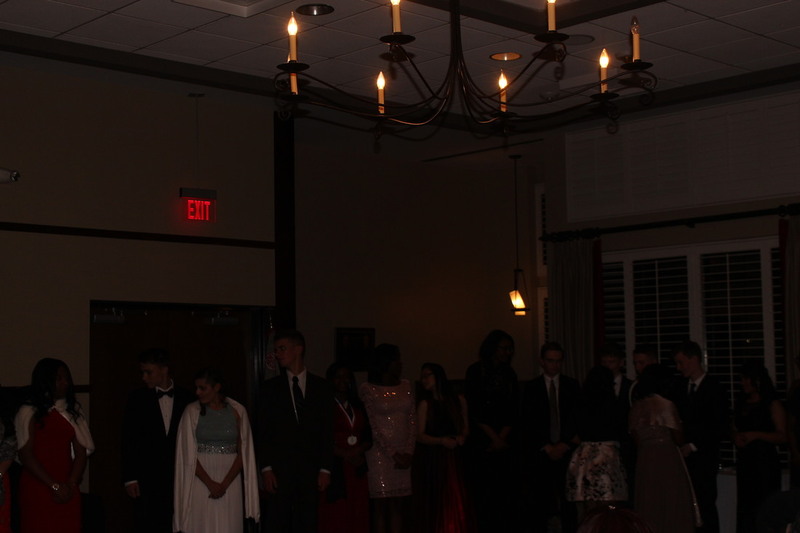 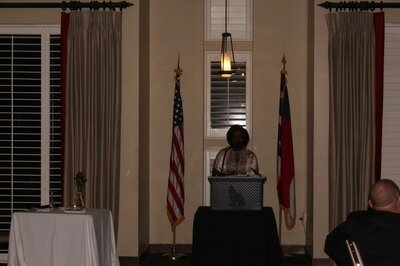 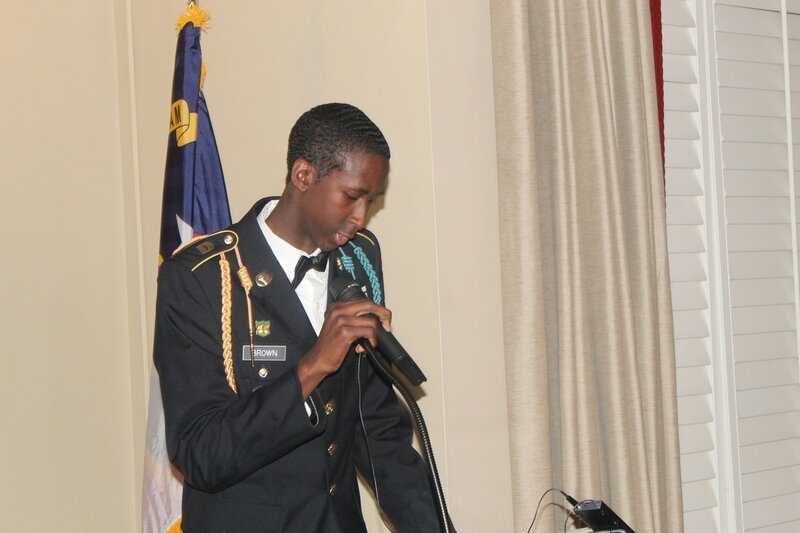 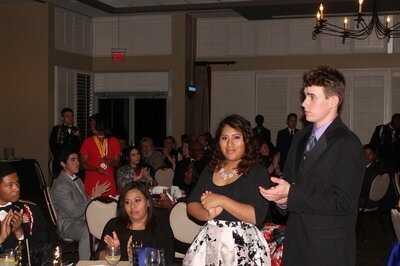 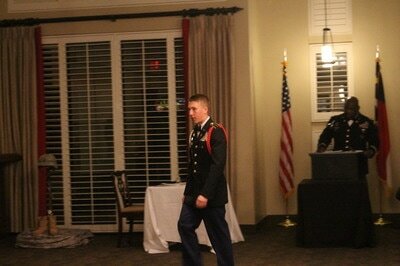 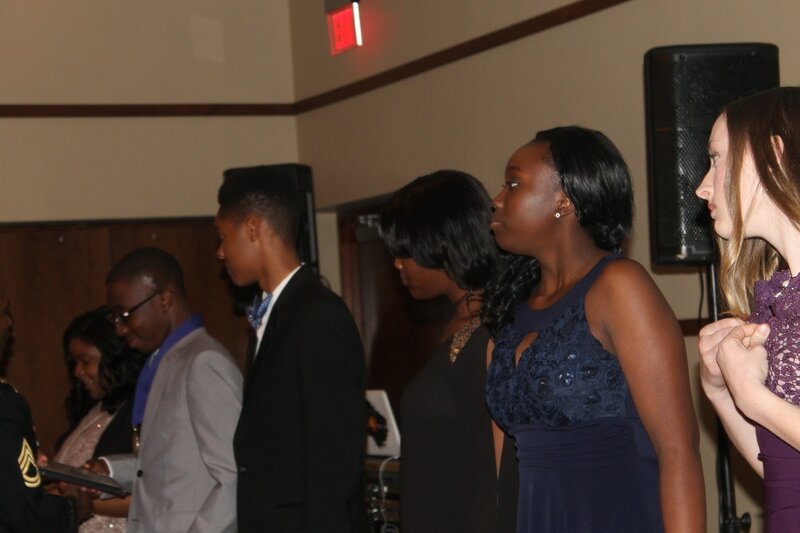 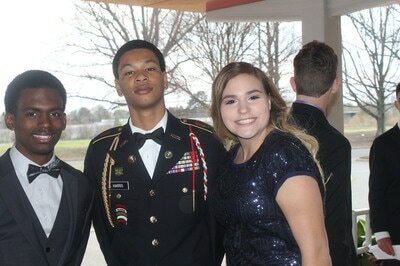 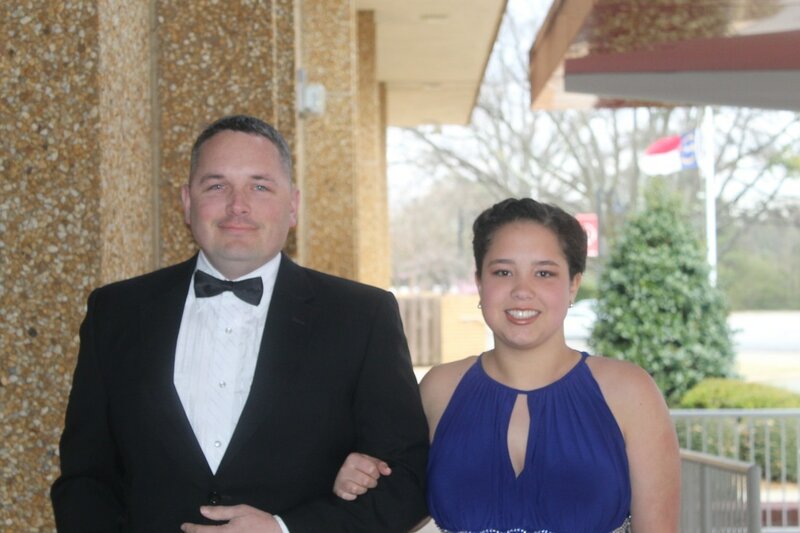 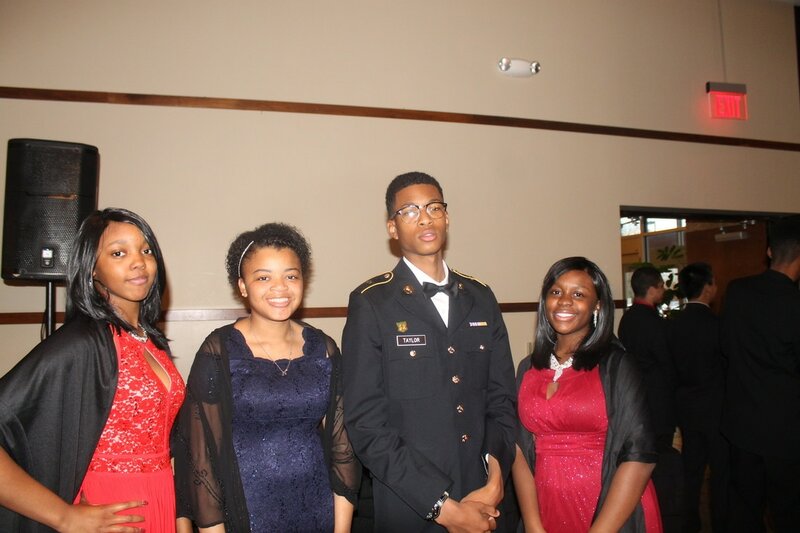 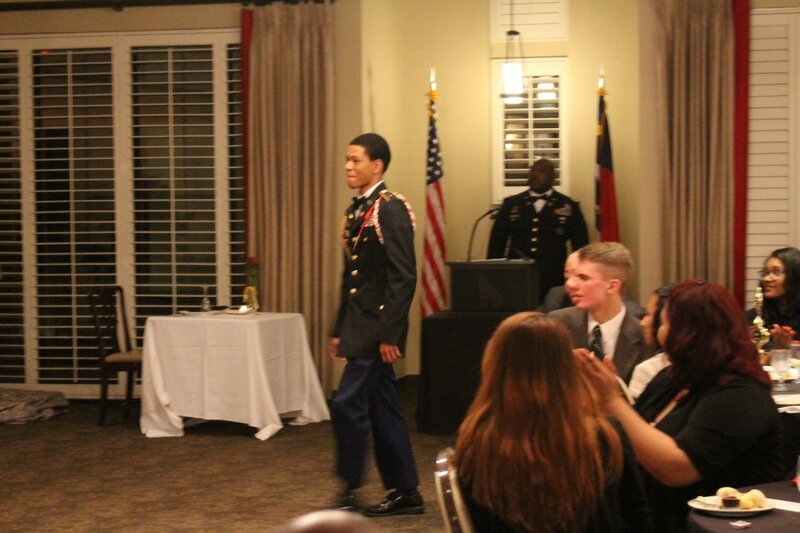 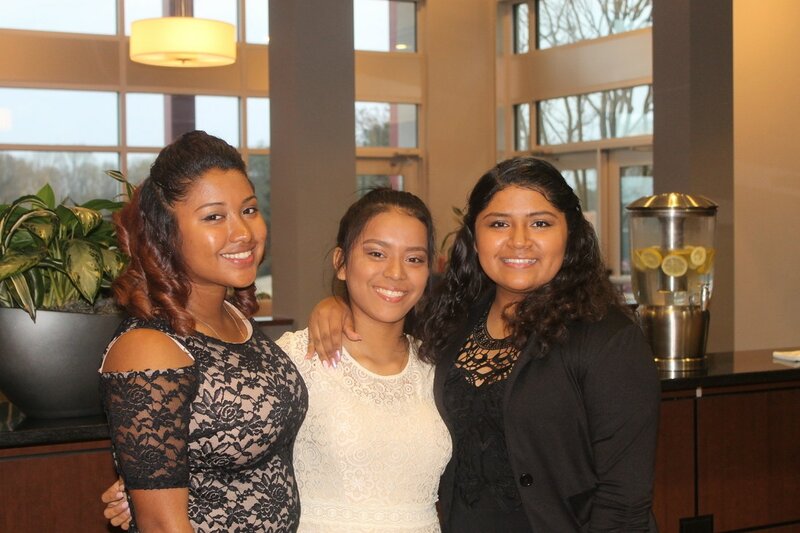 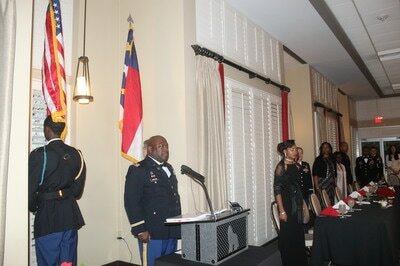 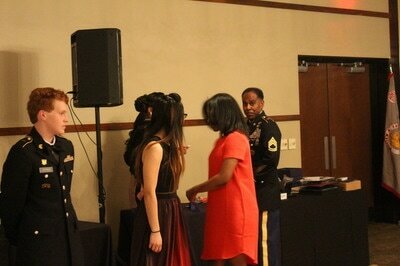 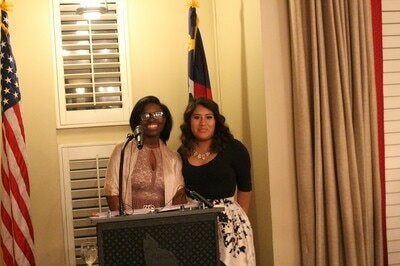 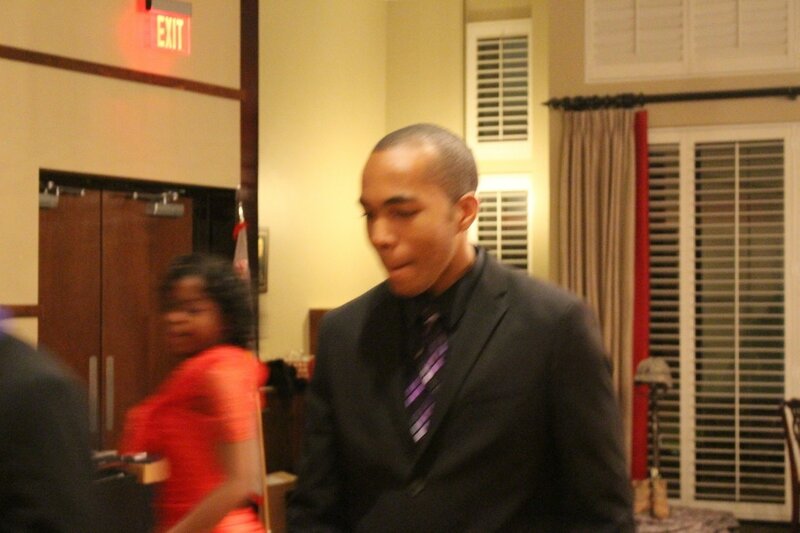 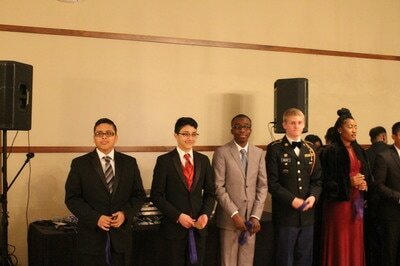 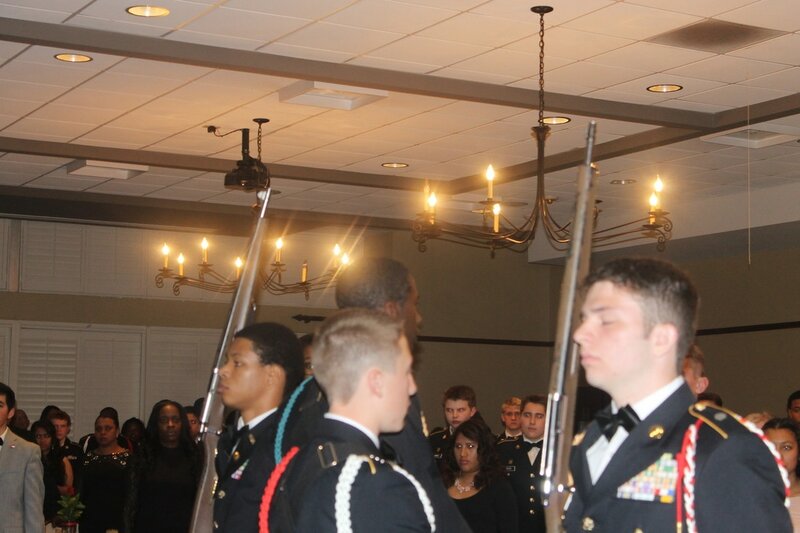 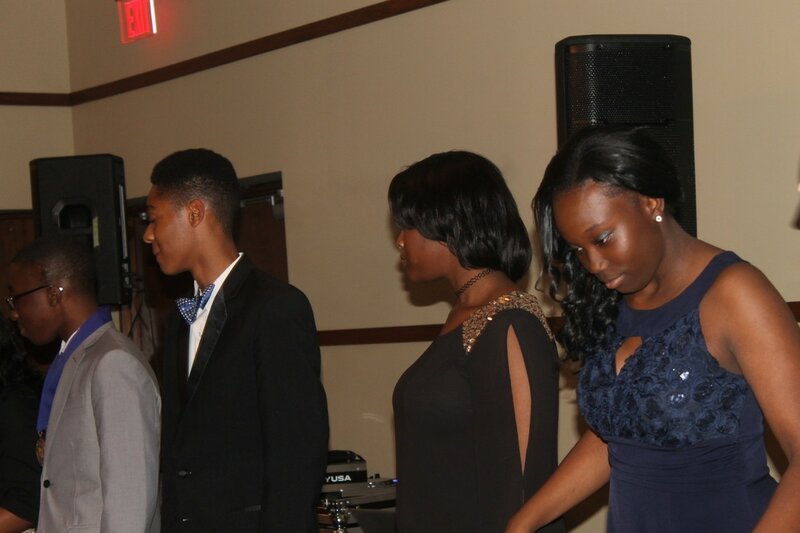 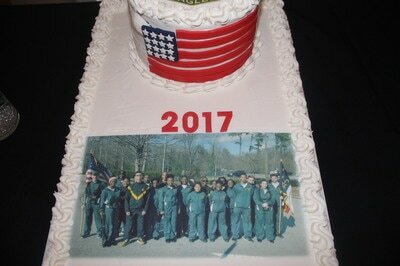 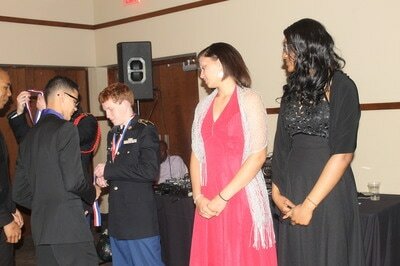 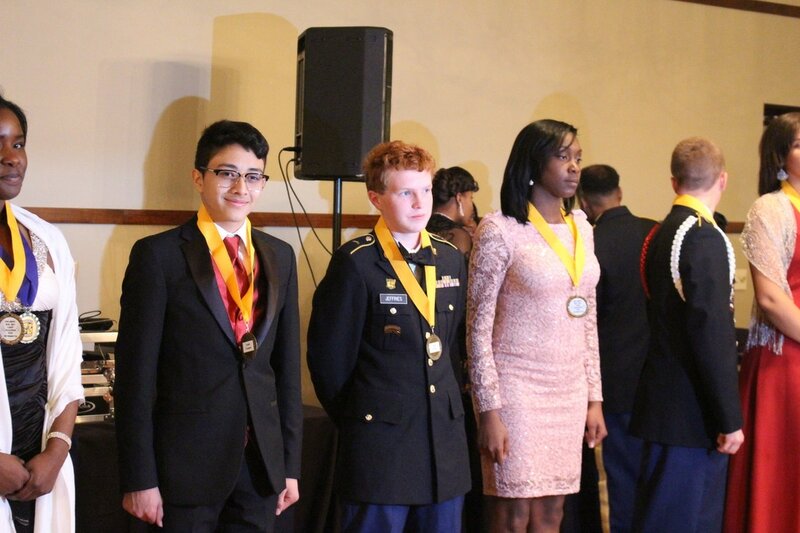 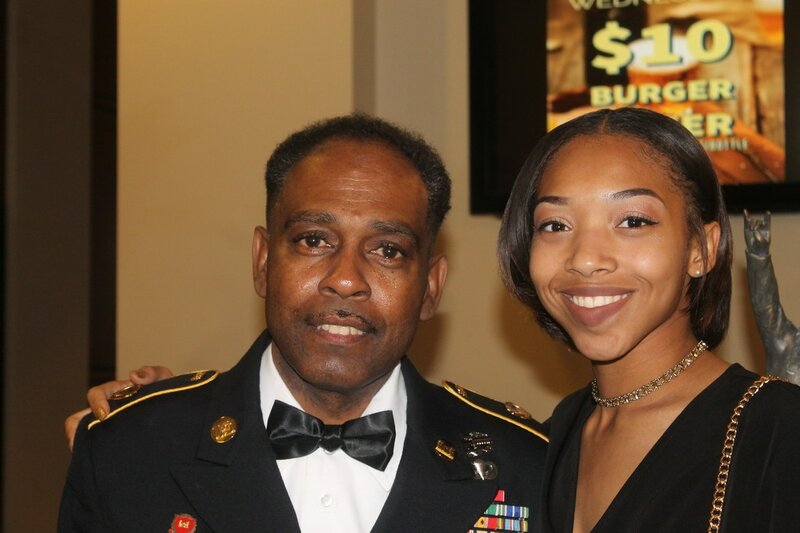 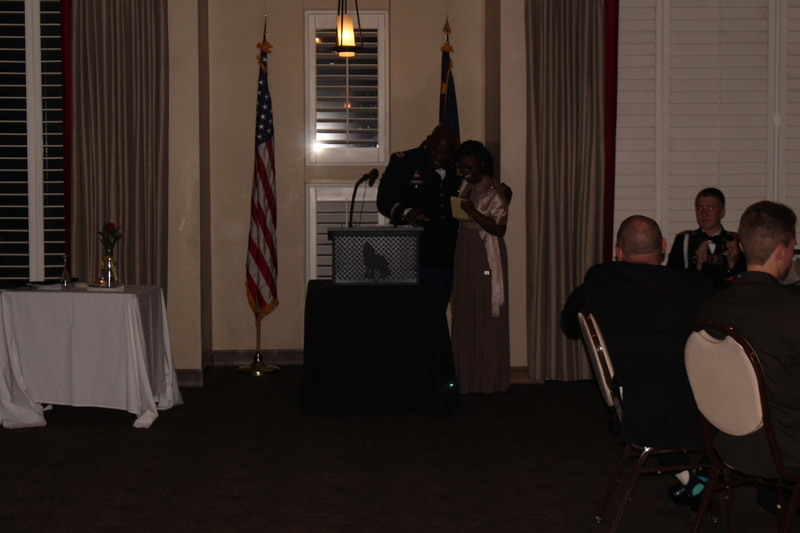 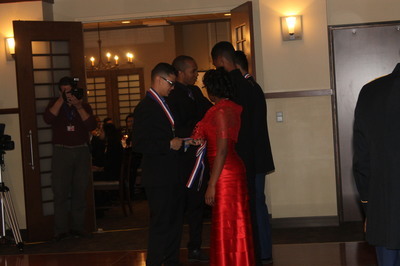 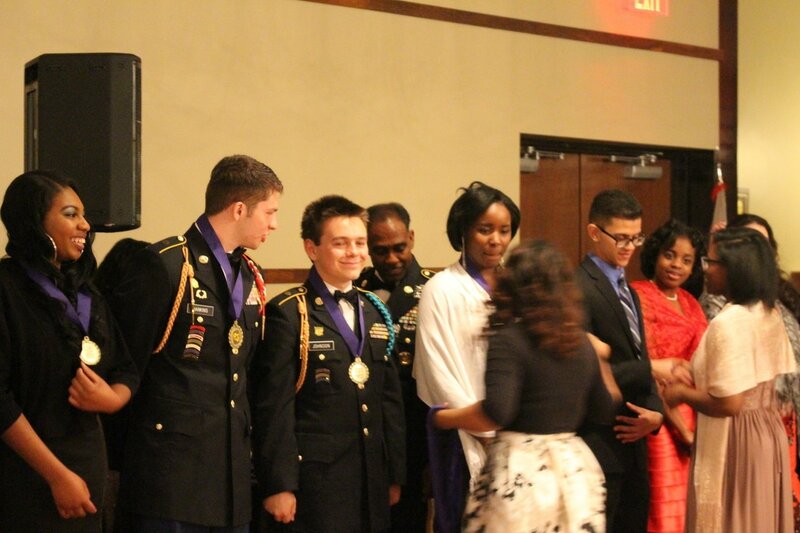 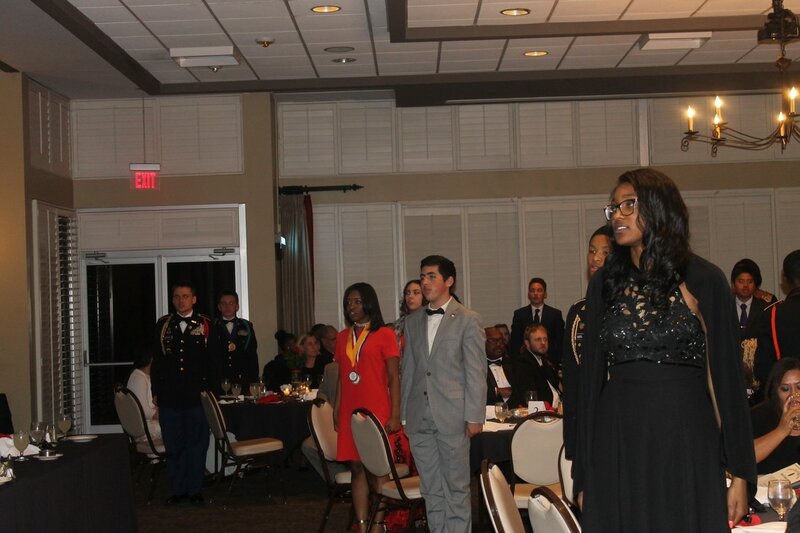 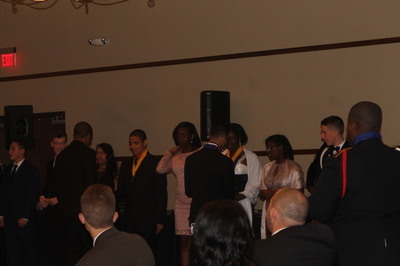 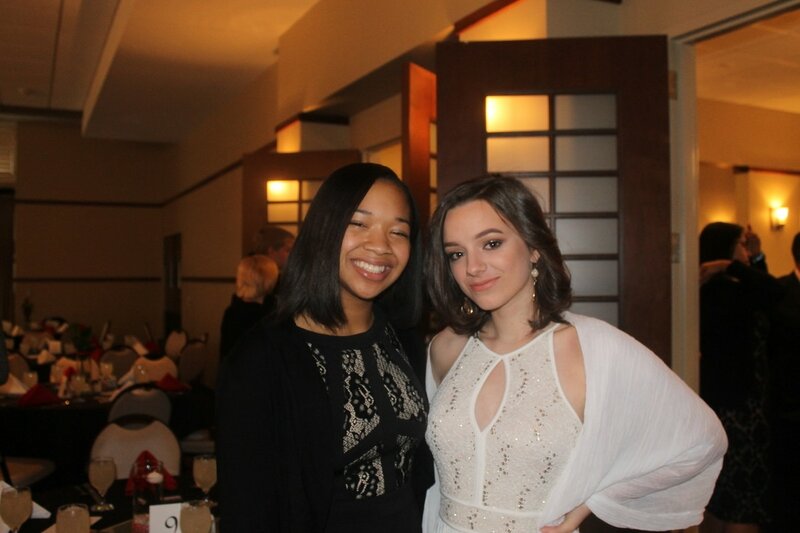 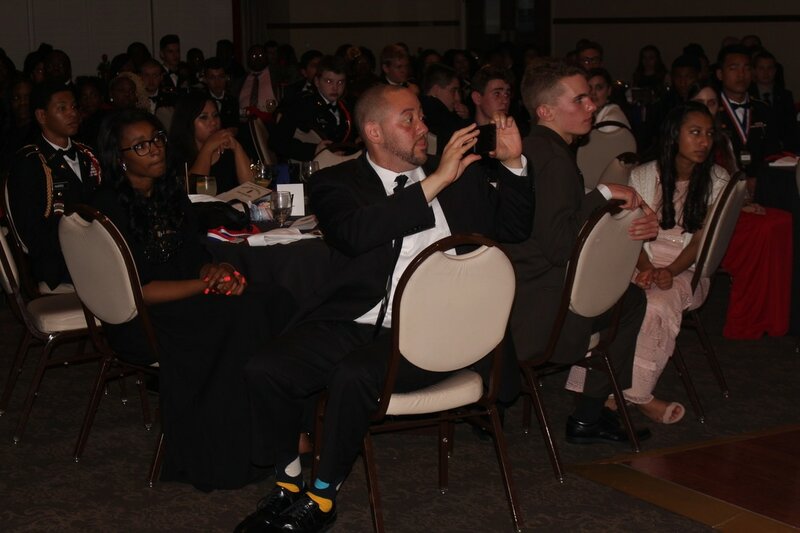 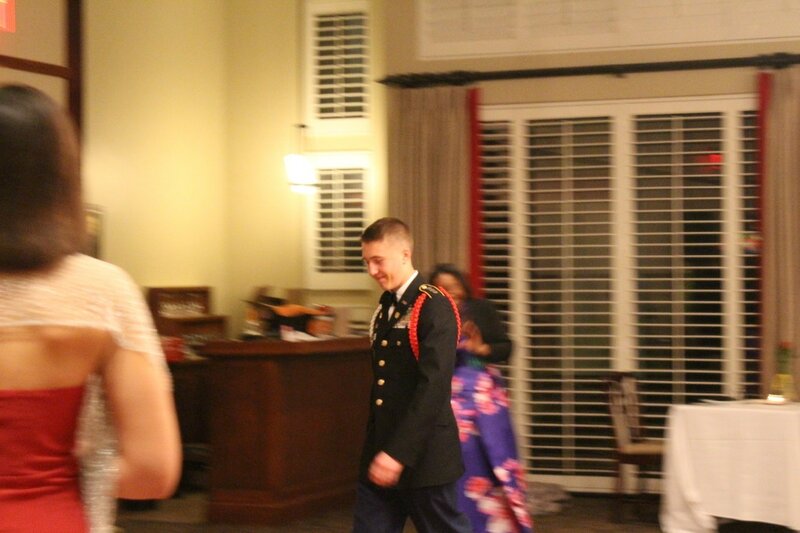 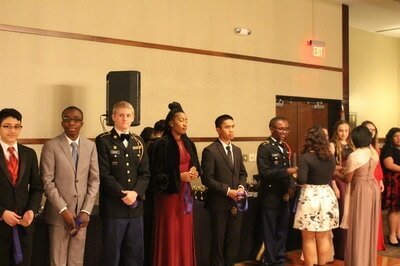 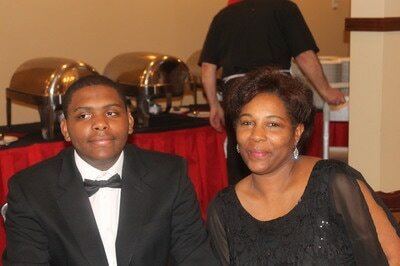 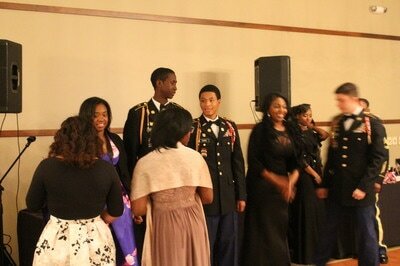 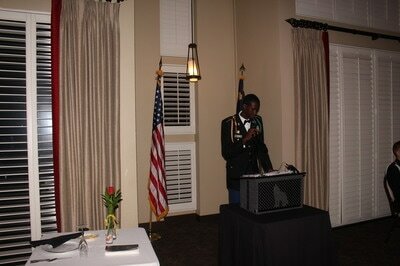 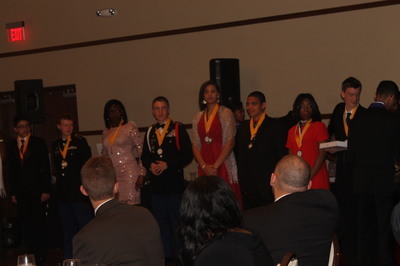 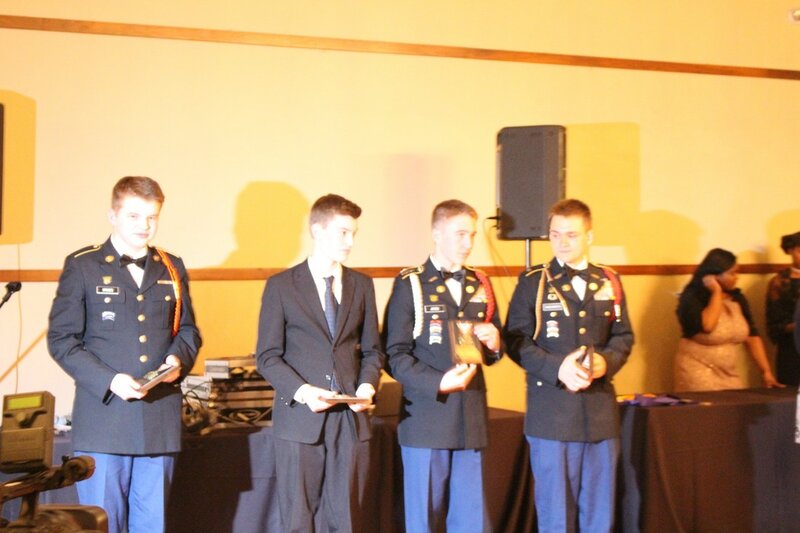 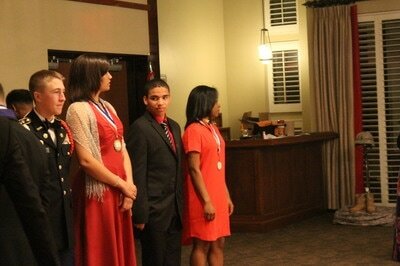 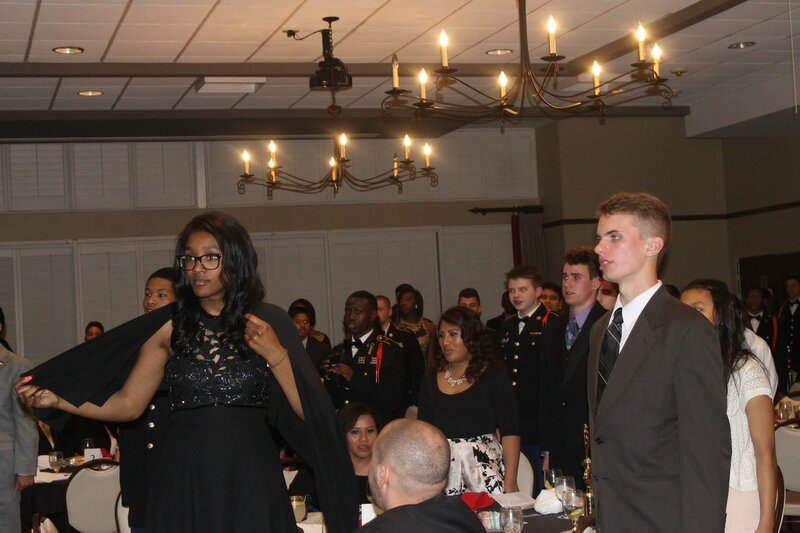 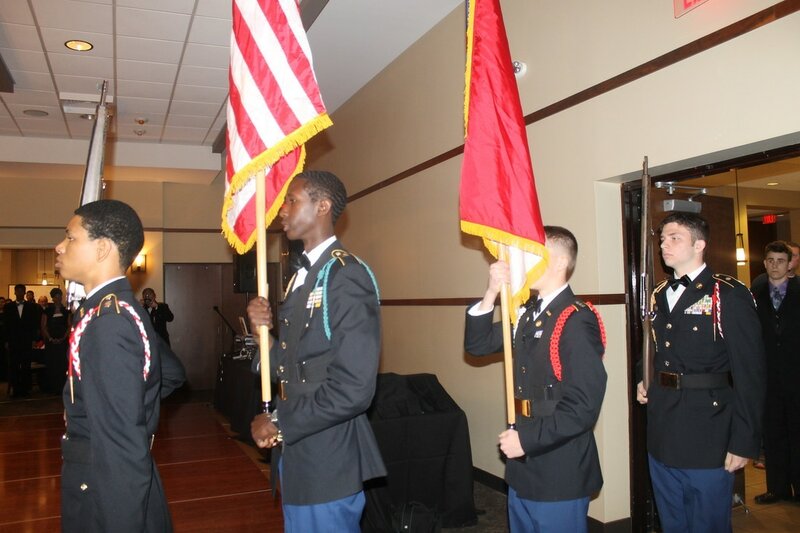 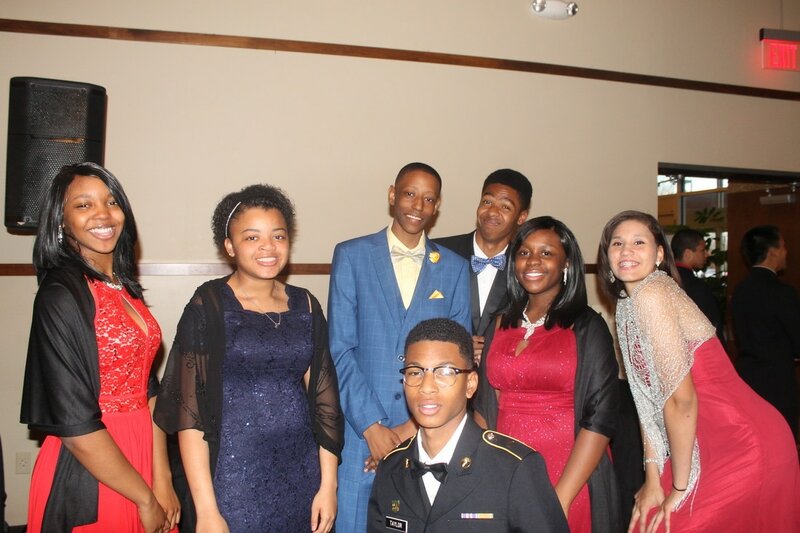 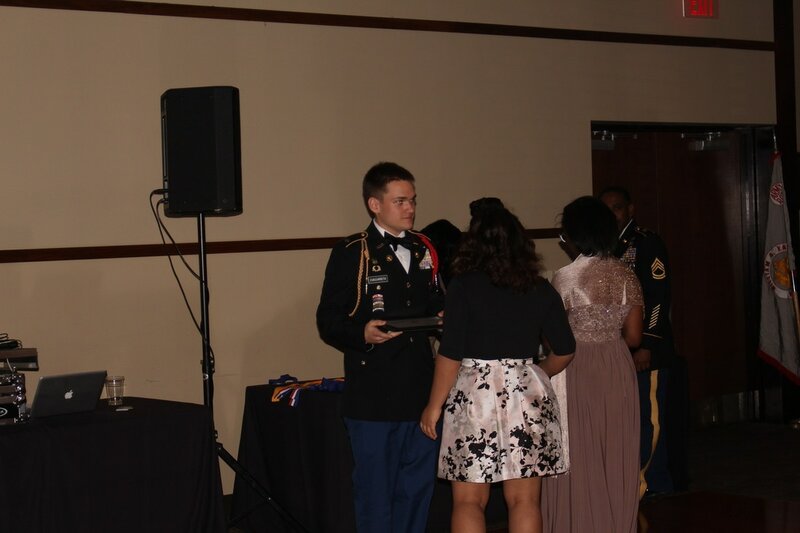 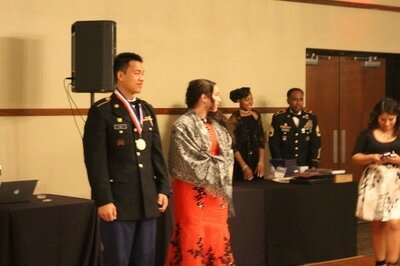 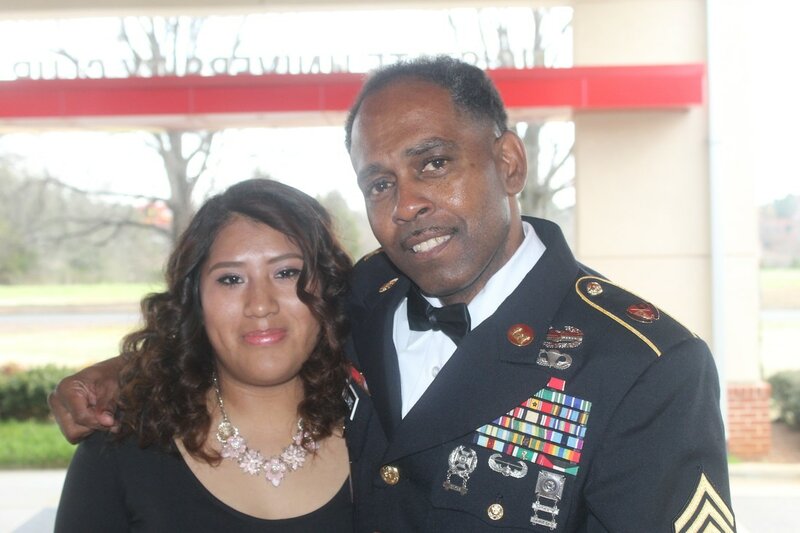 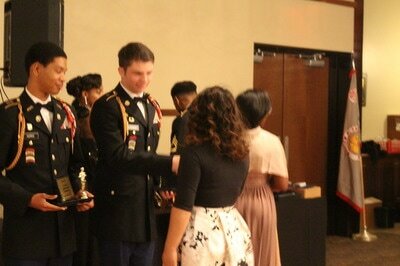 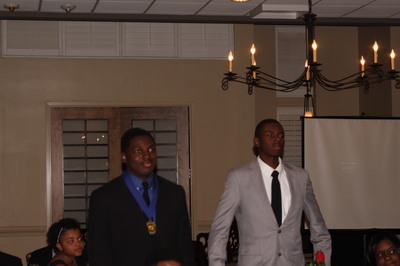 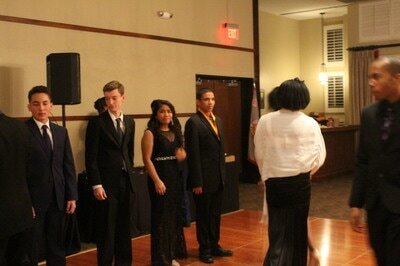 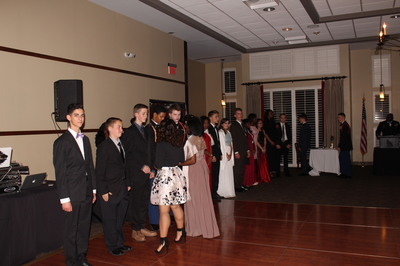 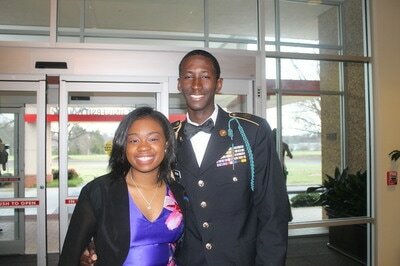 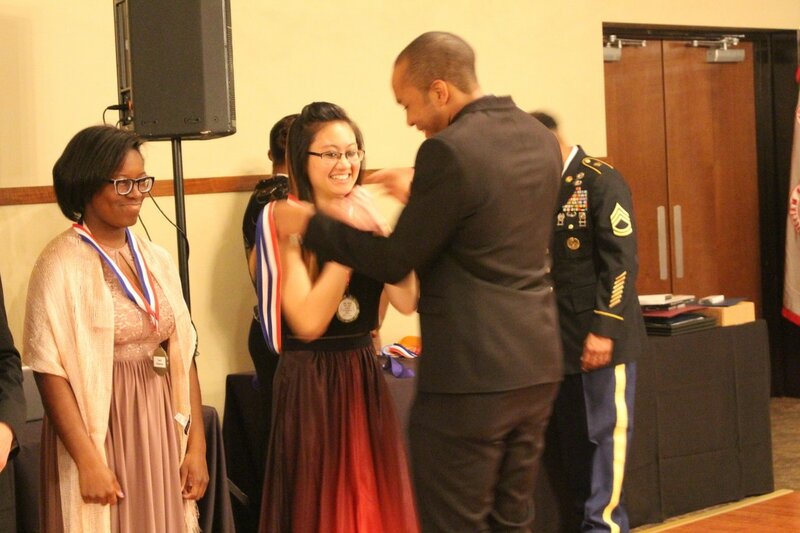 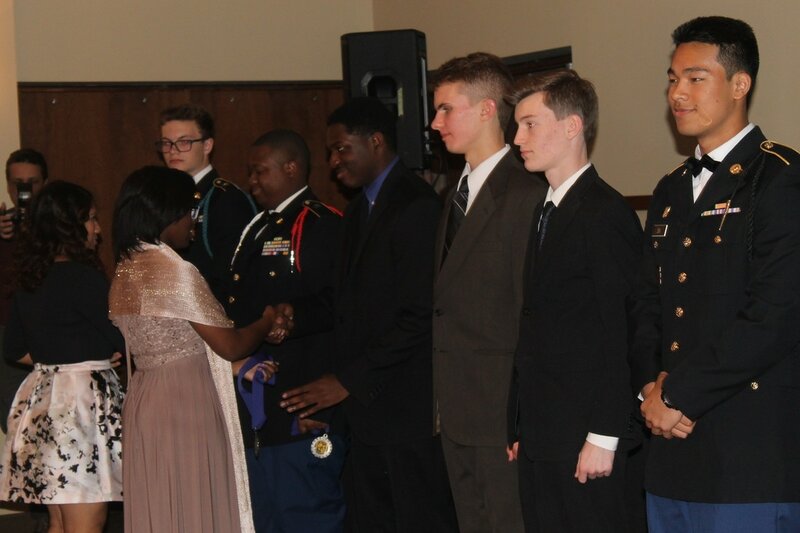 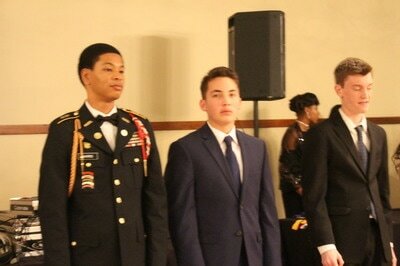 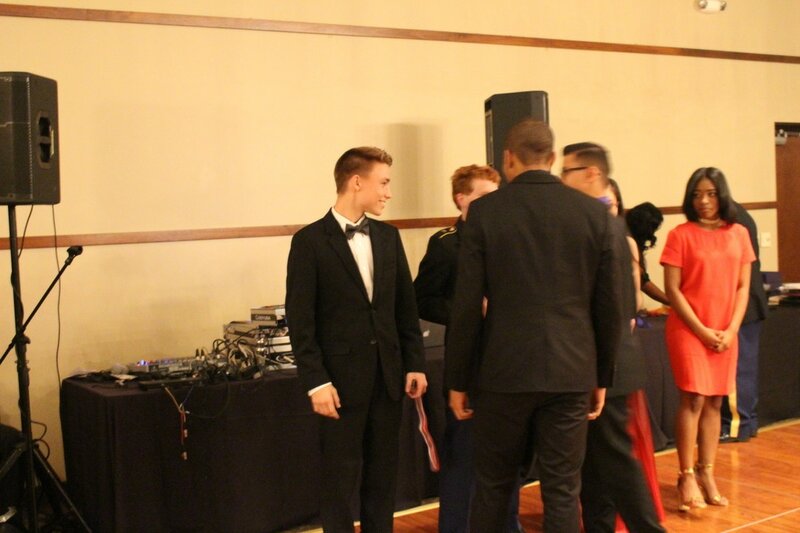 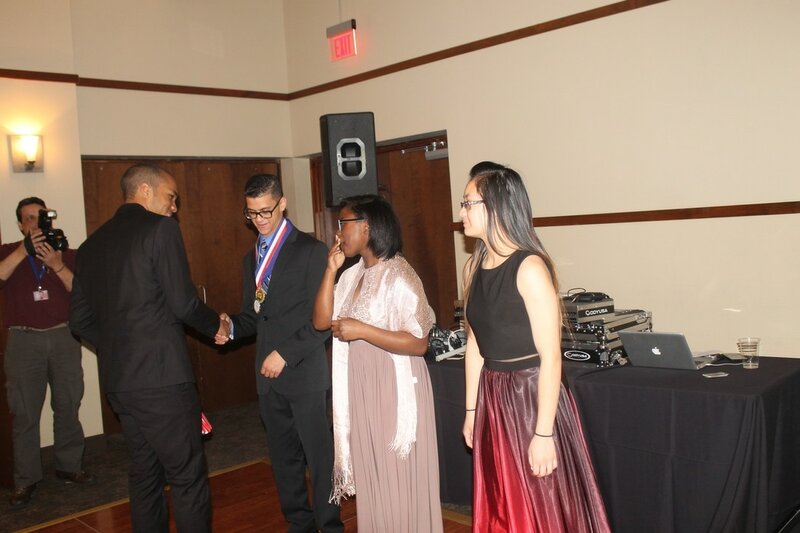 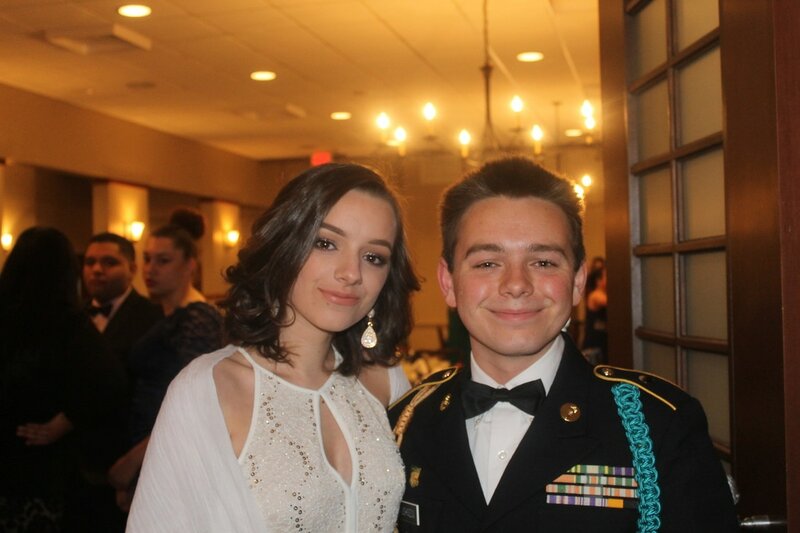 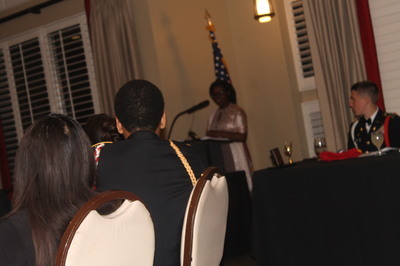 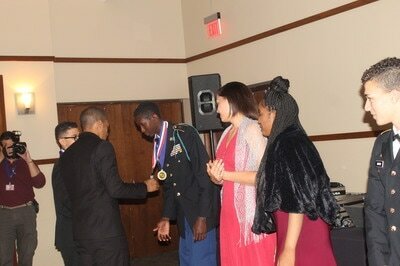 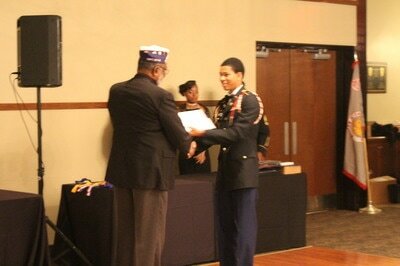 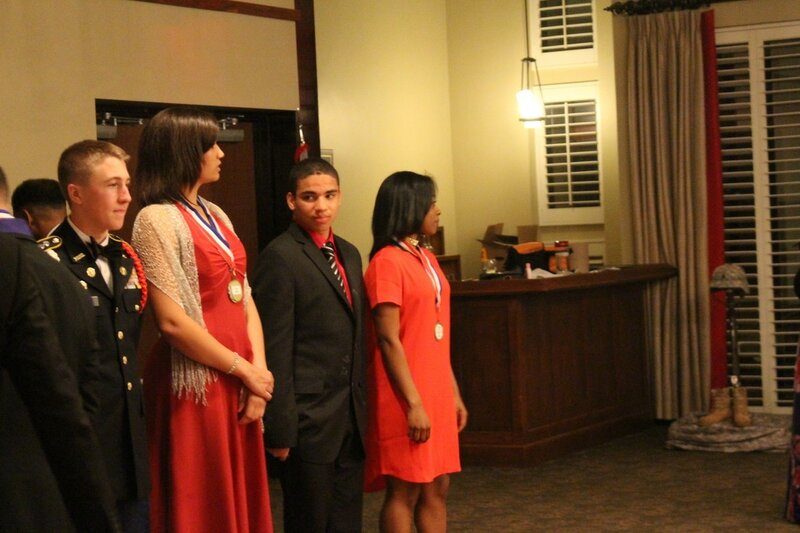 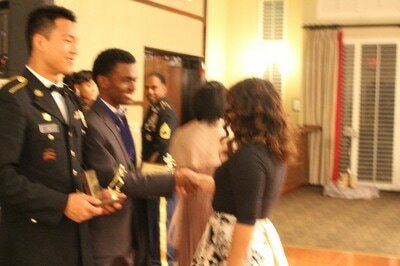 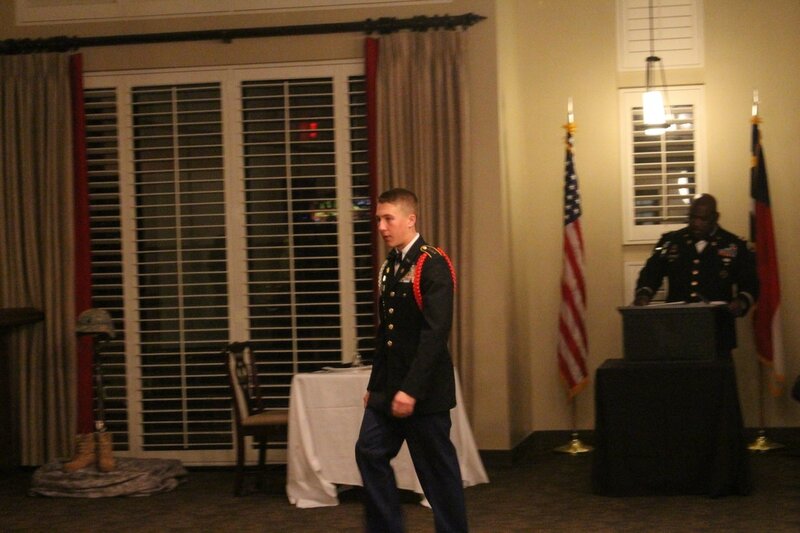 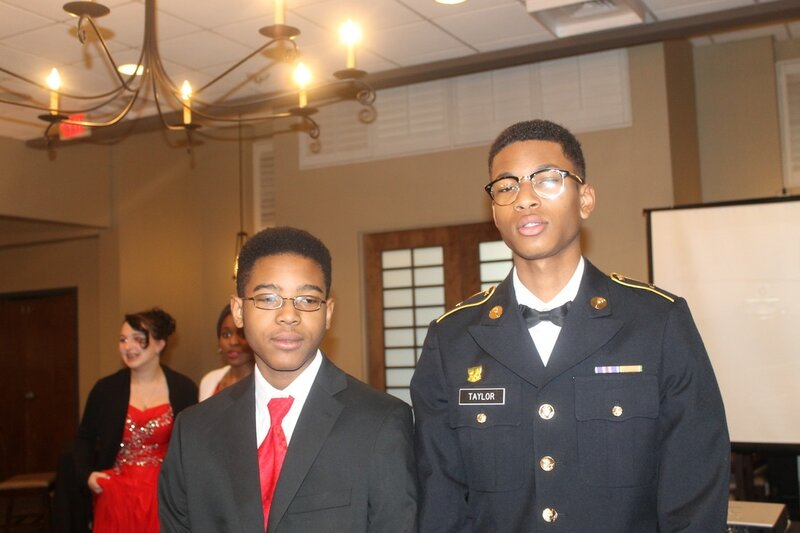 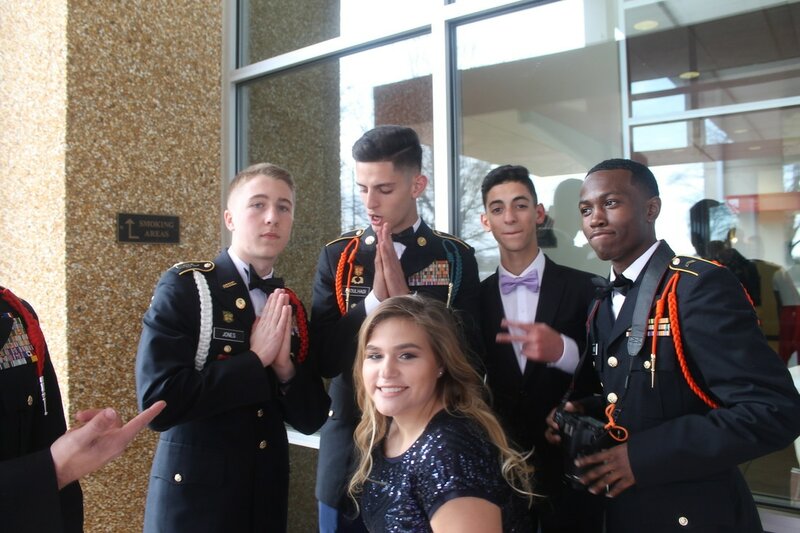 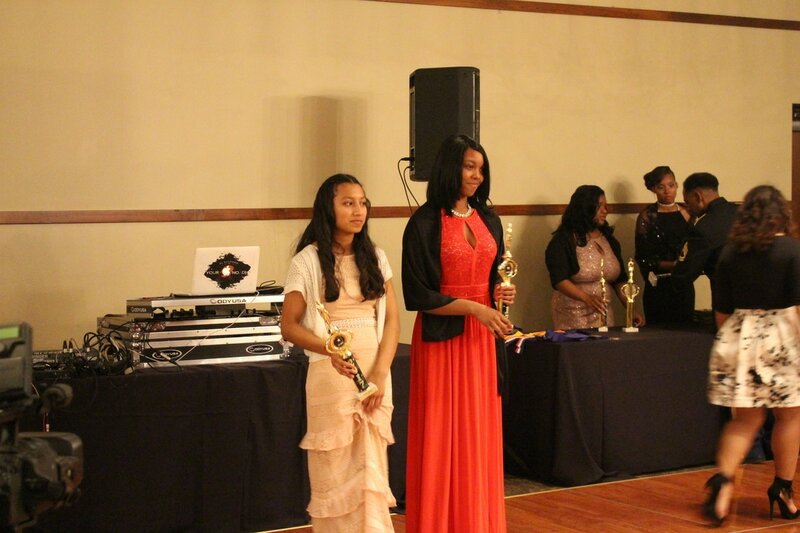 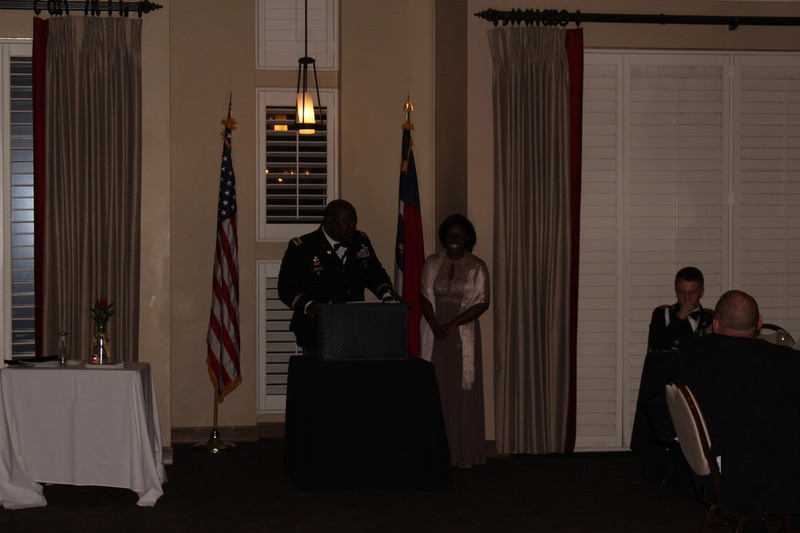 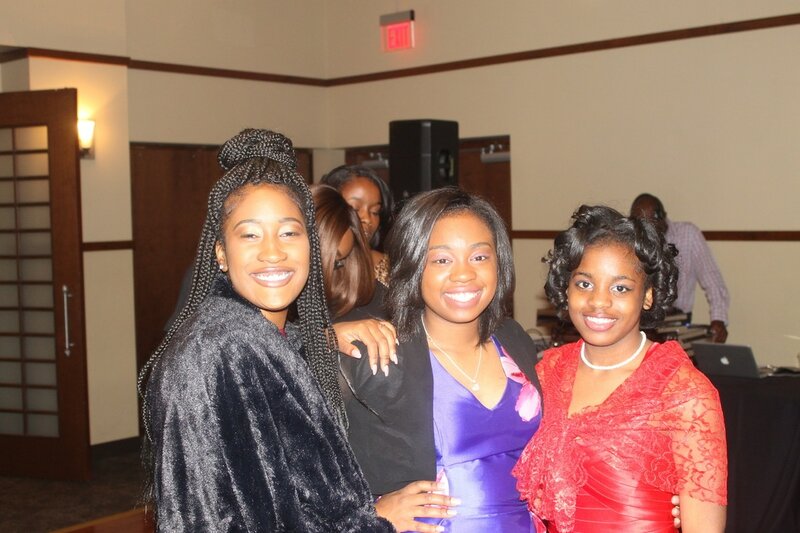 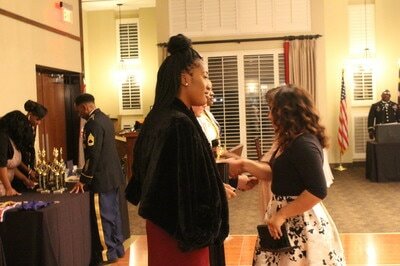 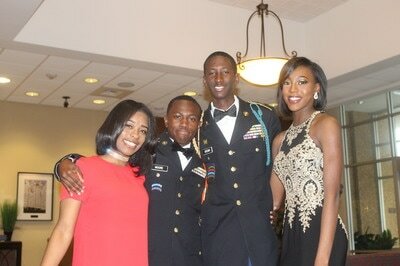 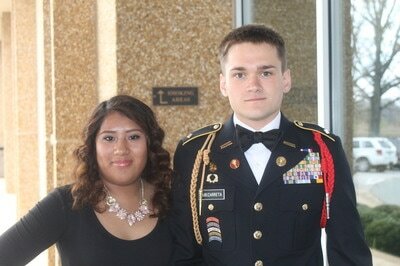 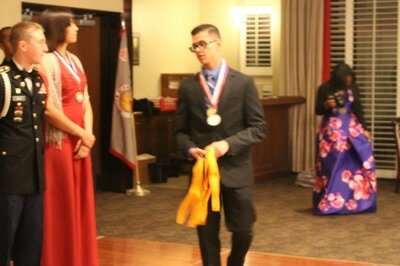 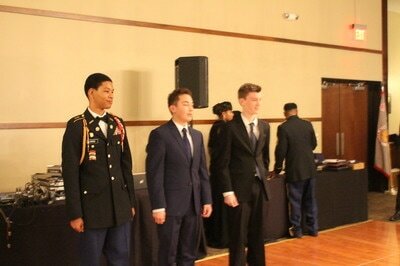 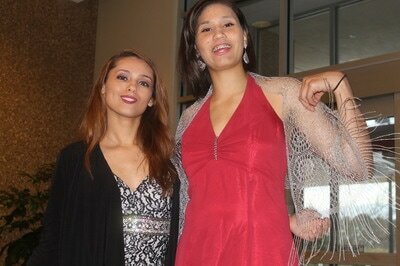 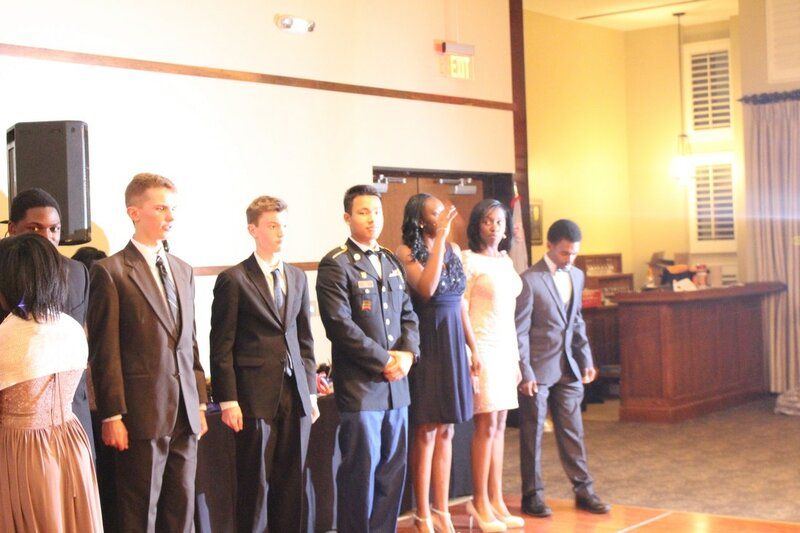 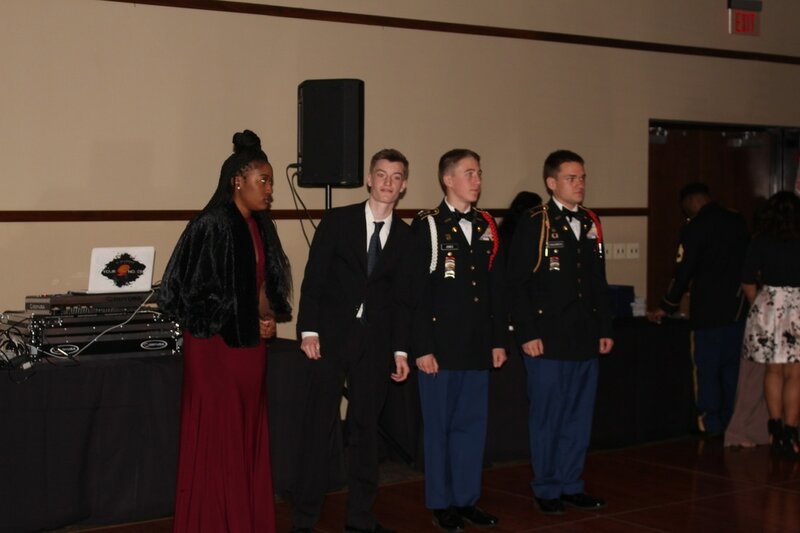 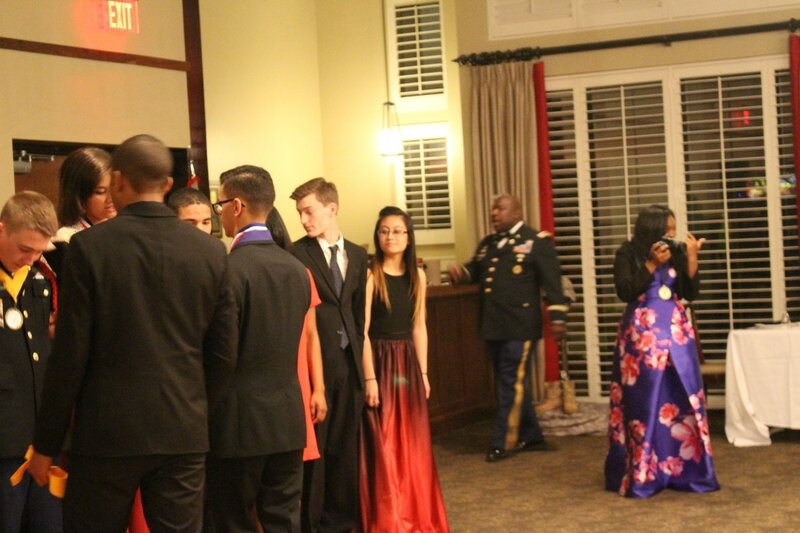 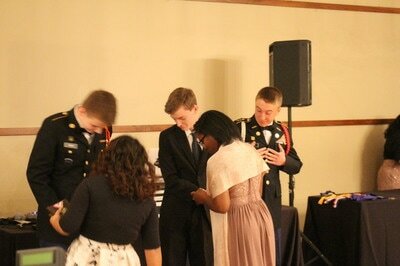 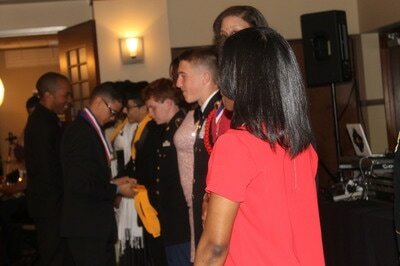 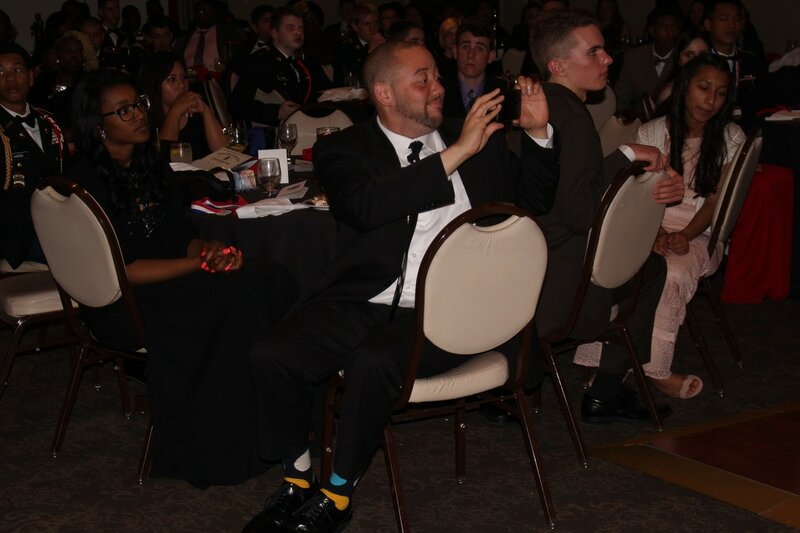 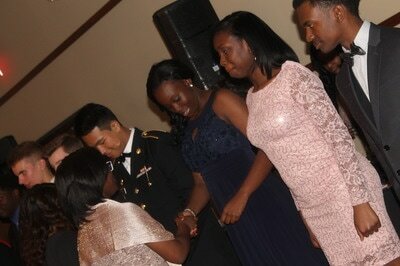 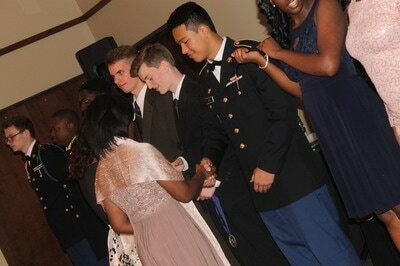 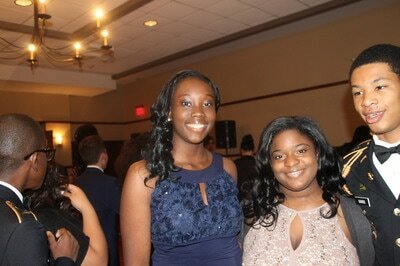 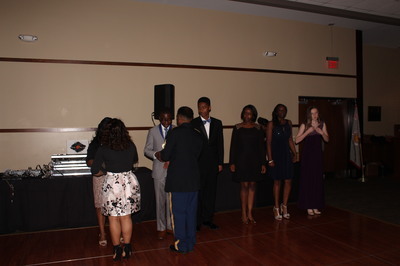 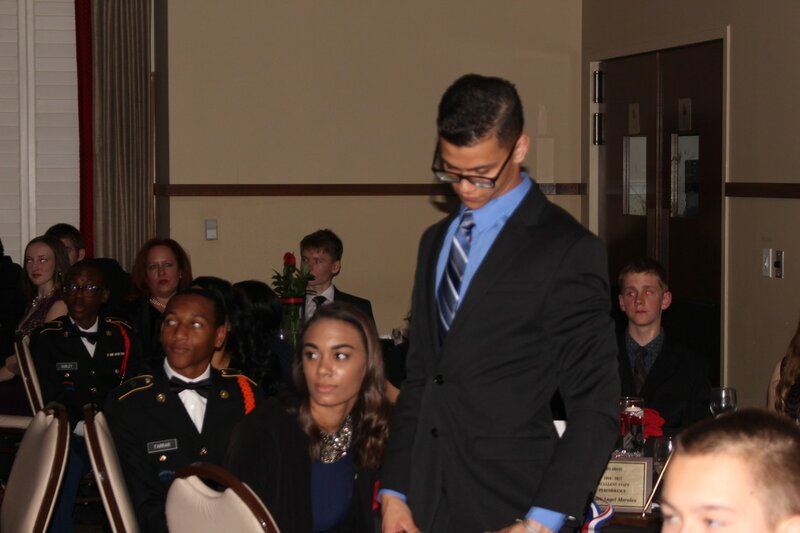 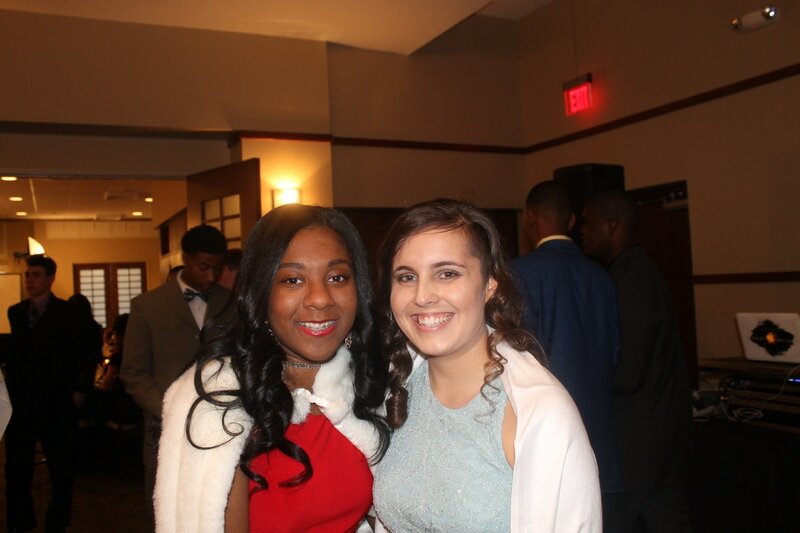 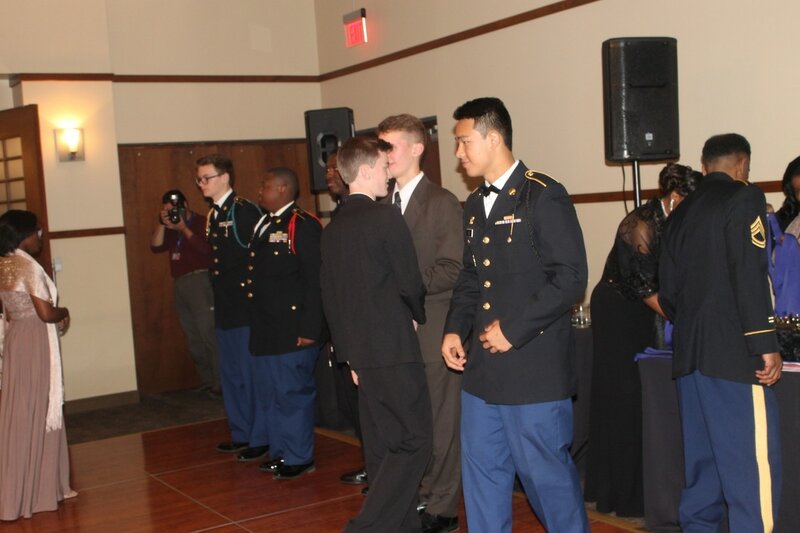 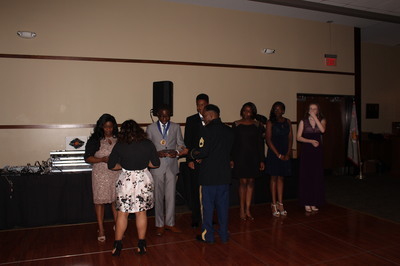 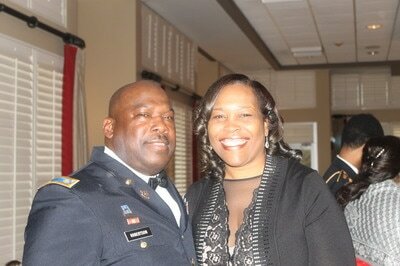 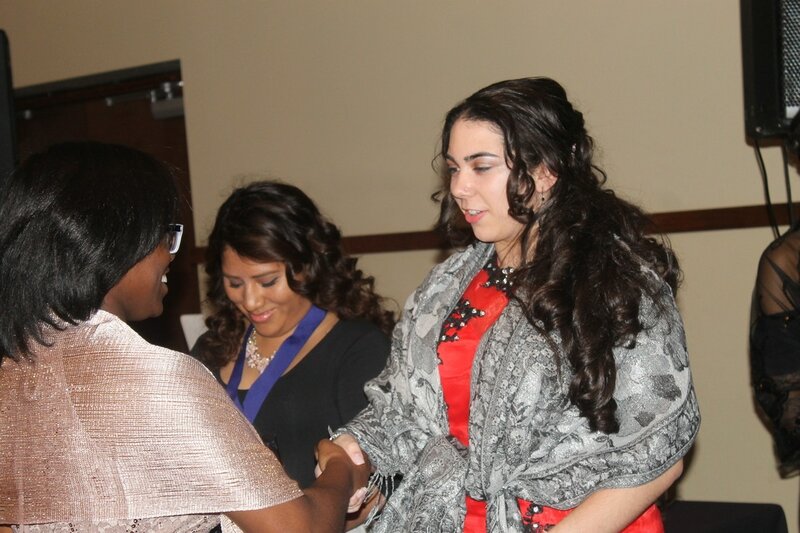 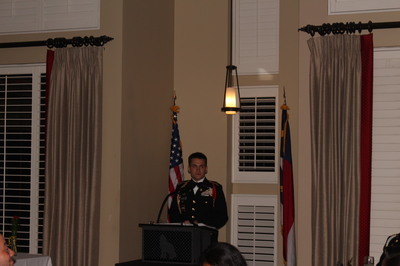 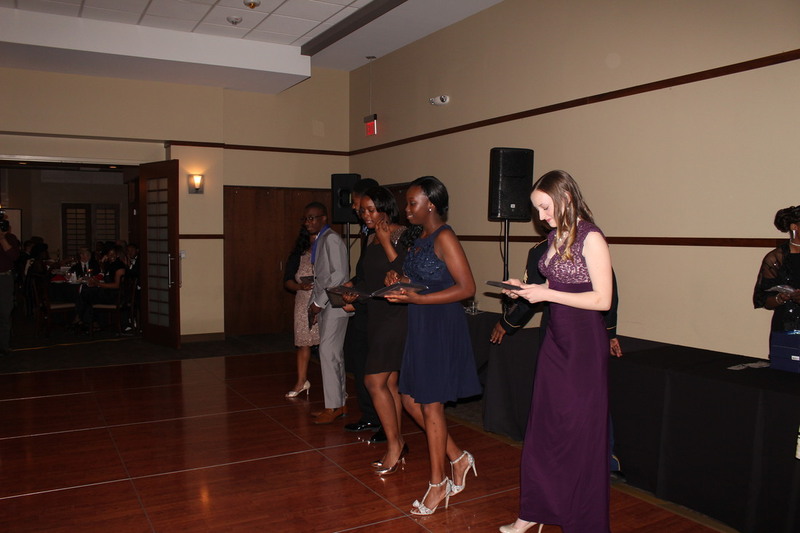 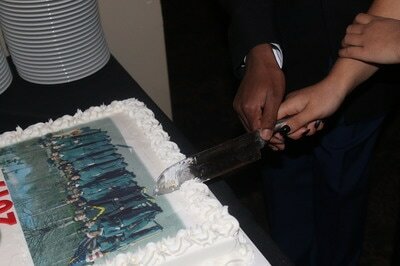 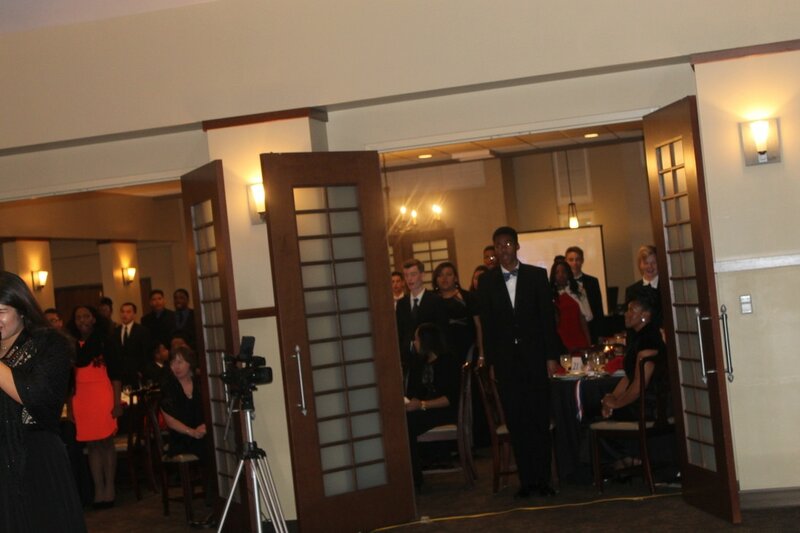 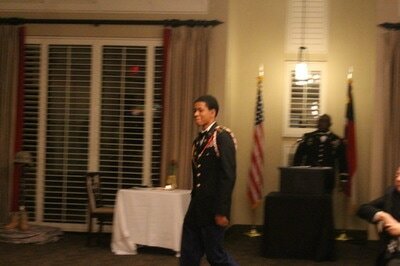 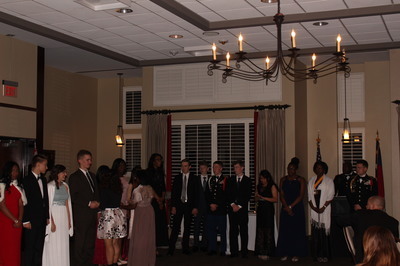 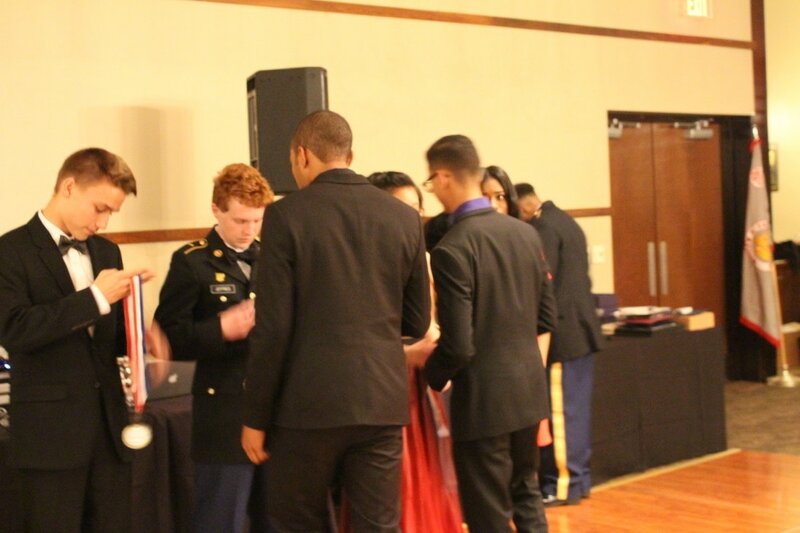 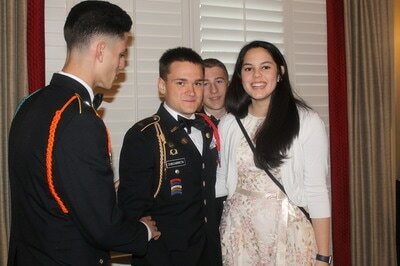 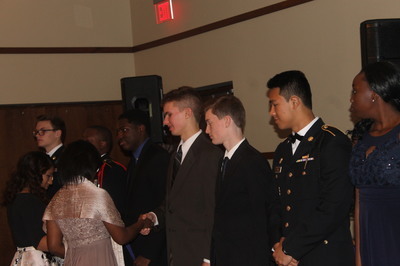 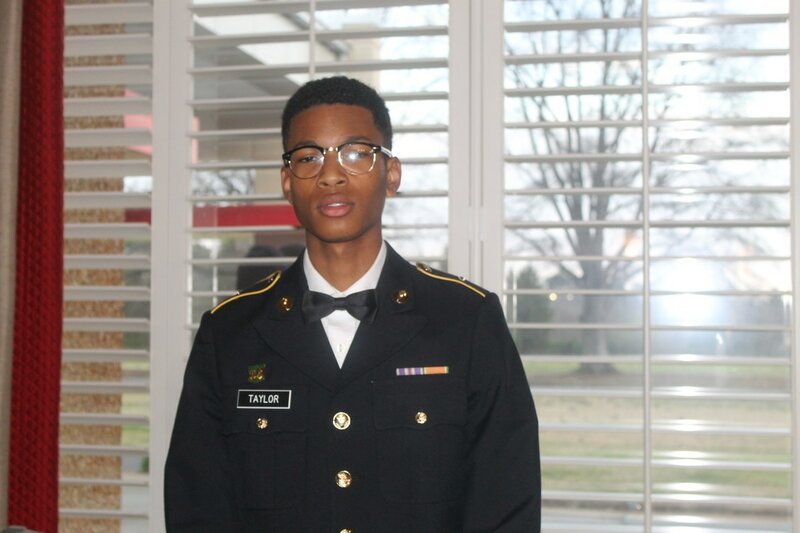 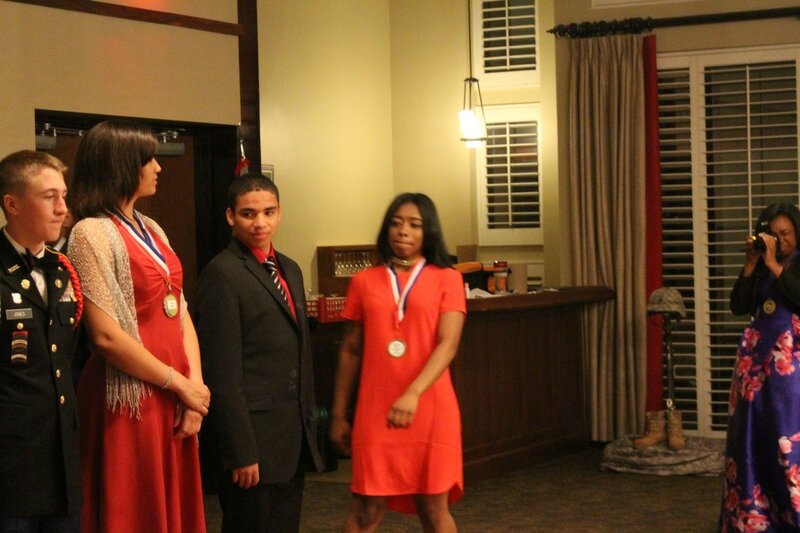 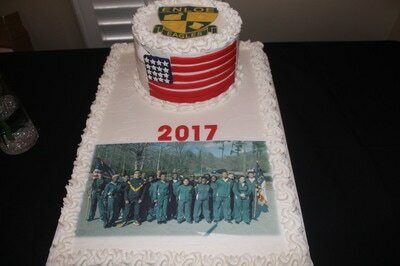 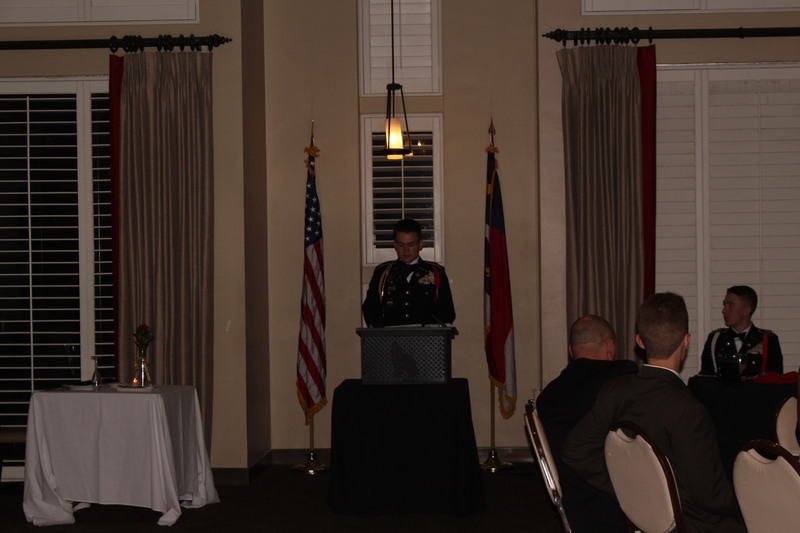 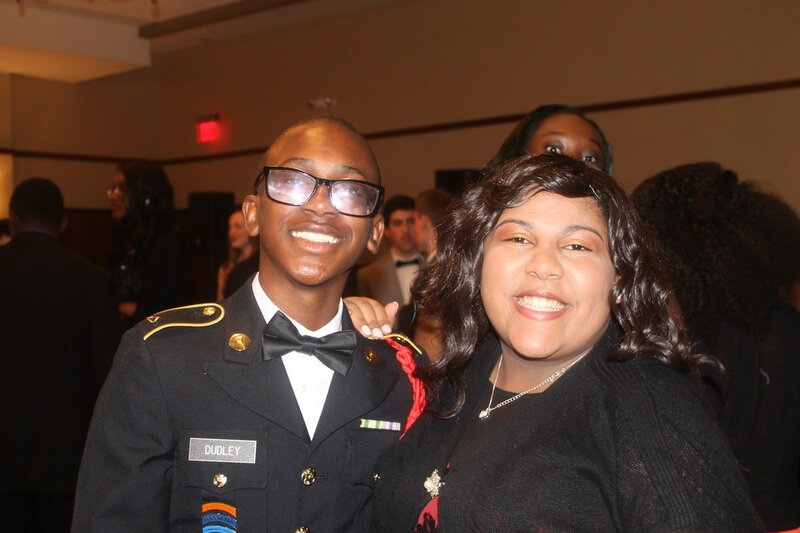 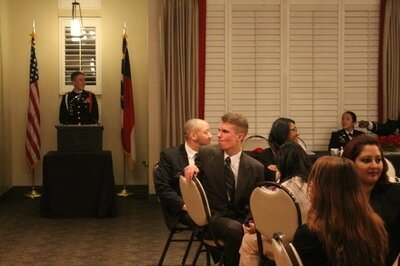 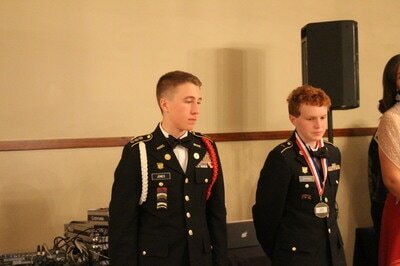 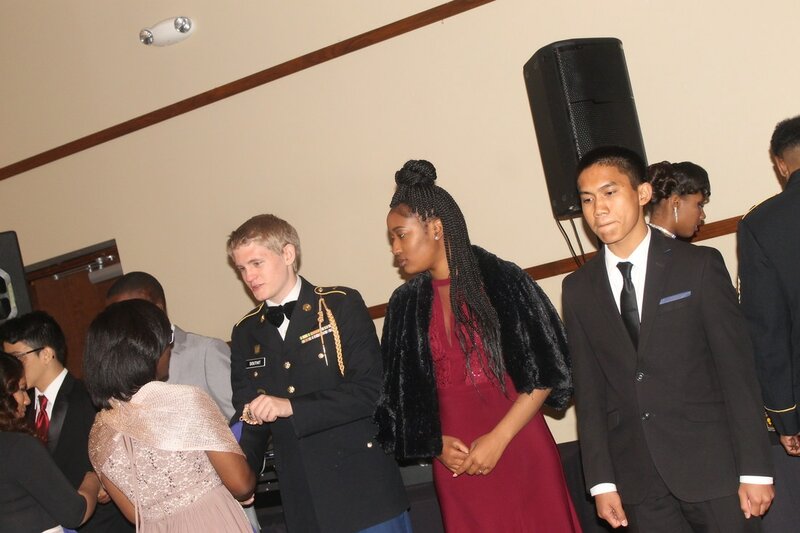 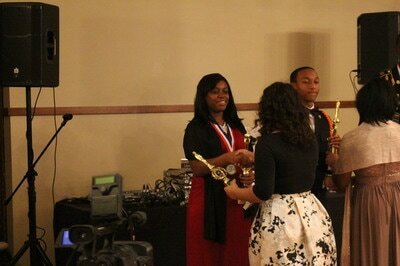 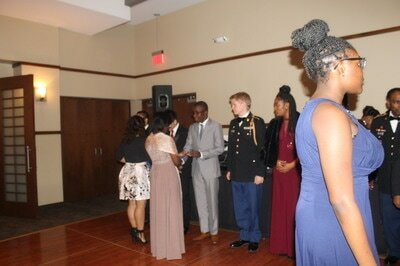 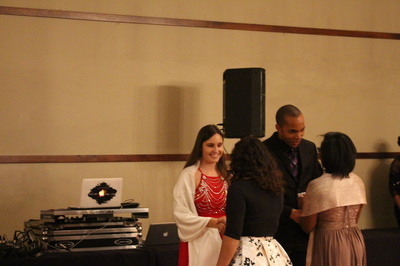 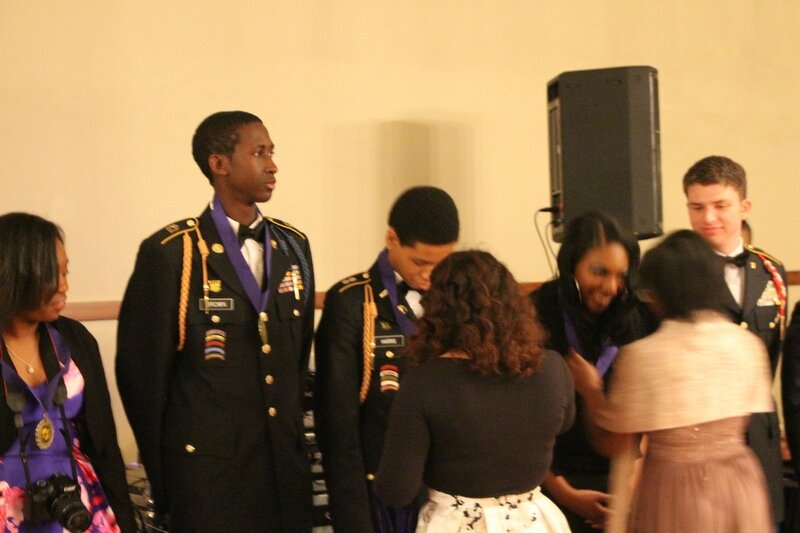 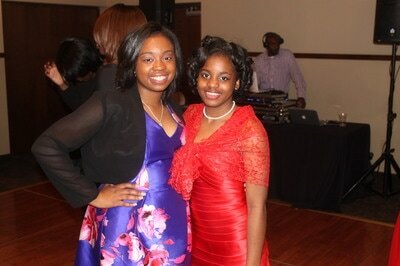 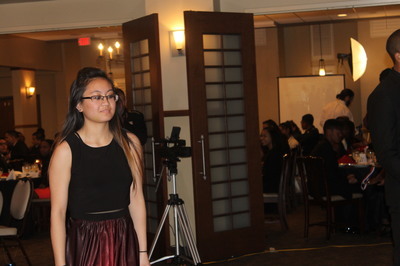 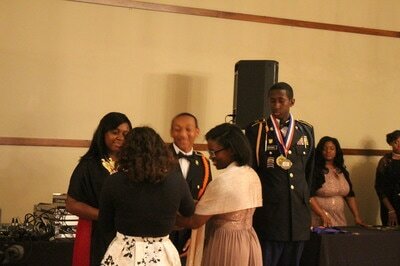 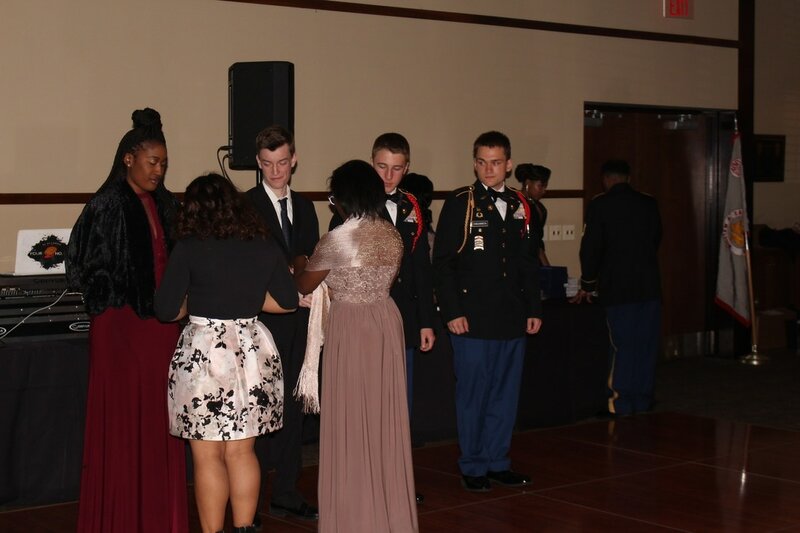 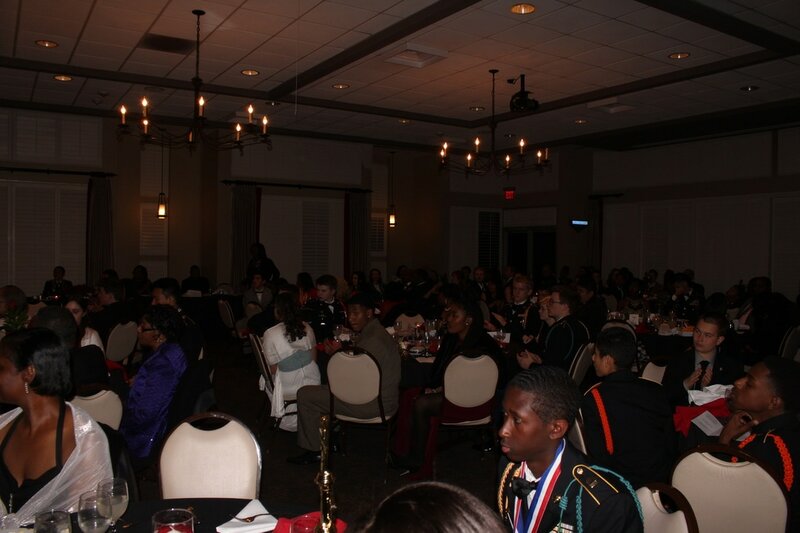 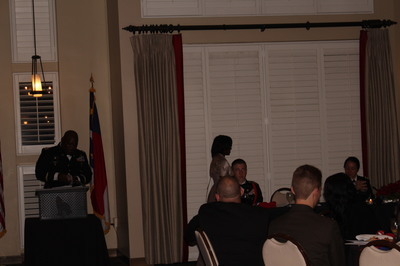 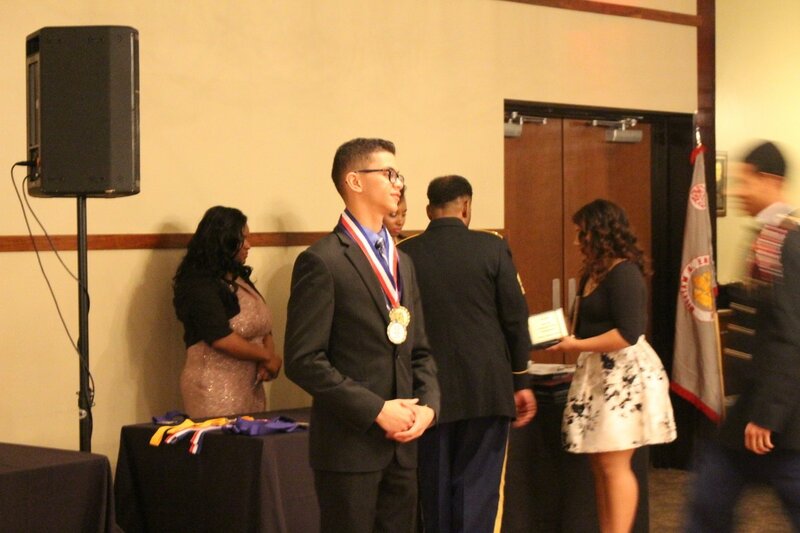 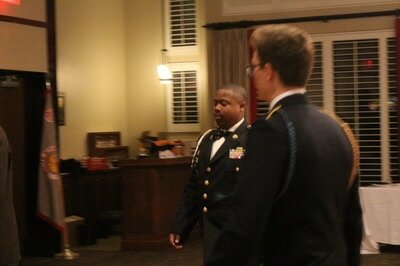 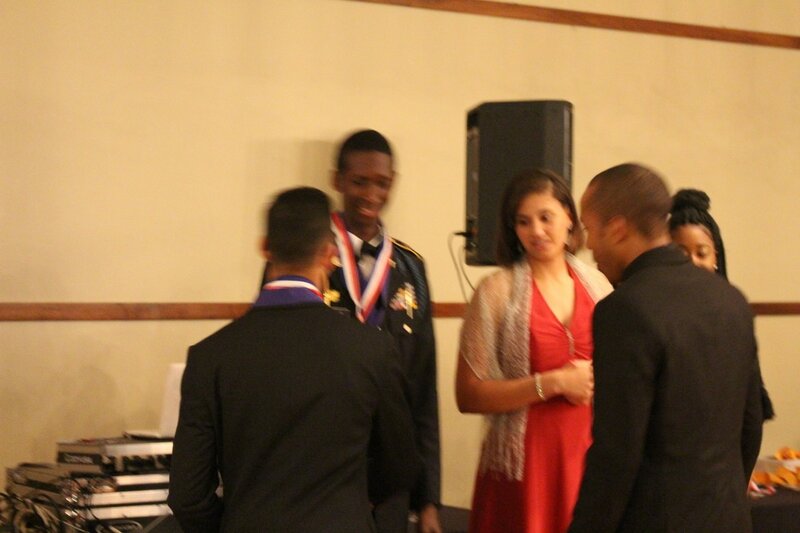 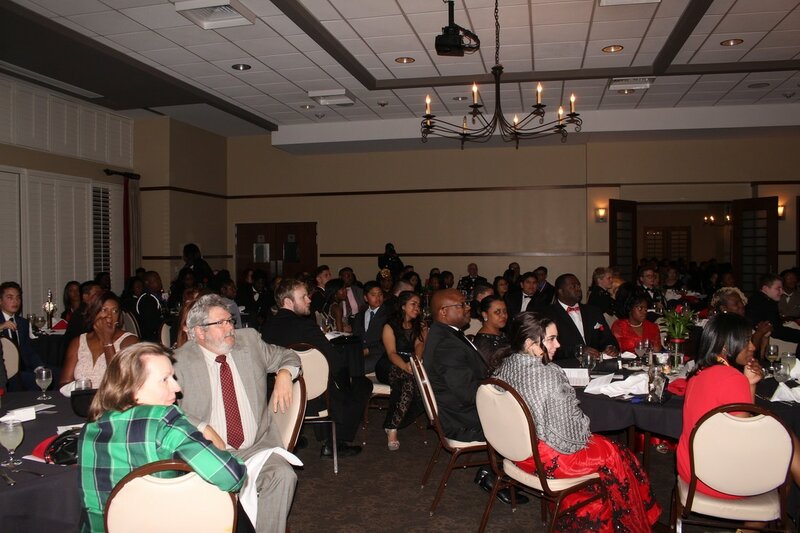 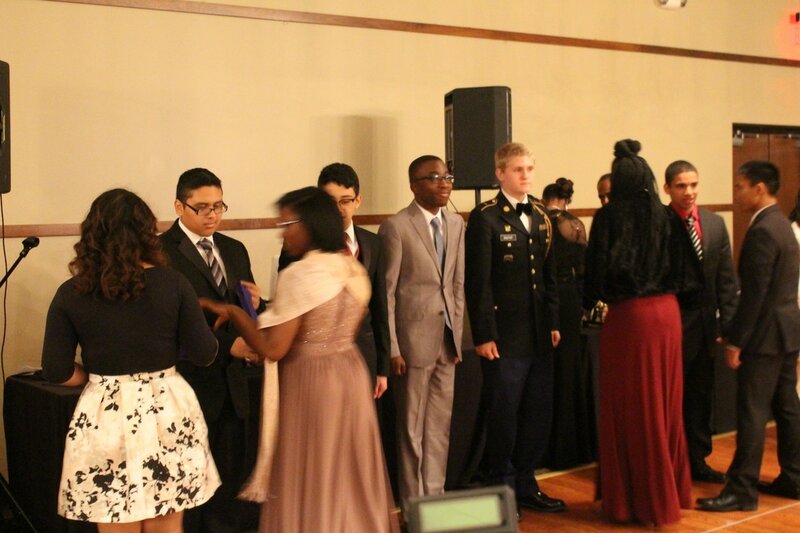 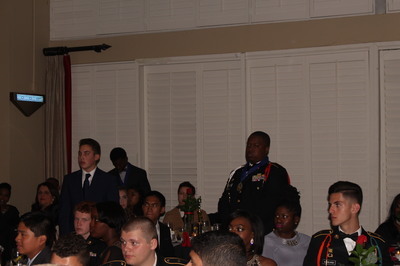 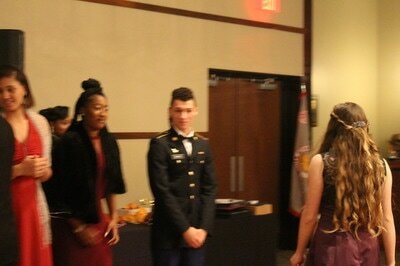 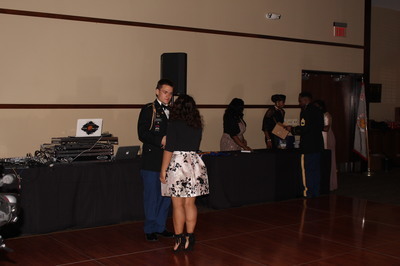 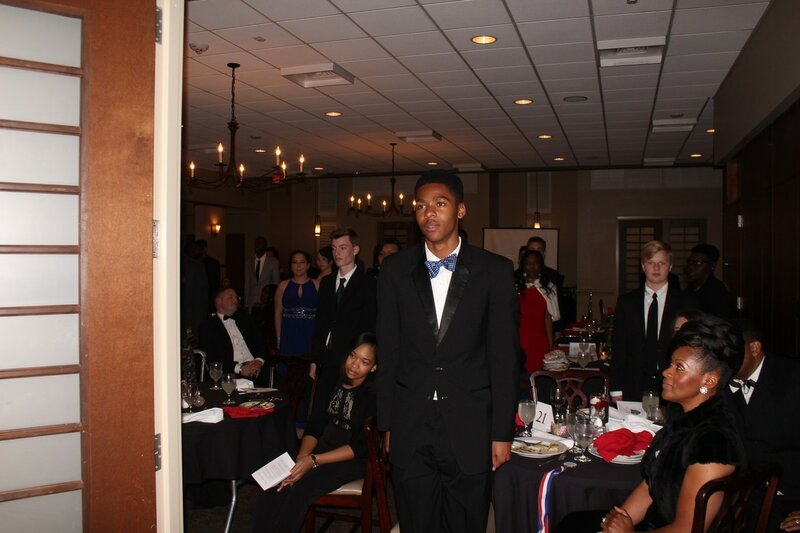 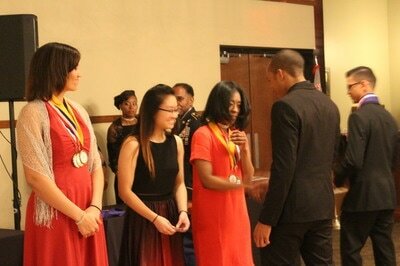 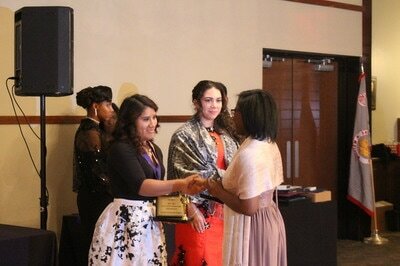 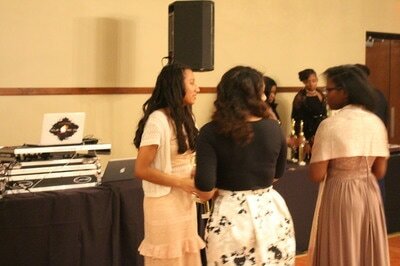 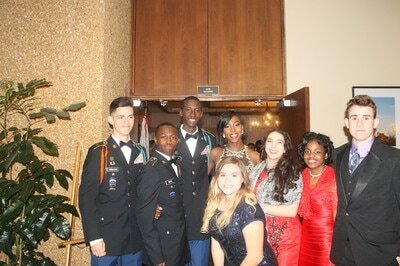 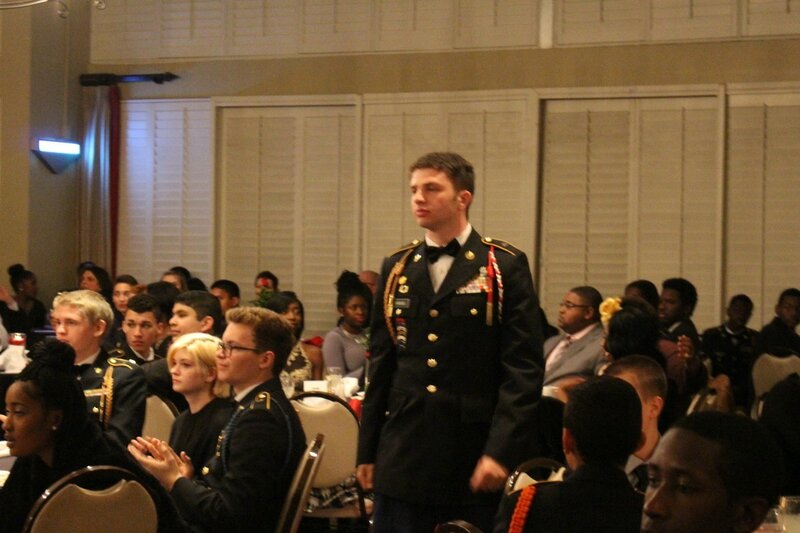 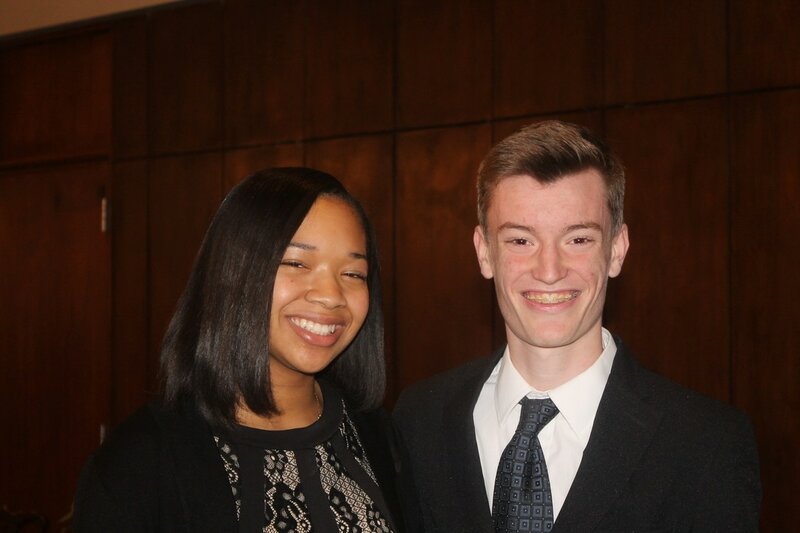 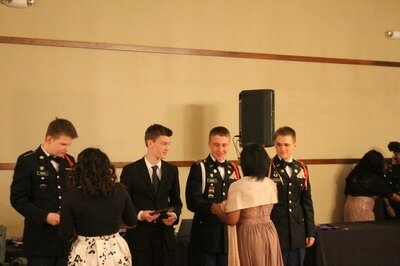 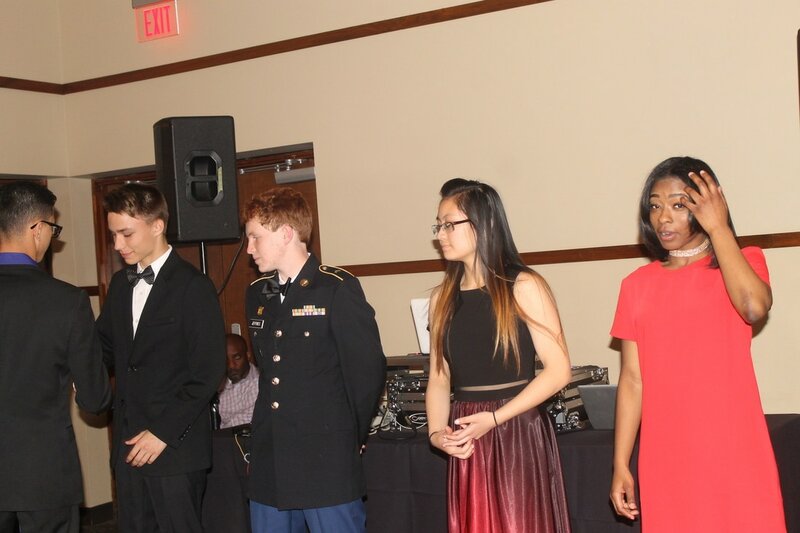 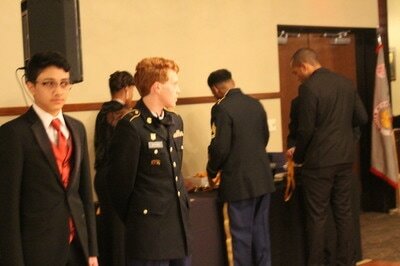 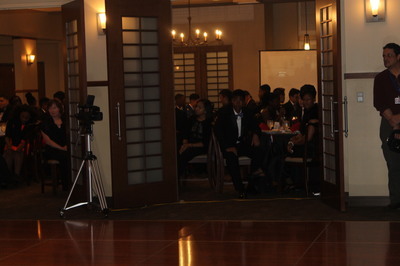 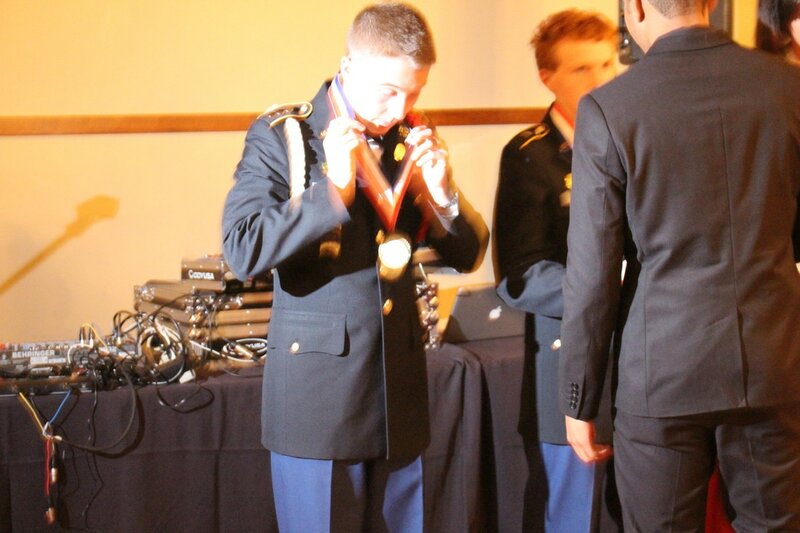 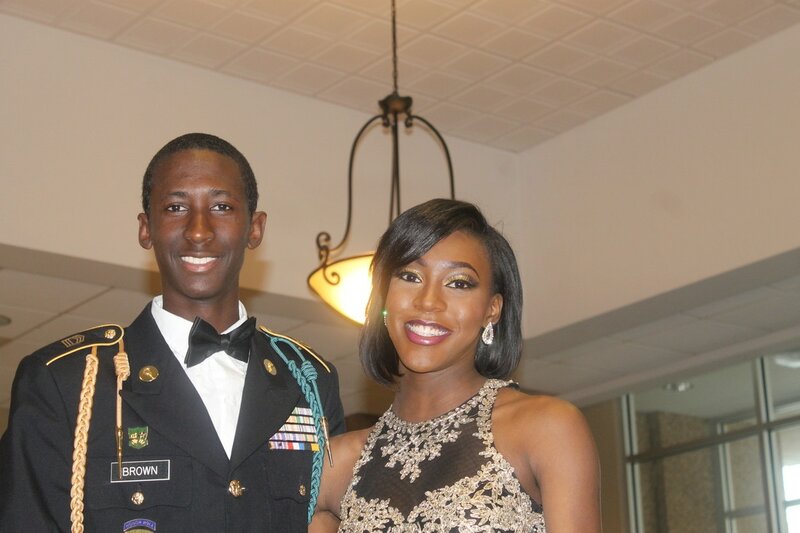 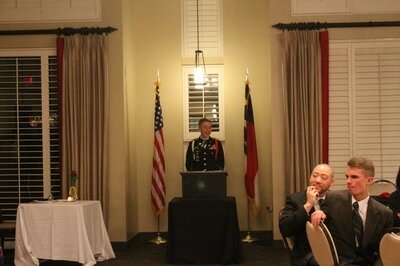 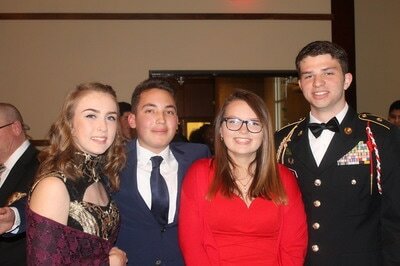 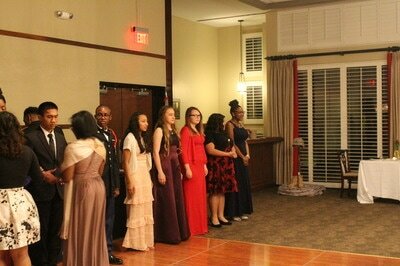 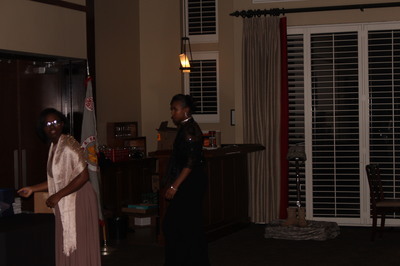 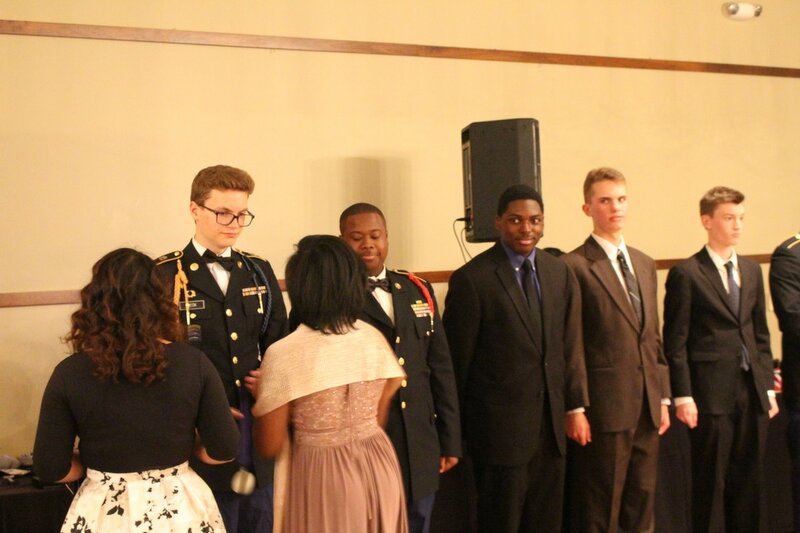 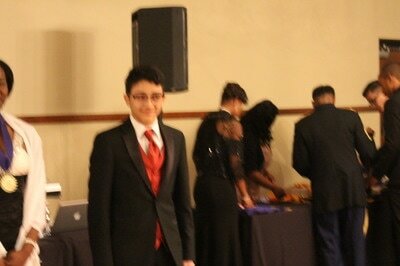 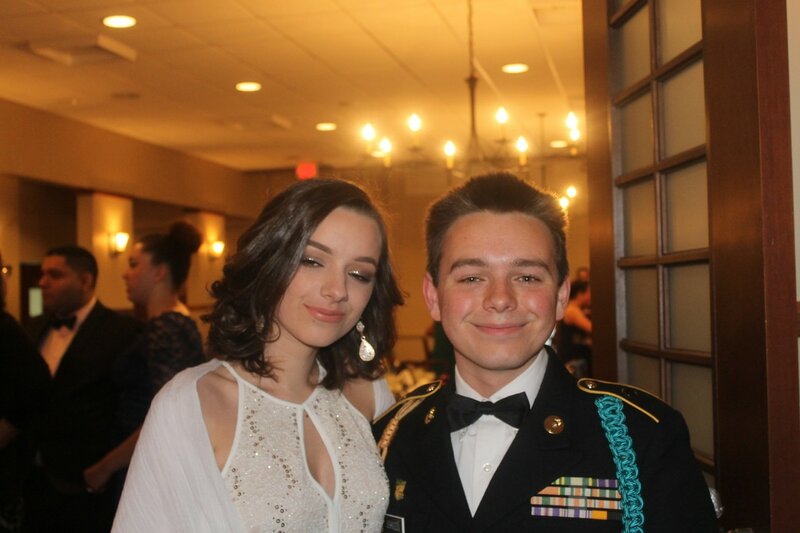 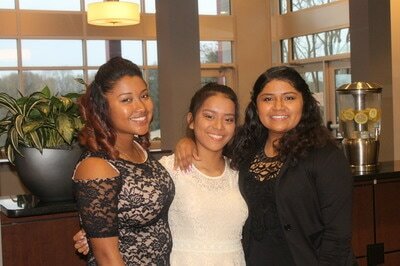 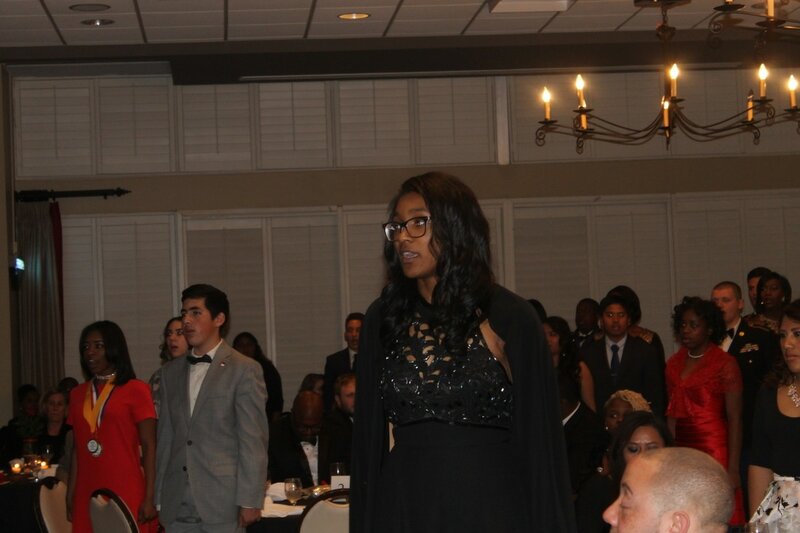 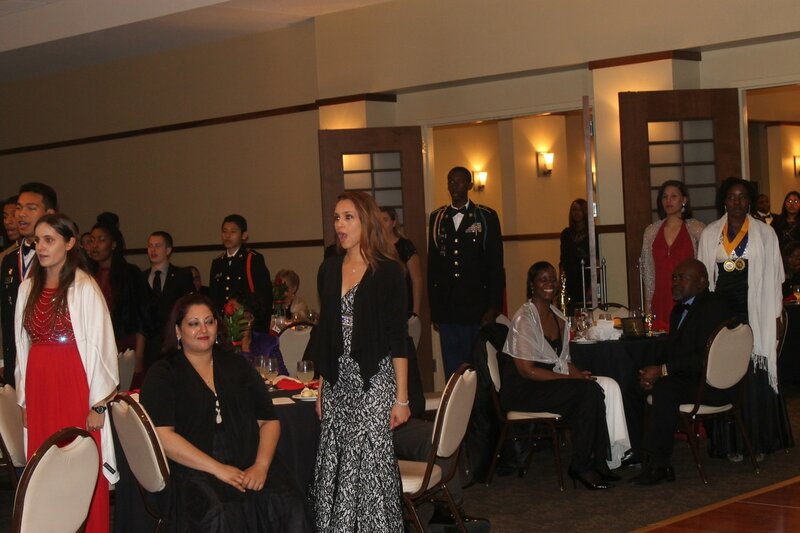 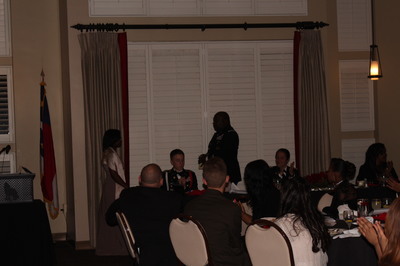 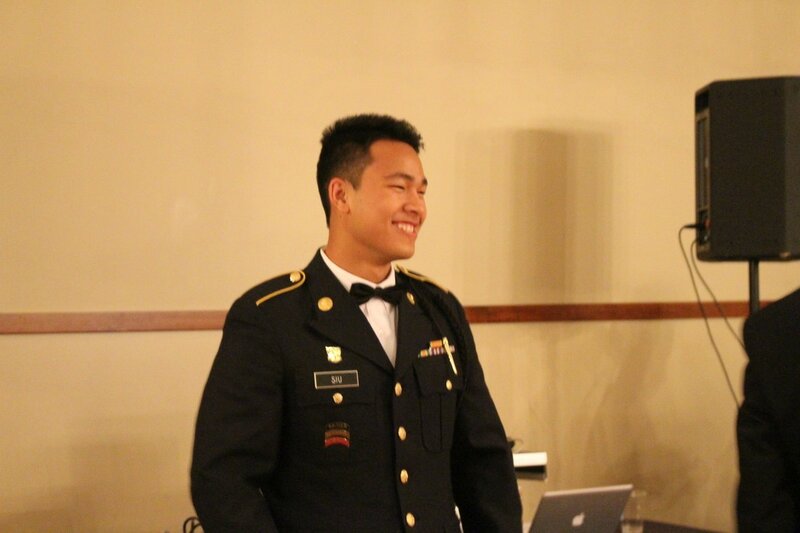 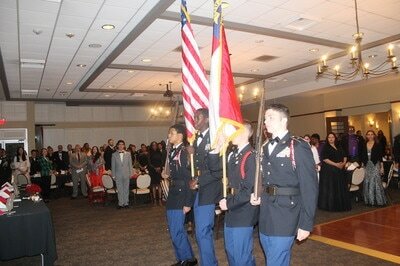 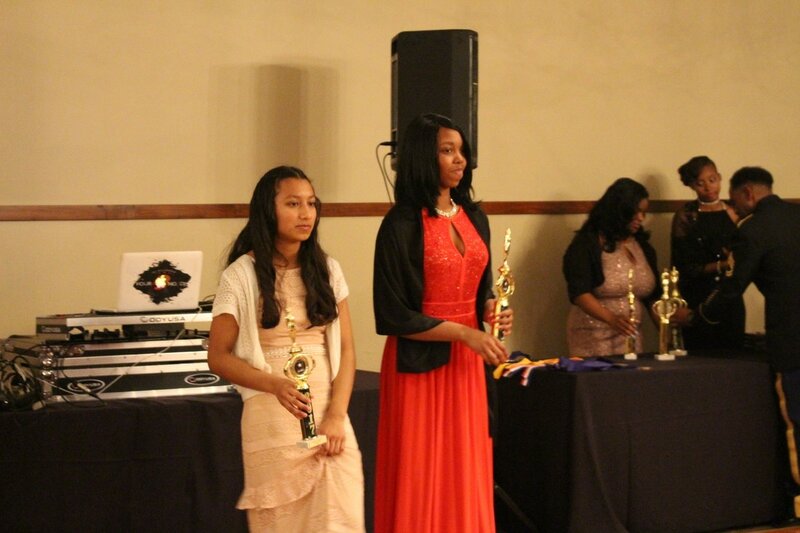 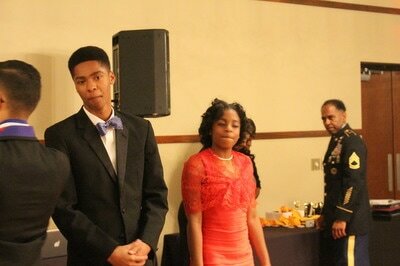 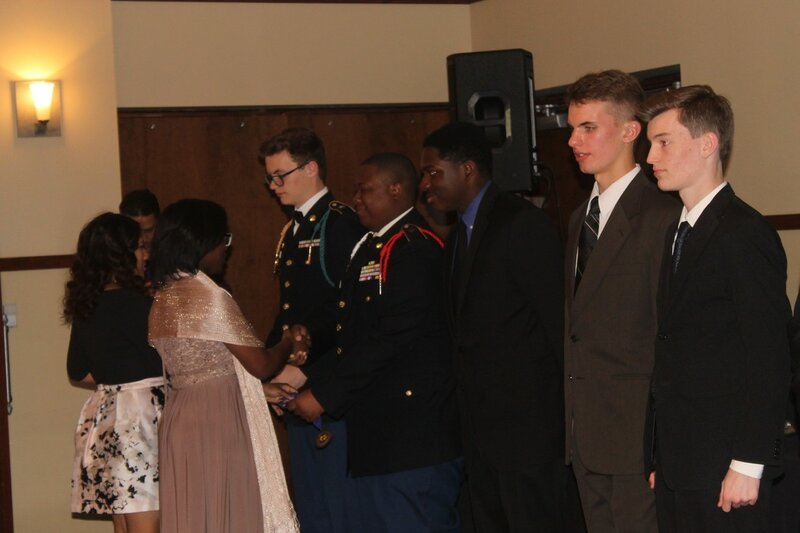 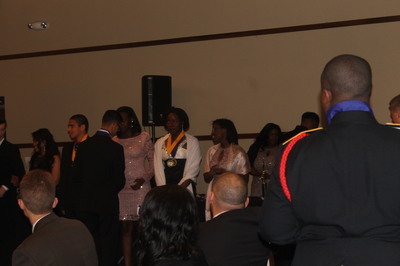 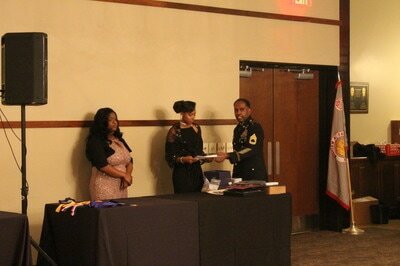 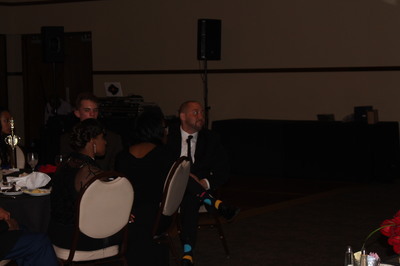 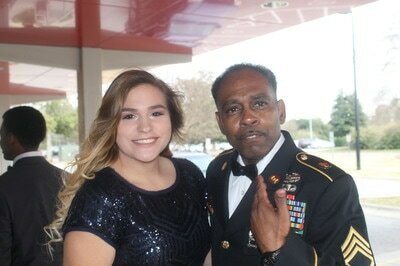 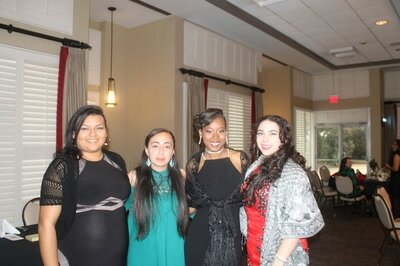 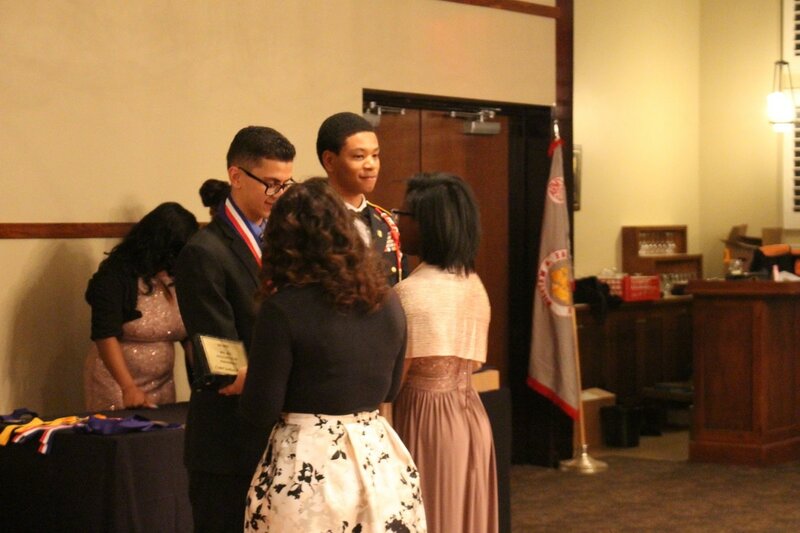 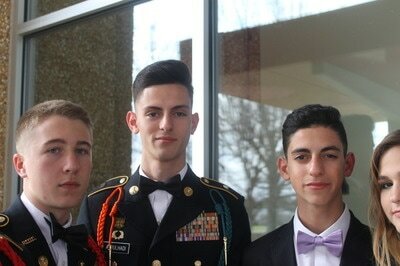 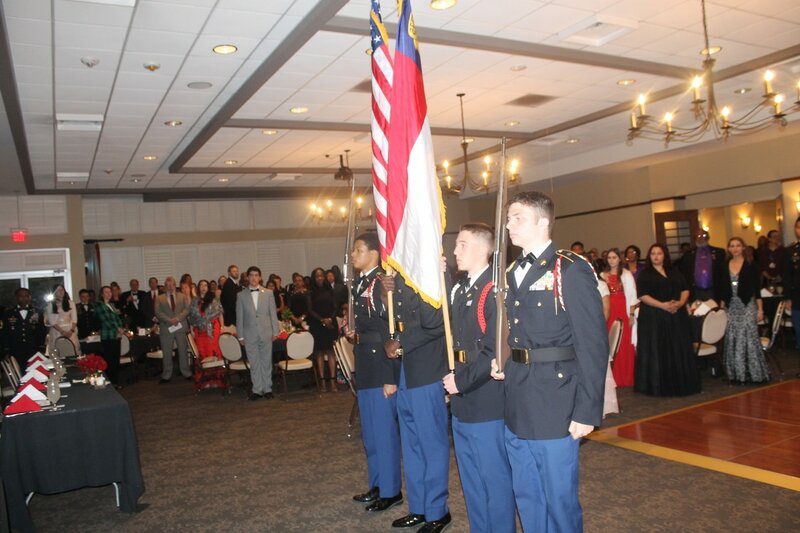 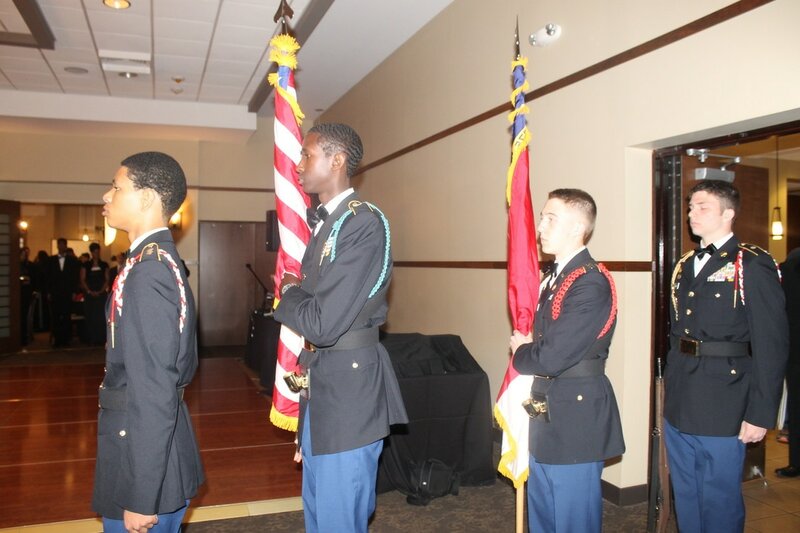 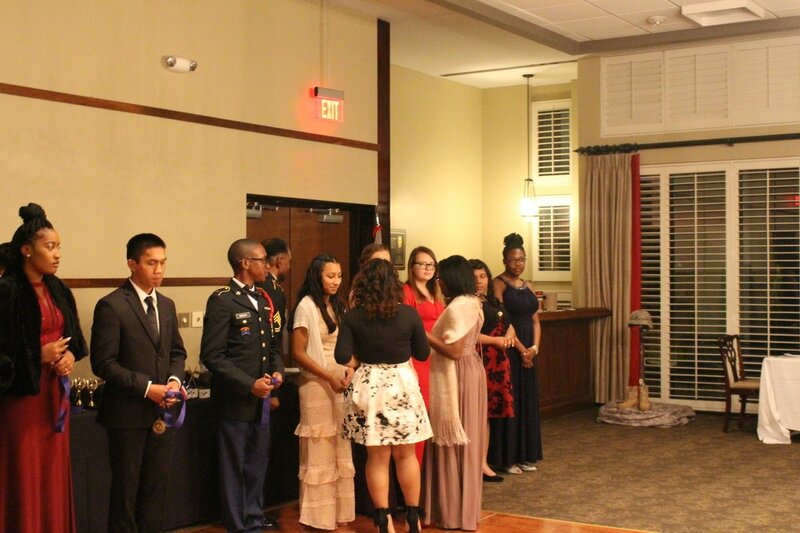 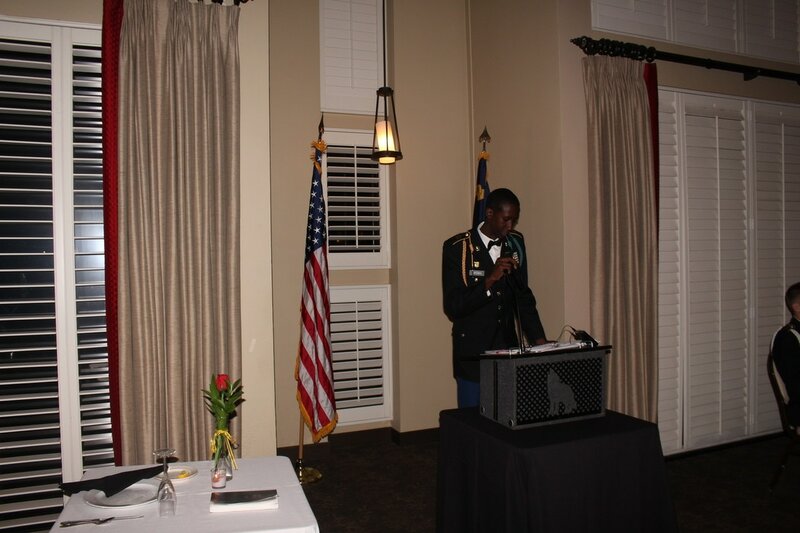 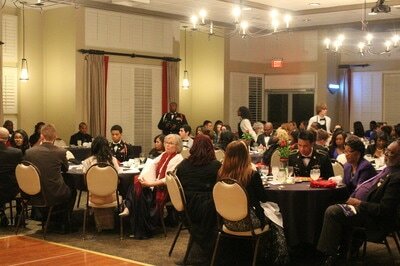 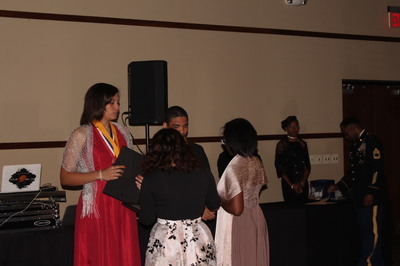 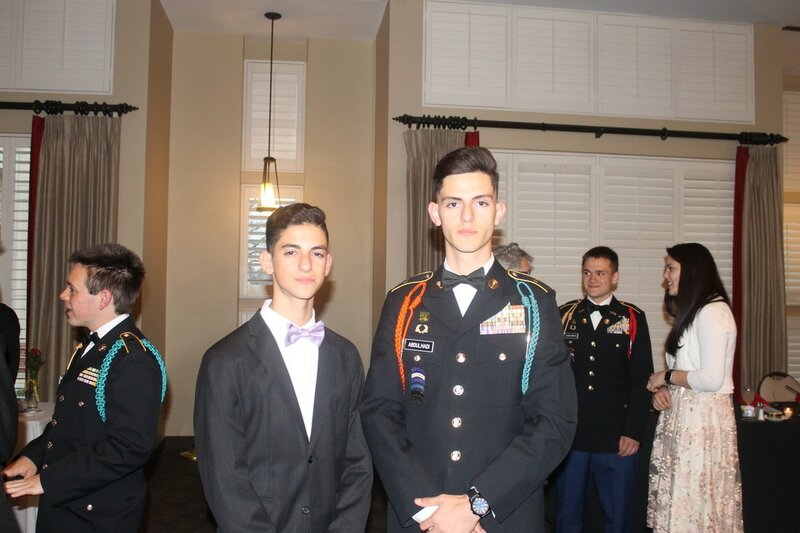 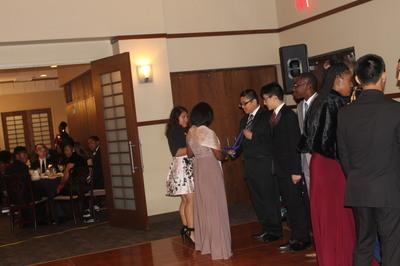 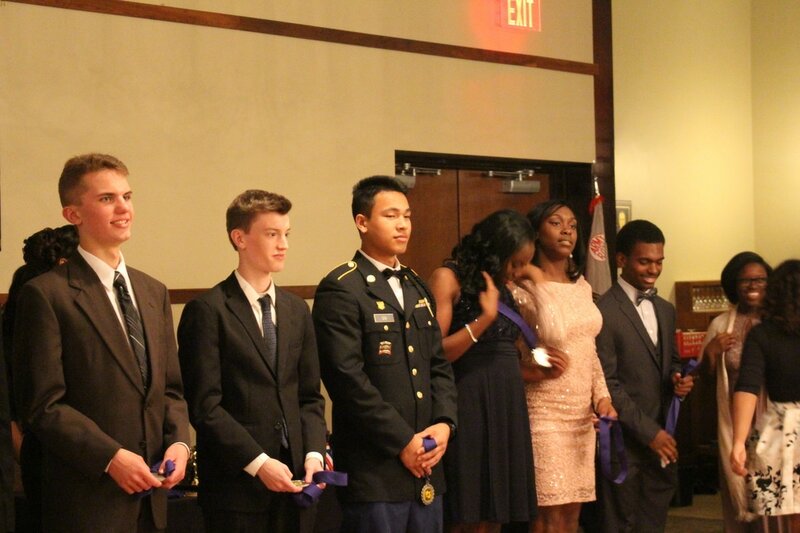 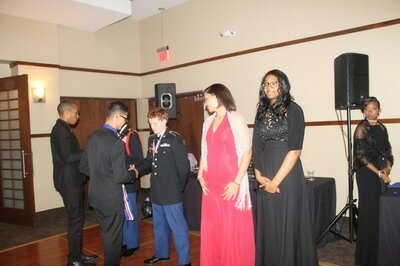 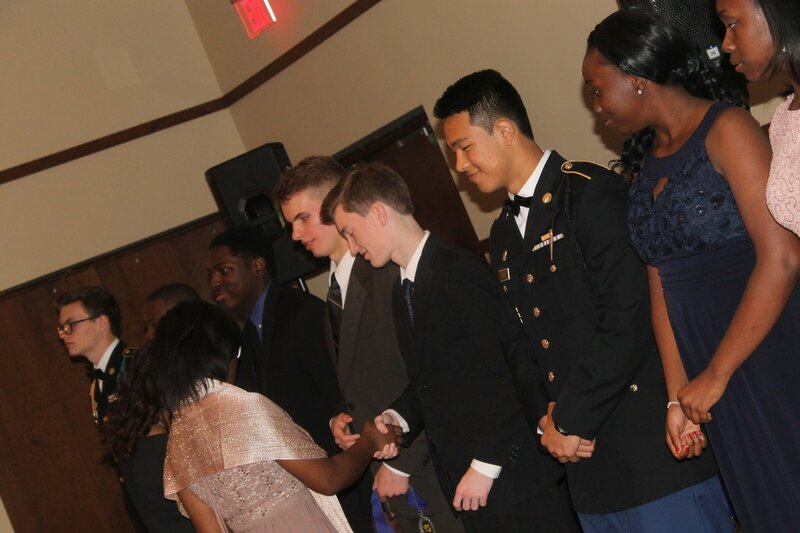 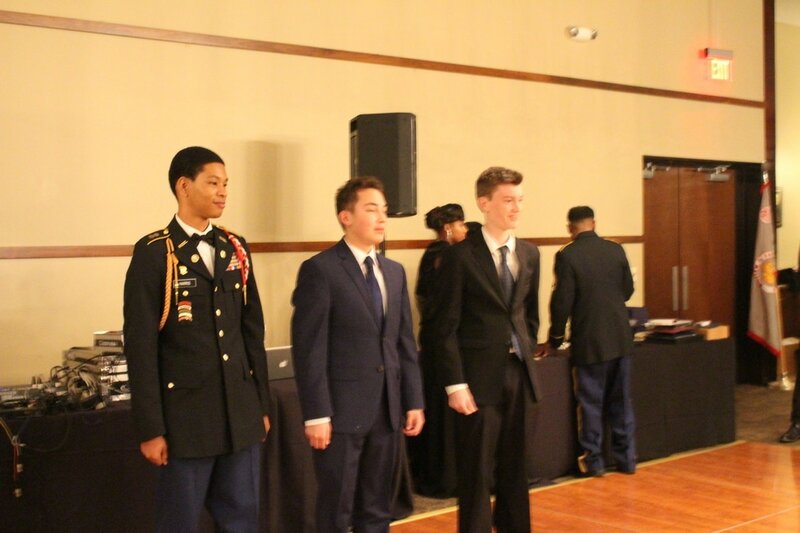 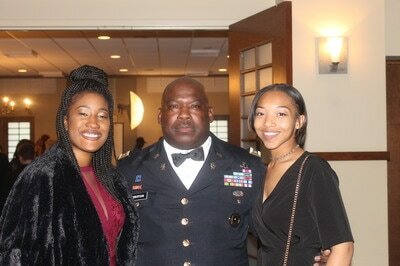 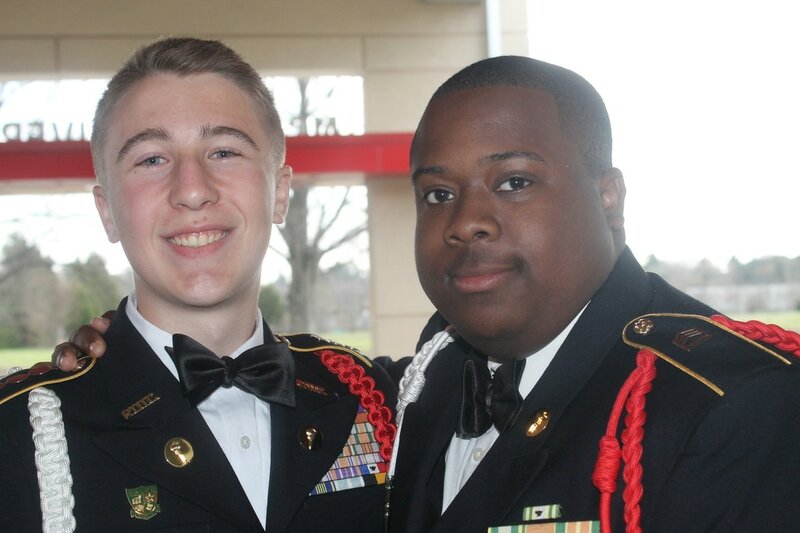 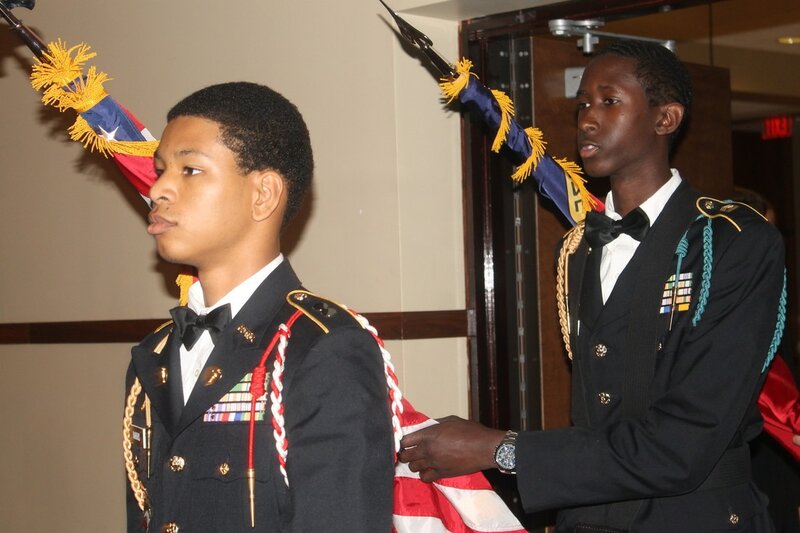 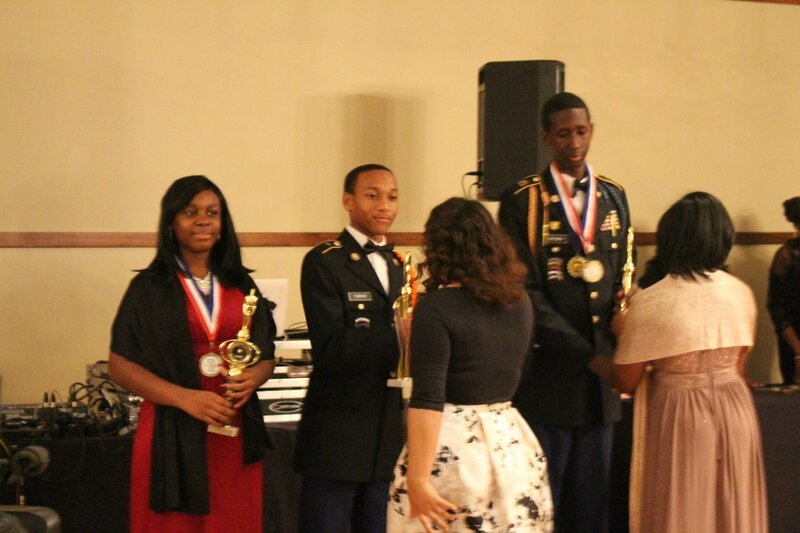 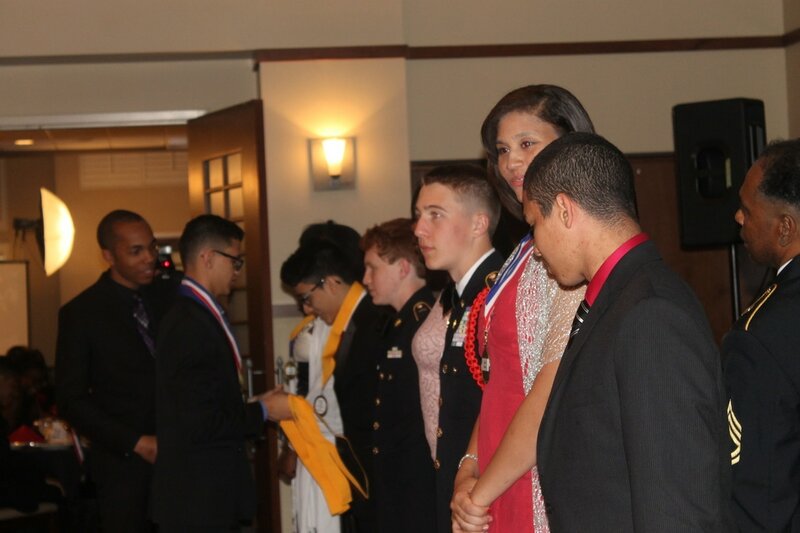 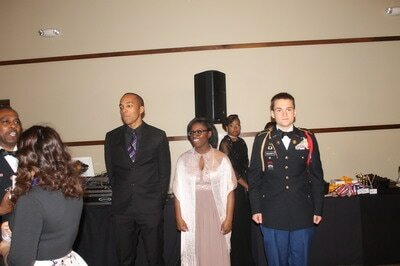 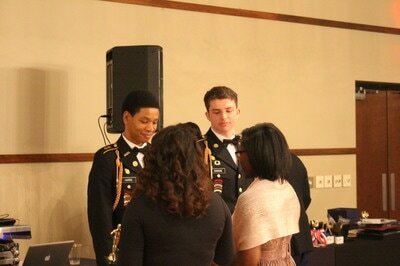 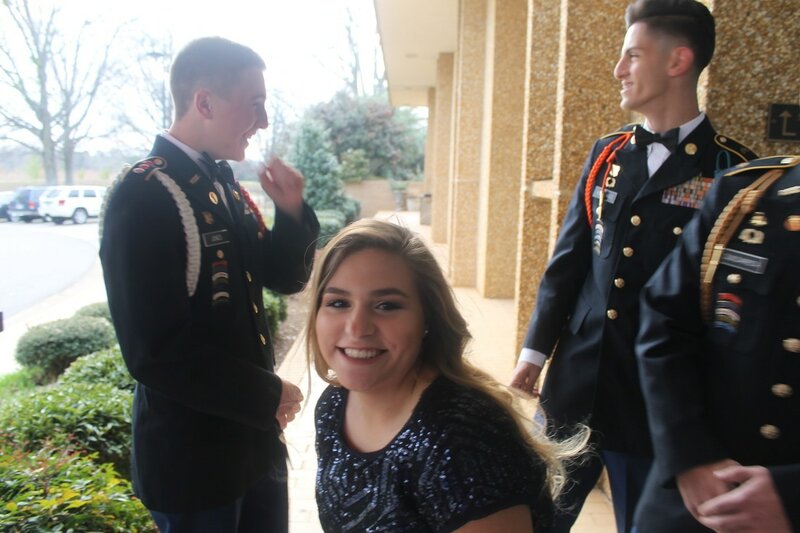 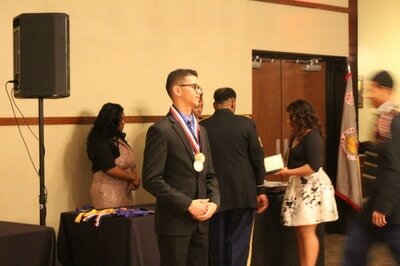 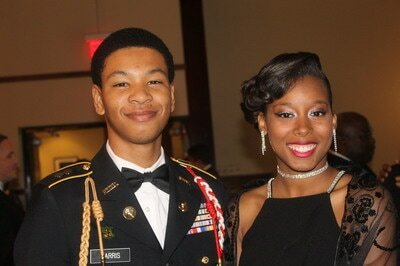 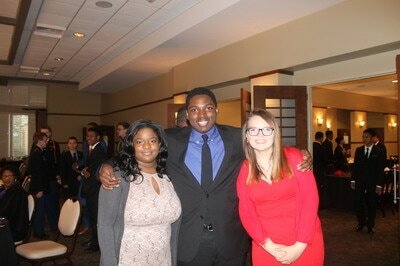 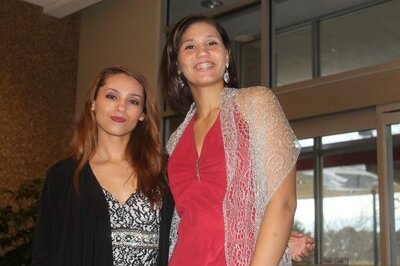 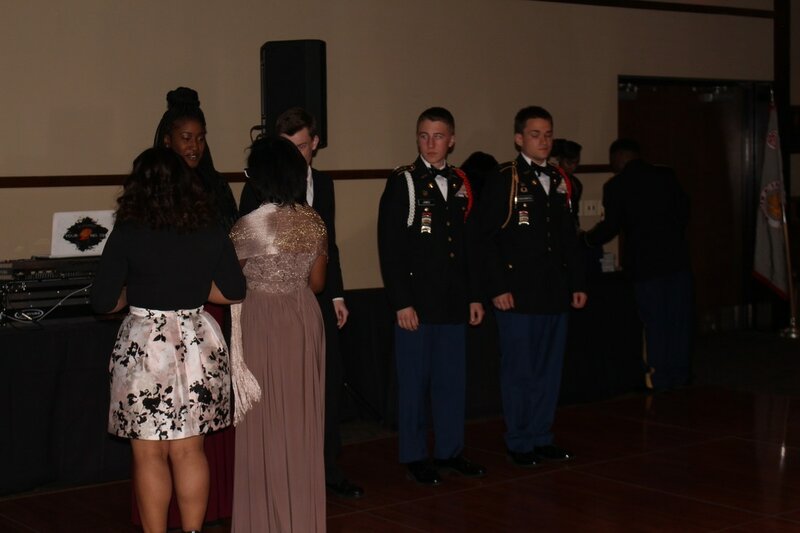 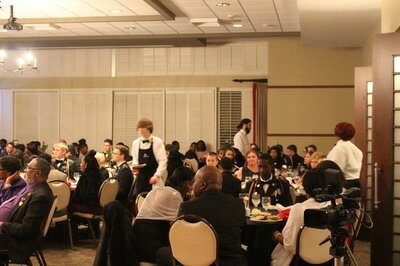 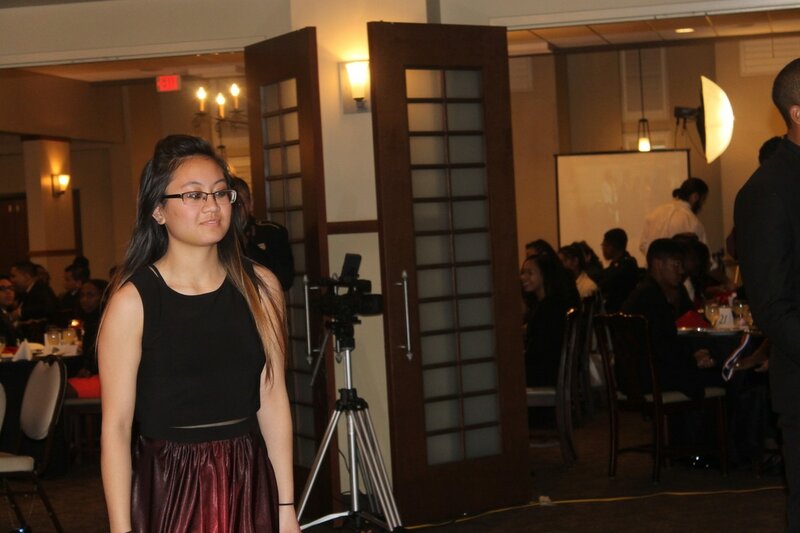 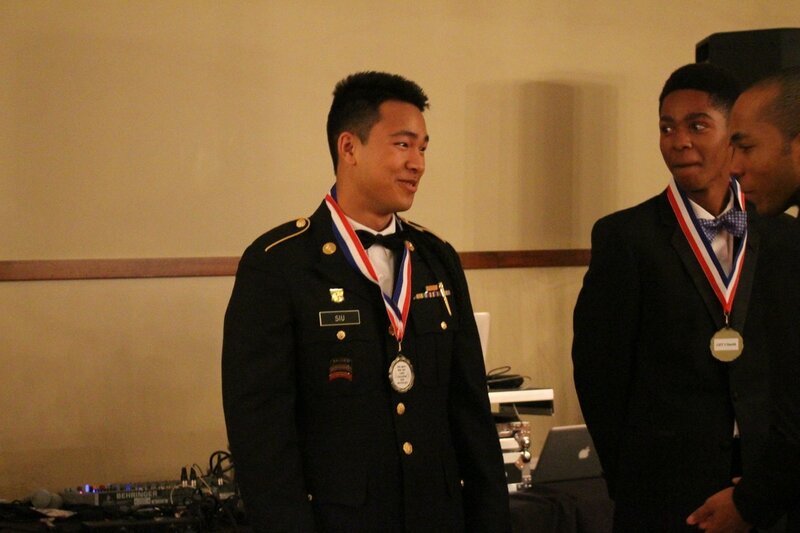 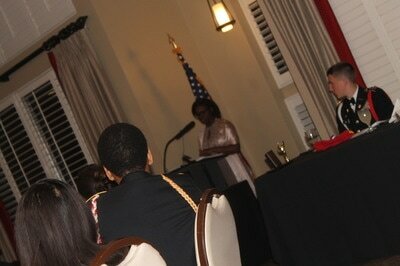 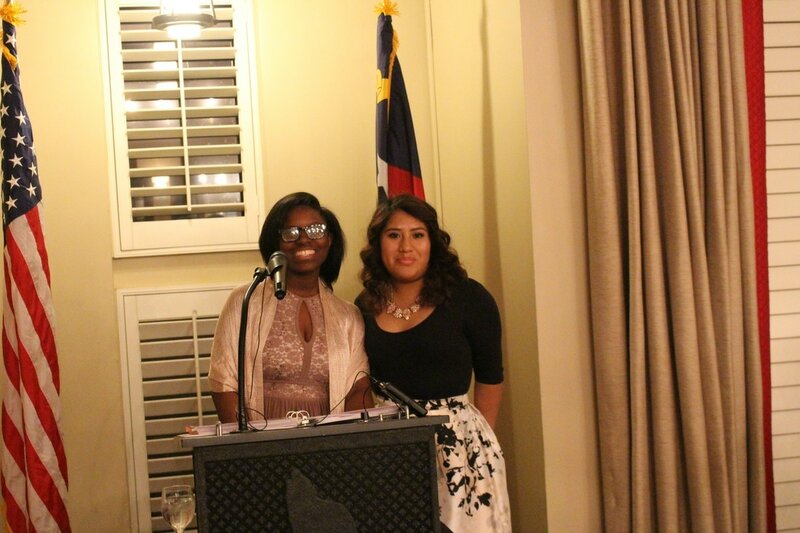 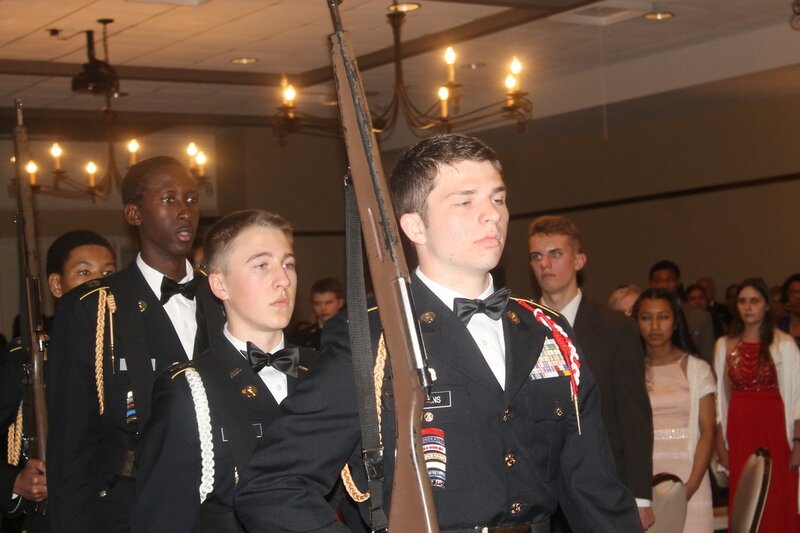 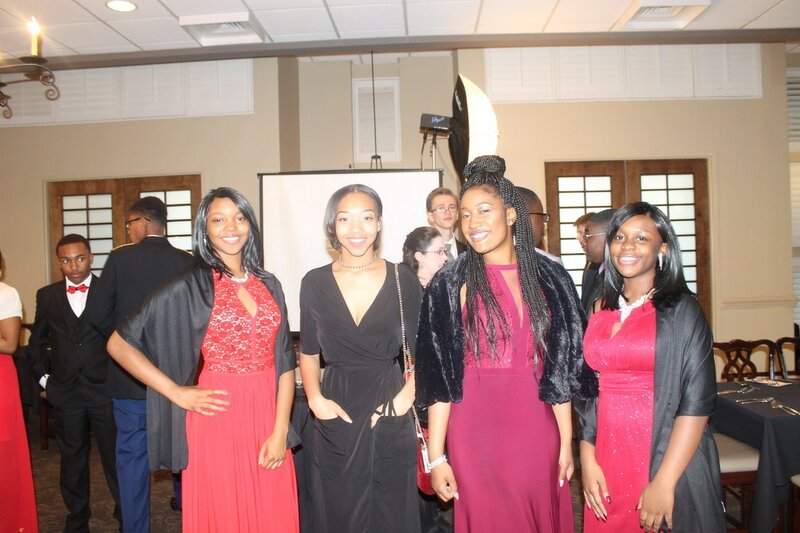 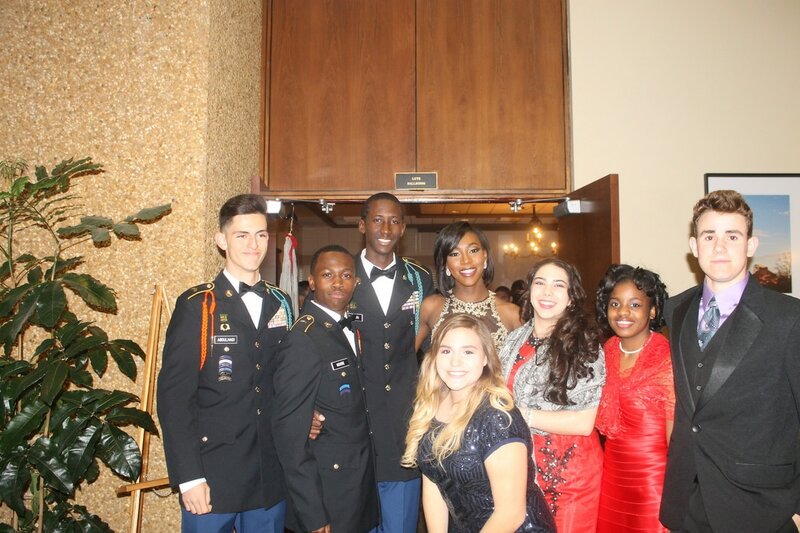 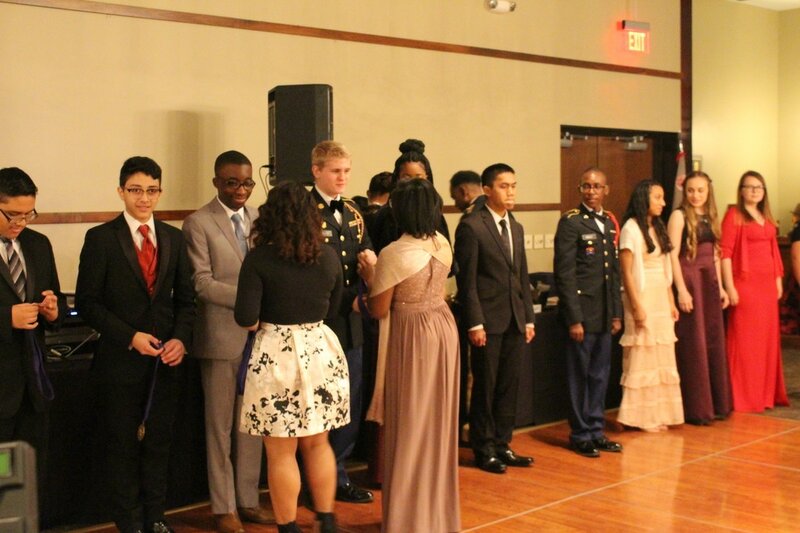 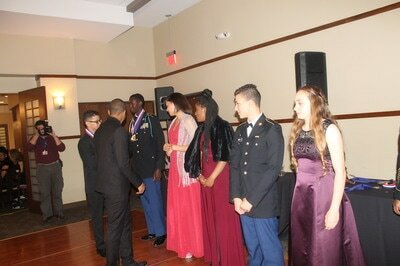 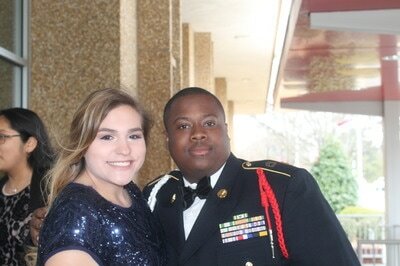 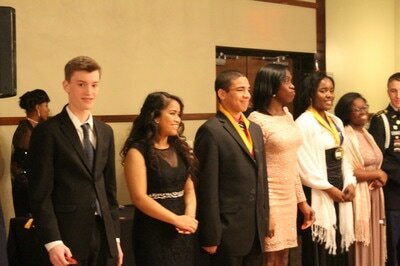 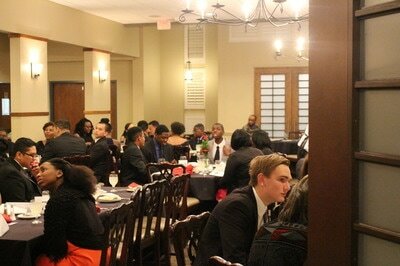 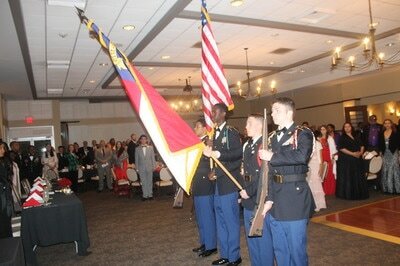 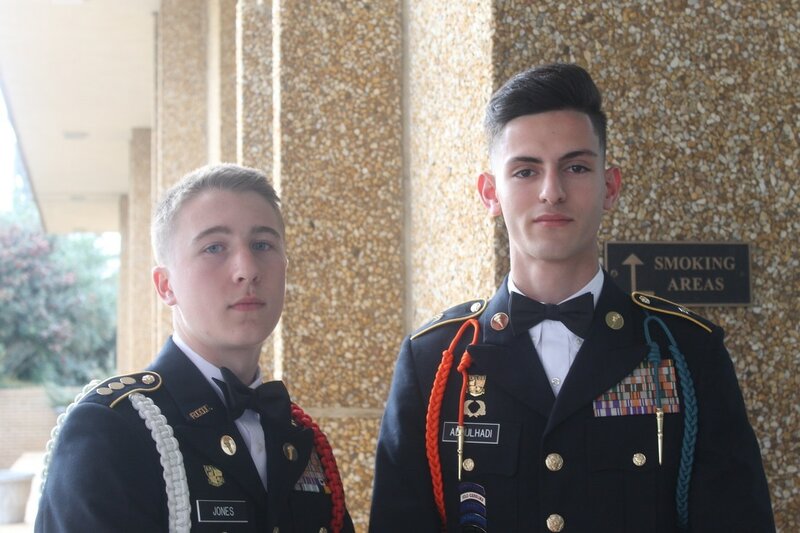 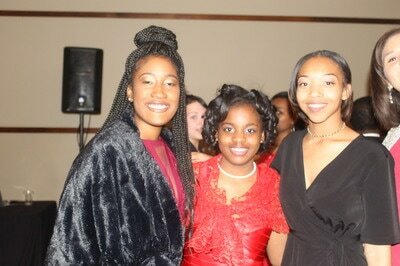 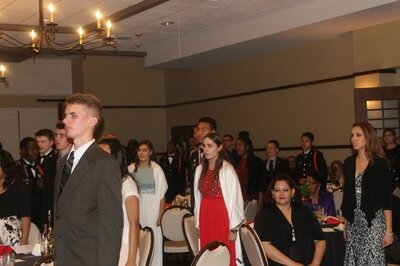 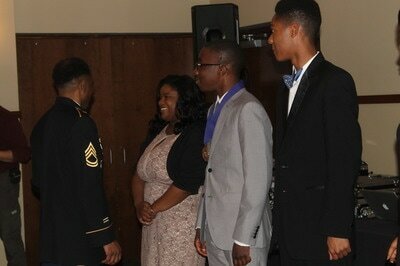 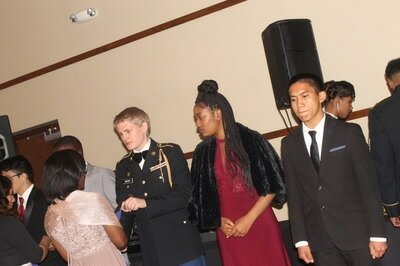 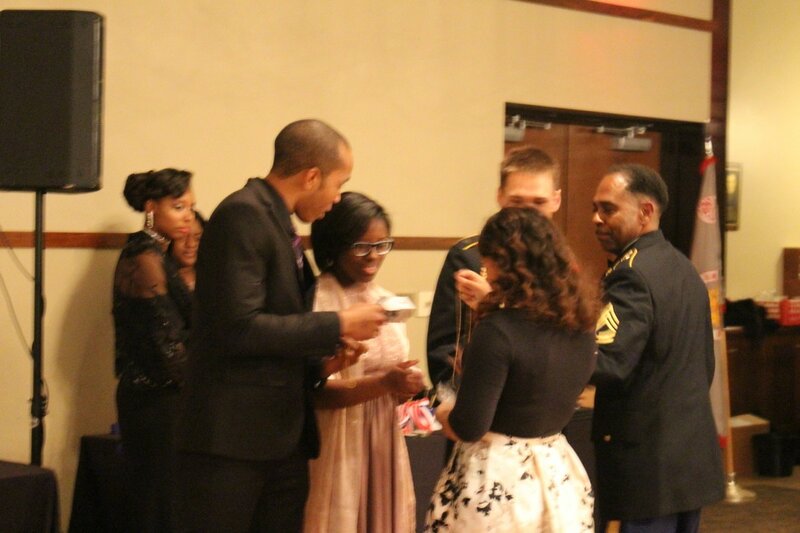 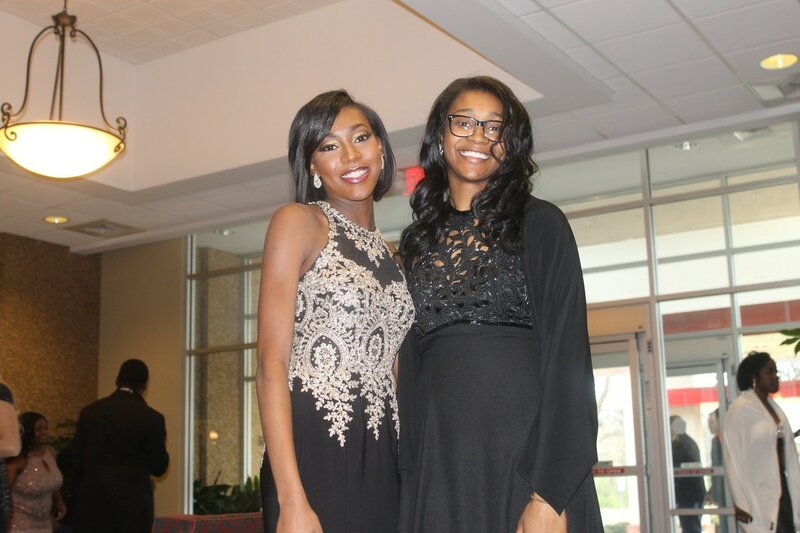 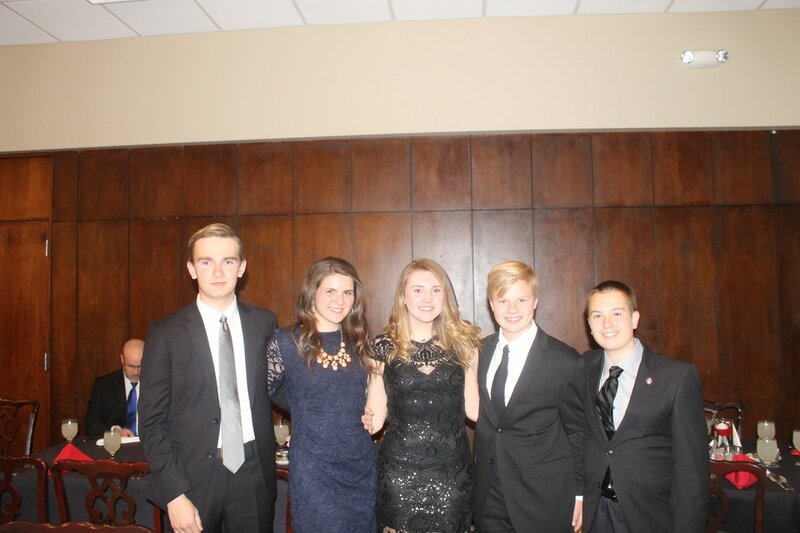 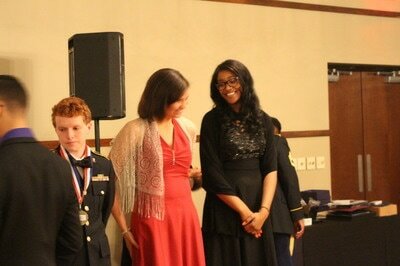 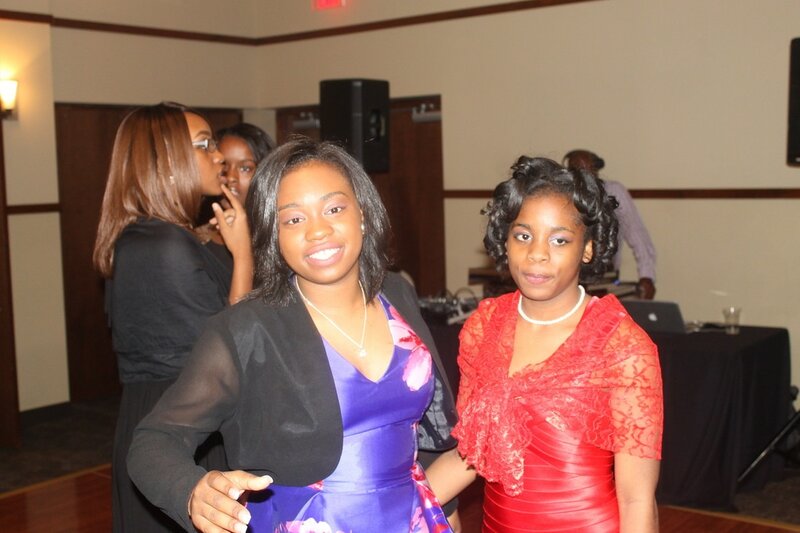 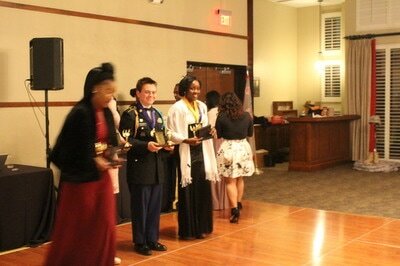 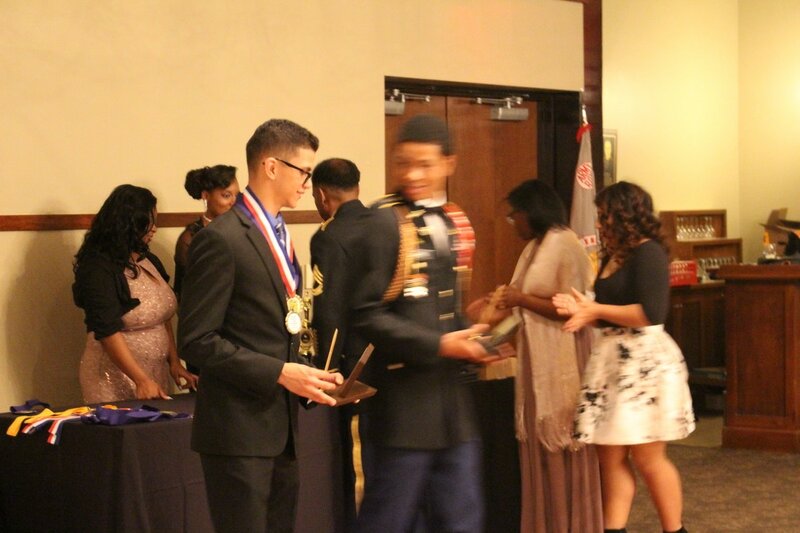 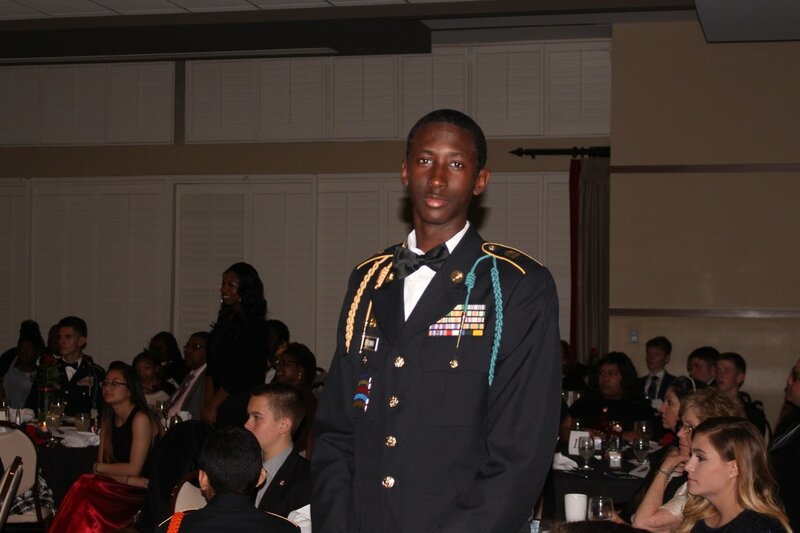 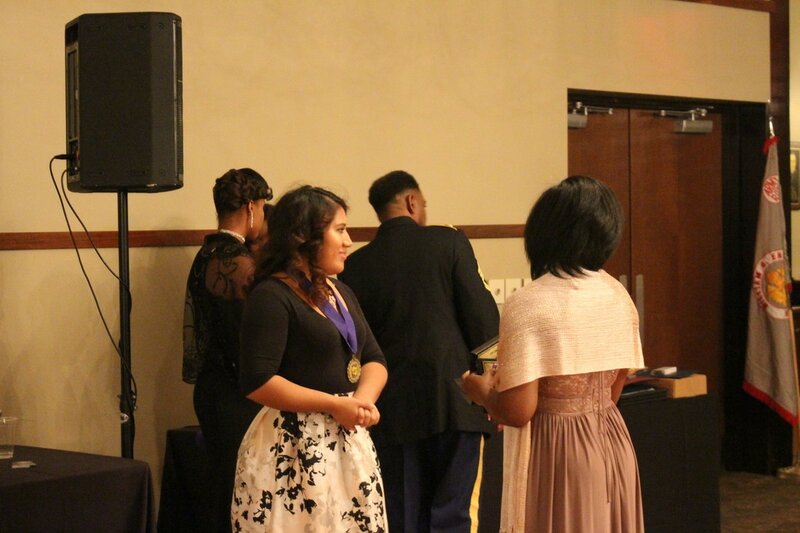 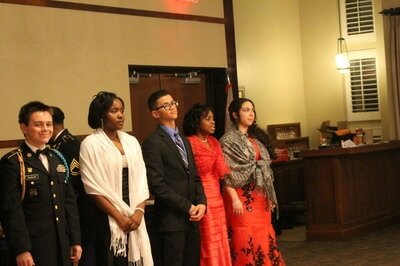 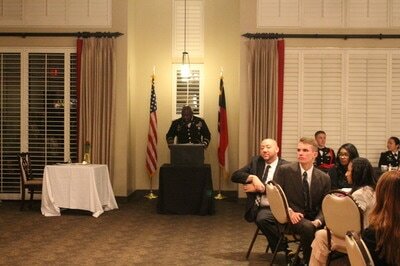 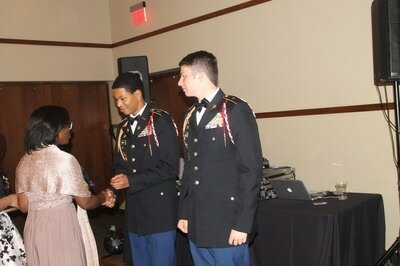 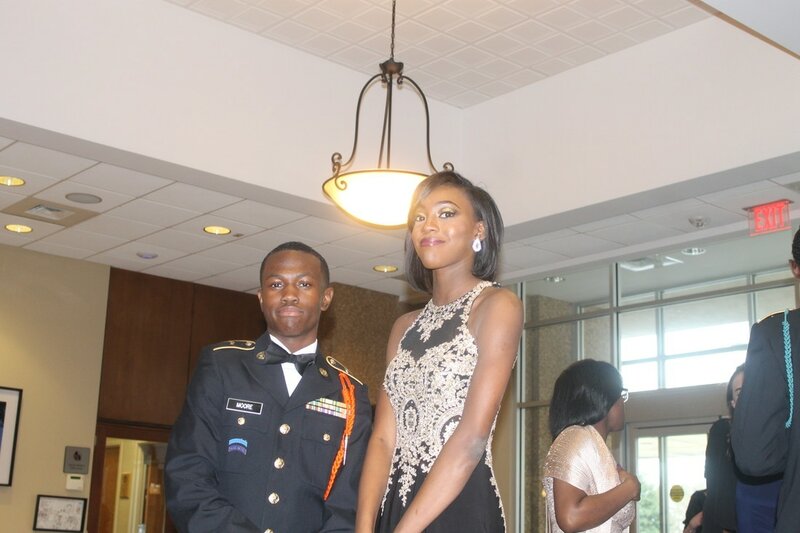 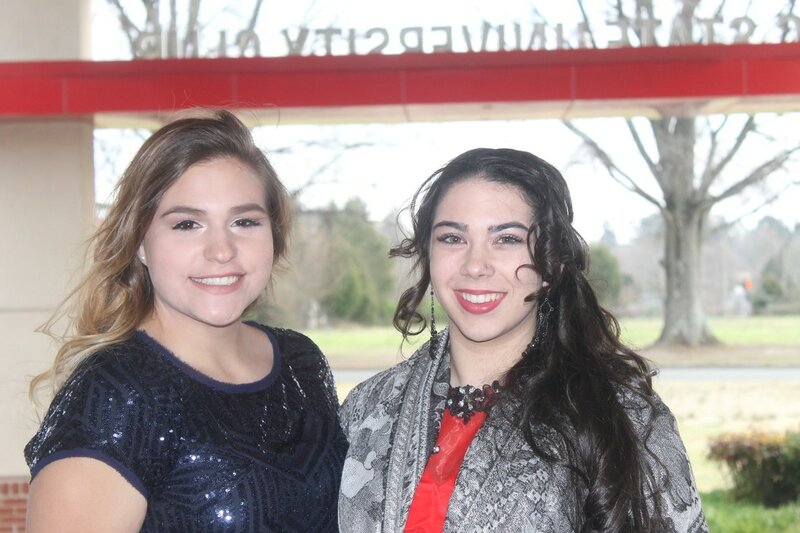 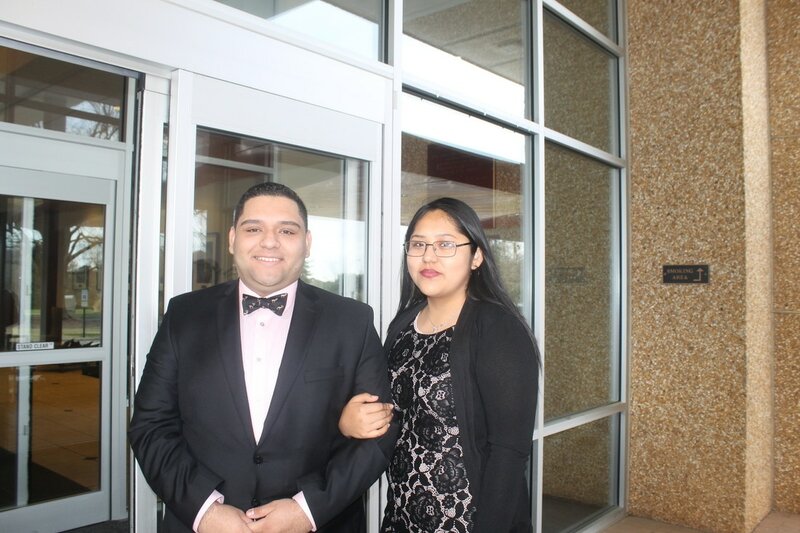 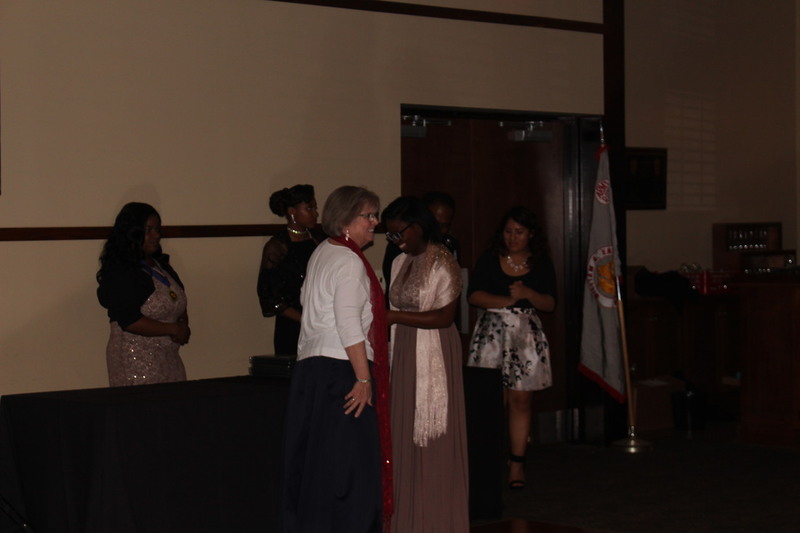 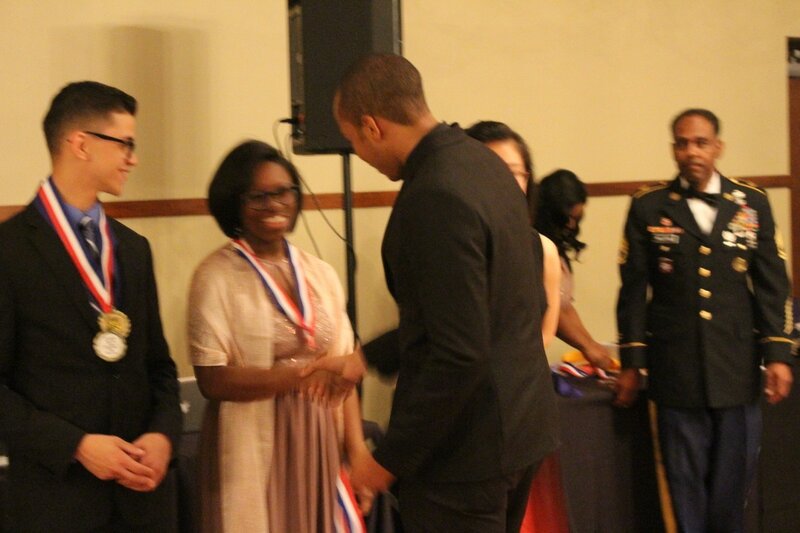 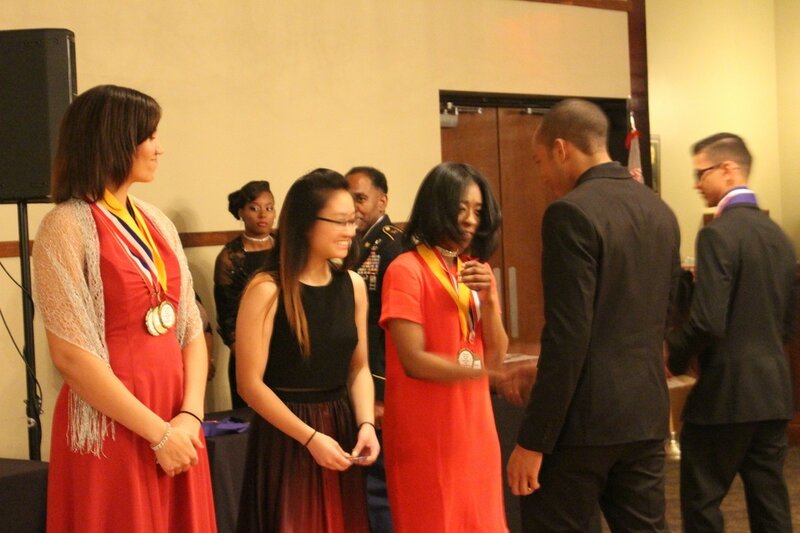 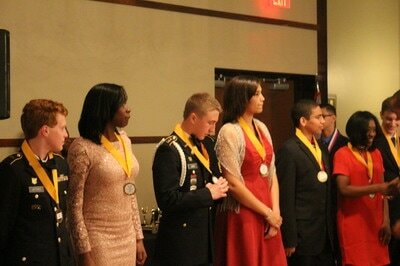 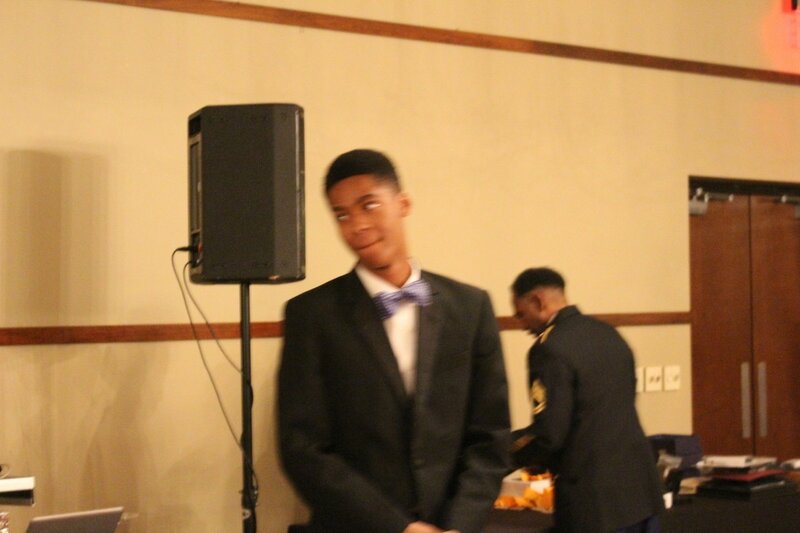 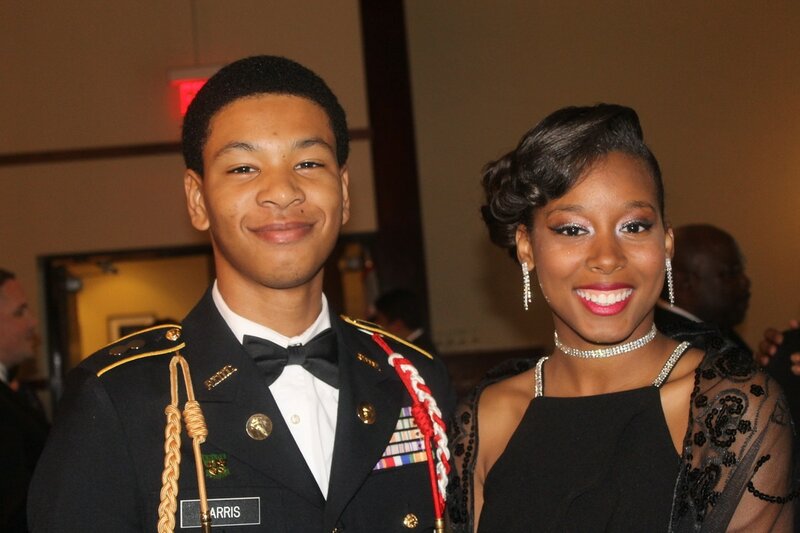 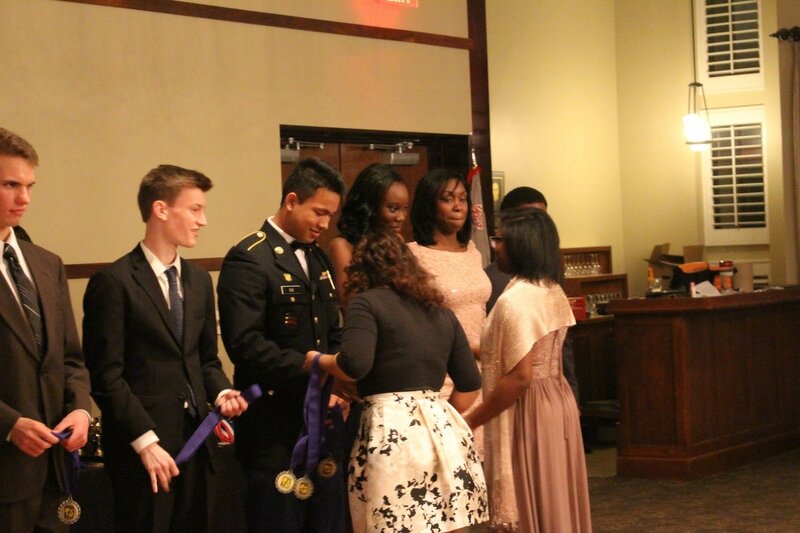 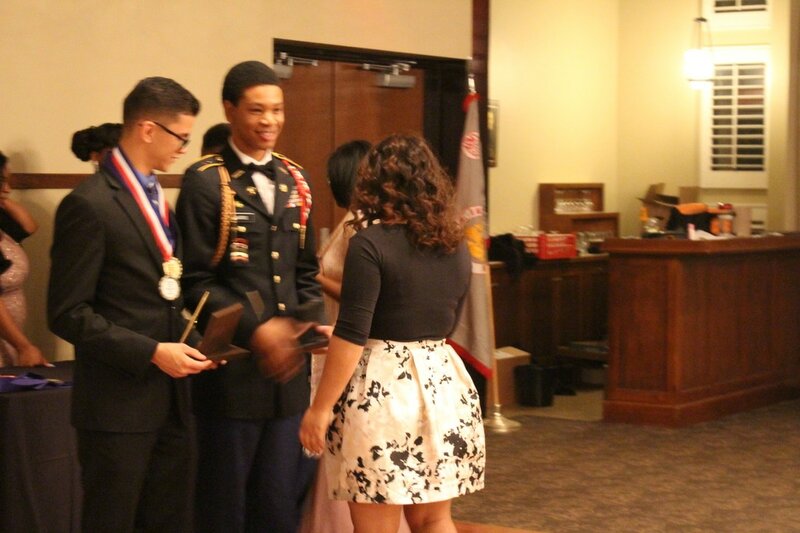 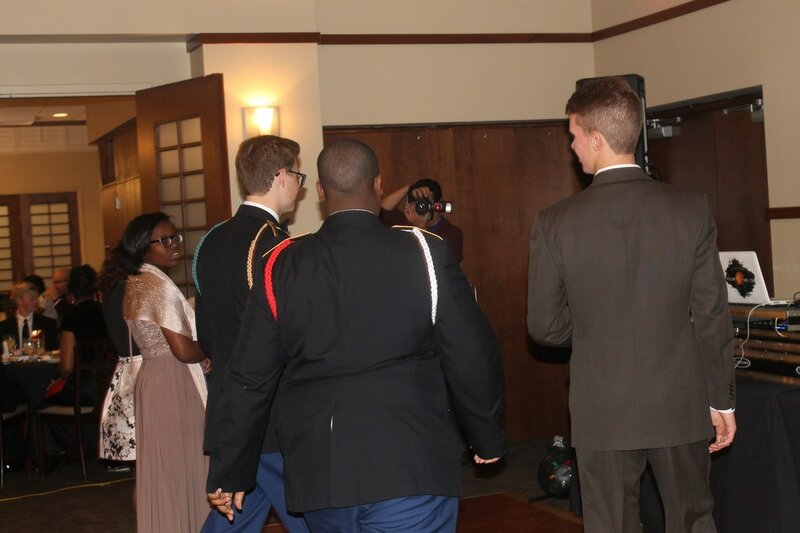 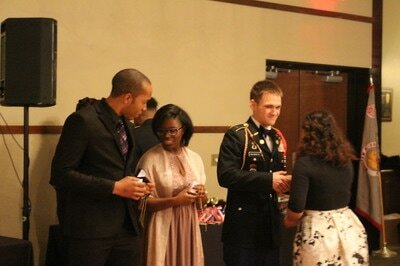 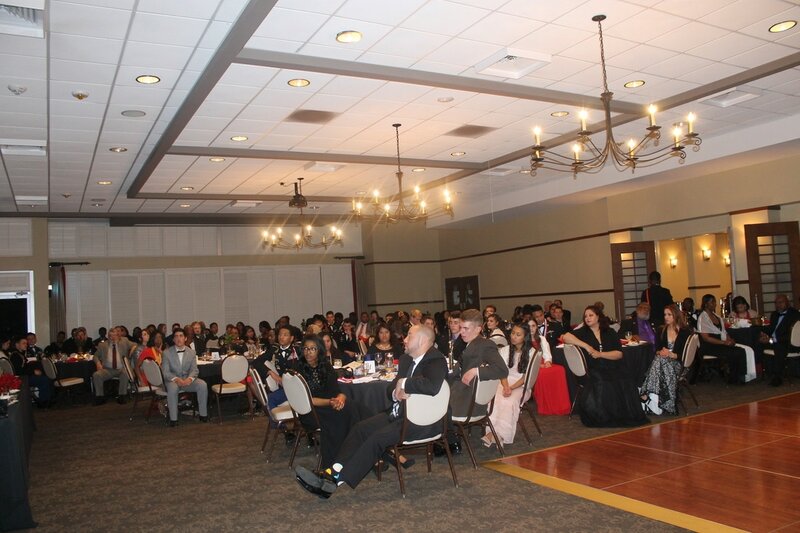 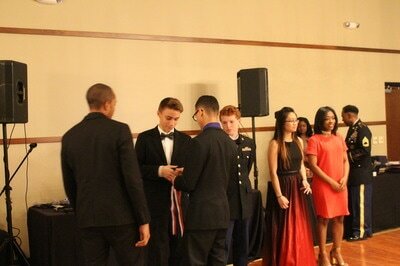 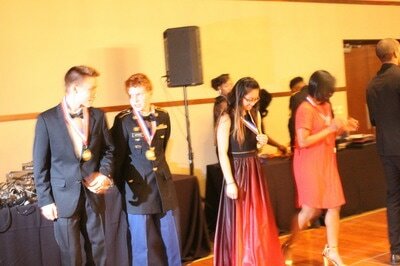 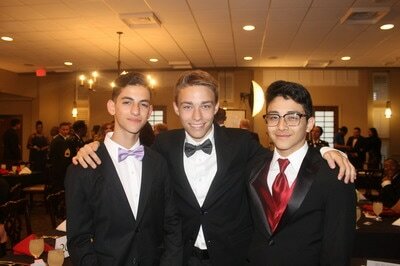 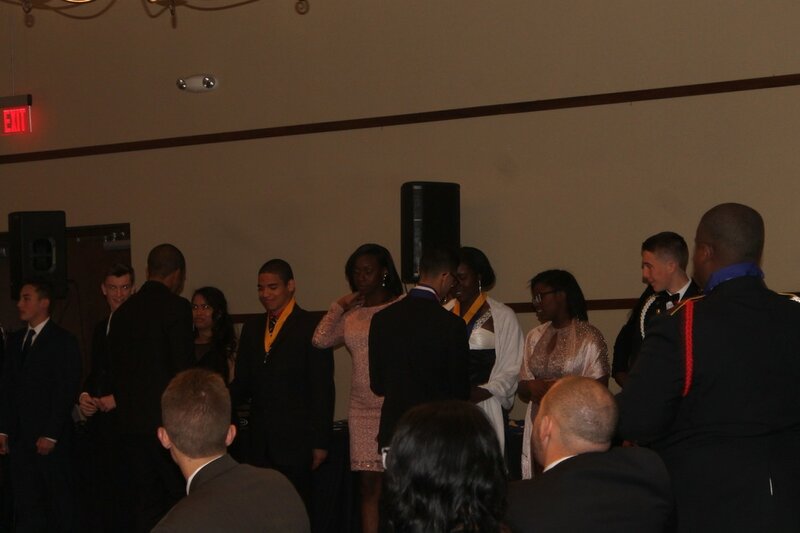 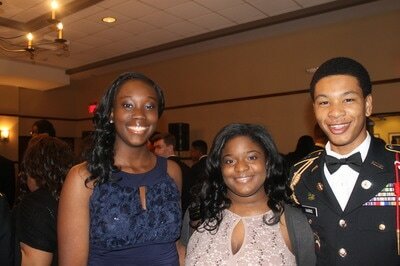 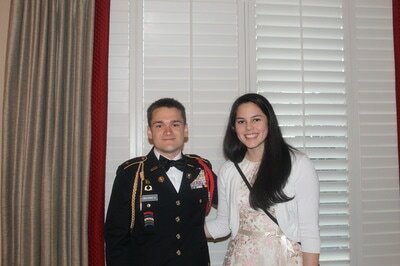 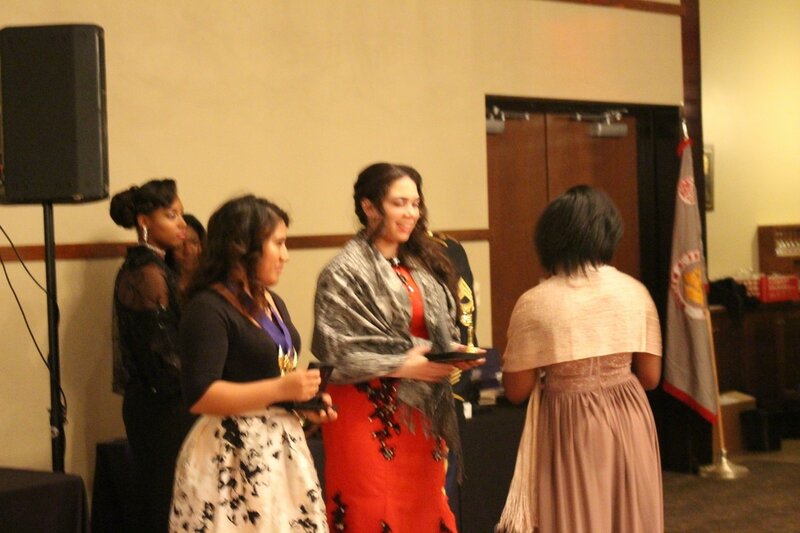 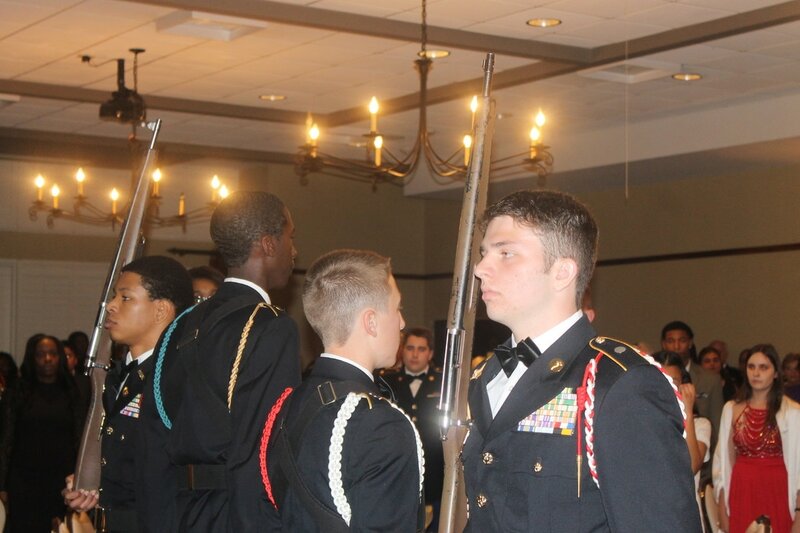 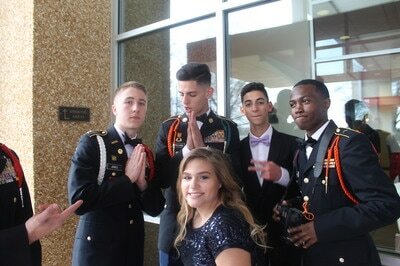 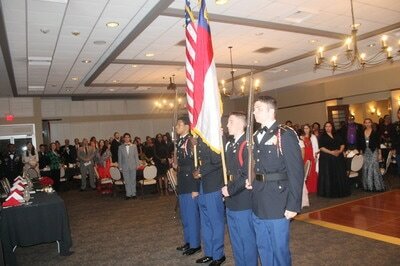 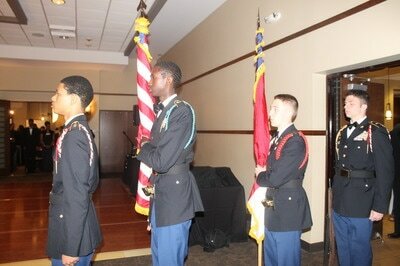 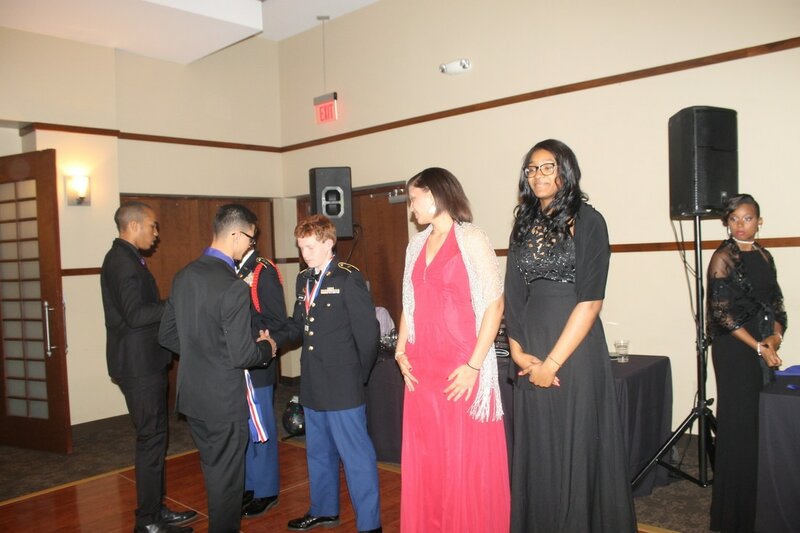 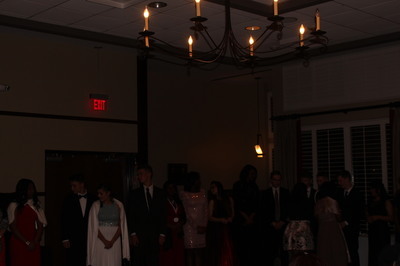 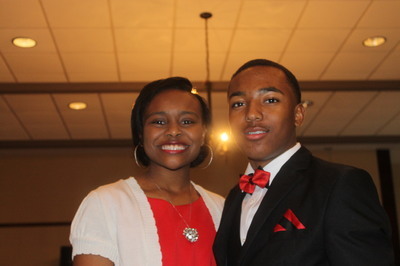 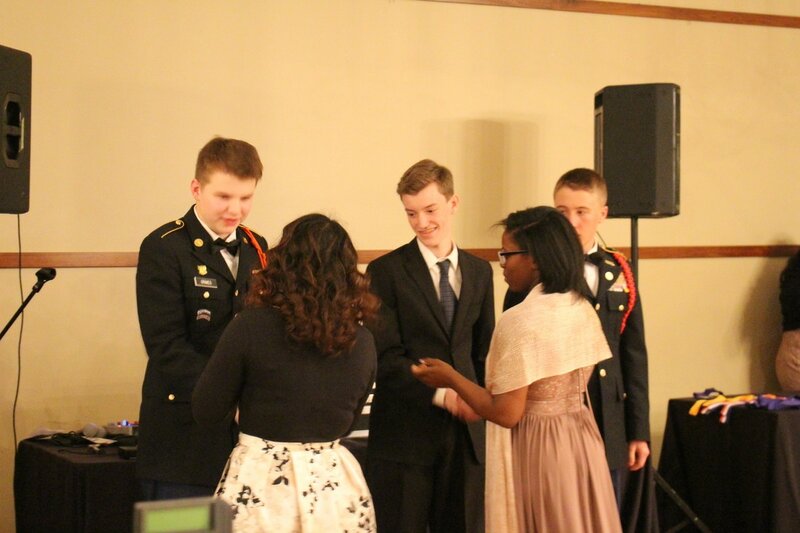 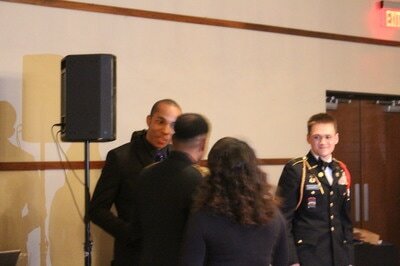 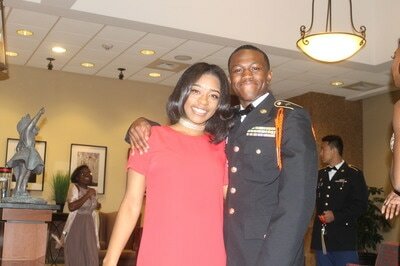 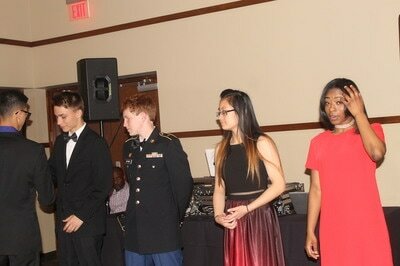 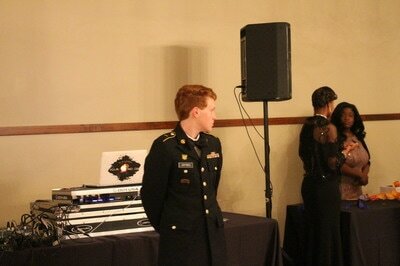 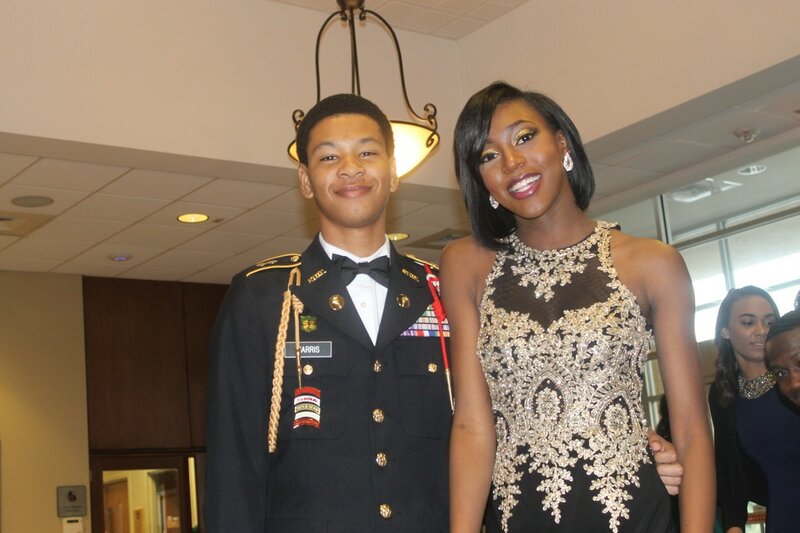 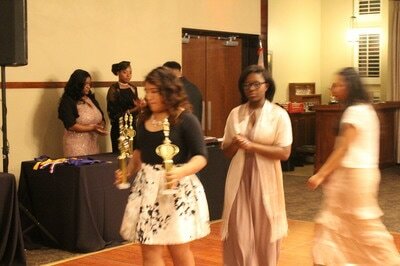 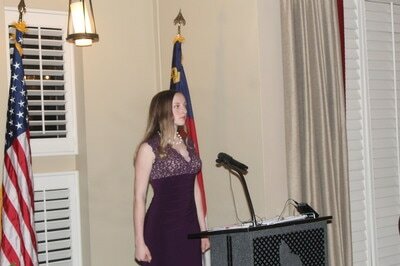 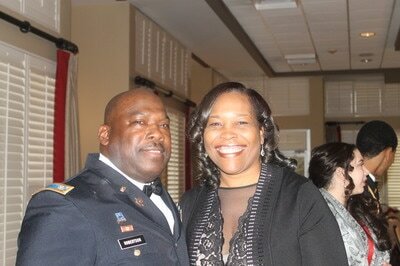 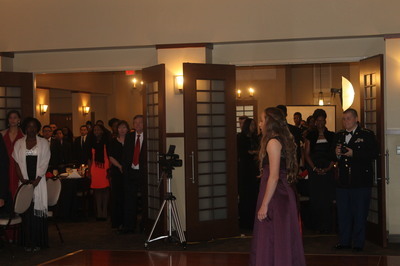 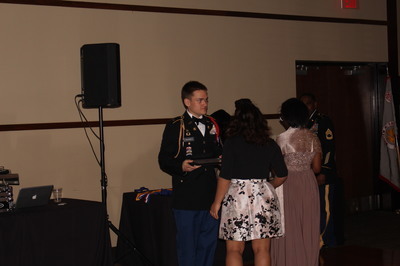 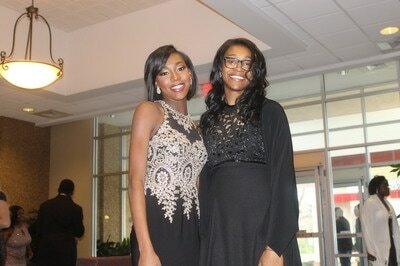 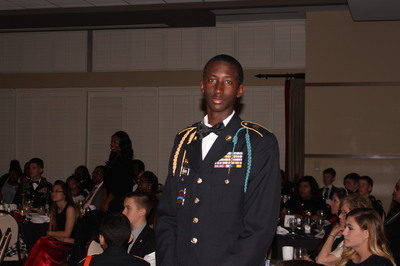 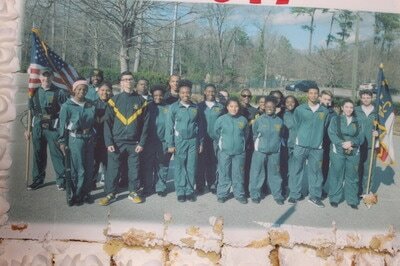 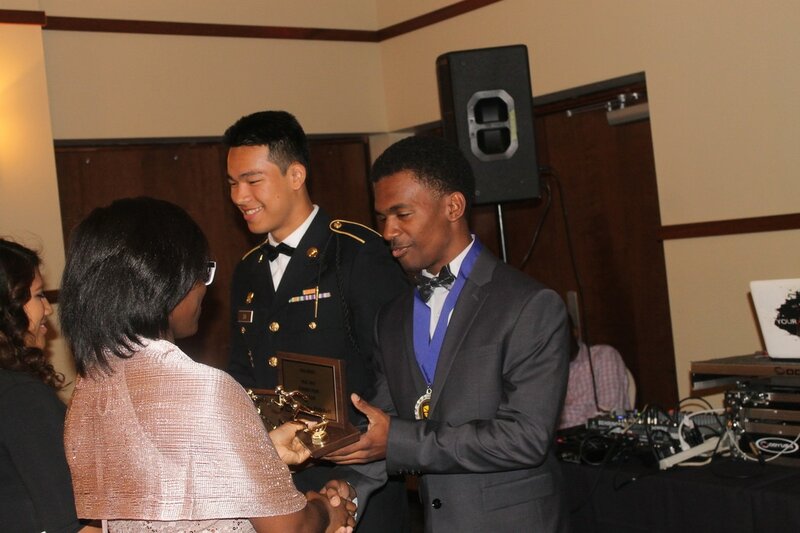 The JROTC military ball is an annual formal function that is planned and attended by the cadets. 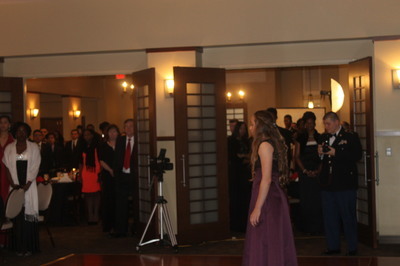 Military personnel and male cadets dress in formal uniforms and female cadets may wear a formal dress. 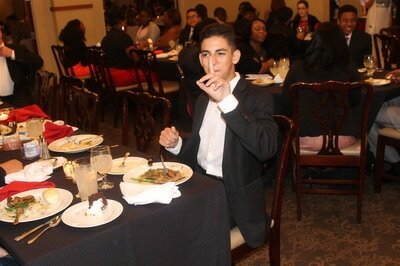 Male guests are expected to dress in a suit and female guests a formal dress. Females attending the ball wear a conservative formal dress, one that is either floor length or at the knee and does not show an excessive amount of skin. 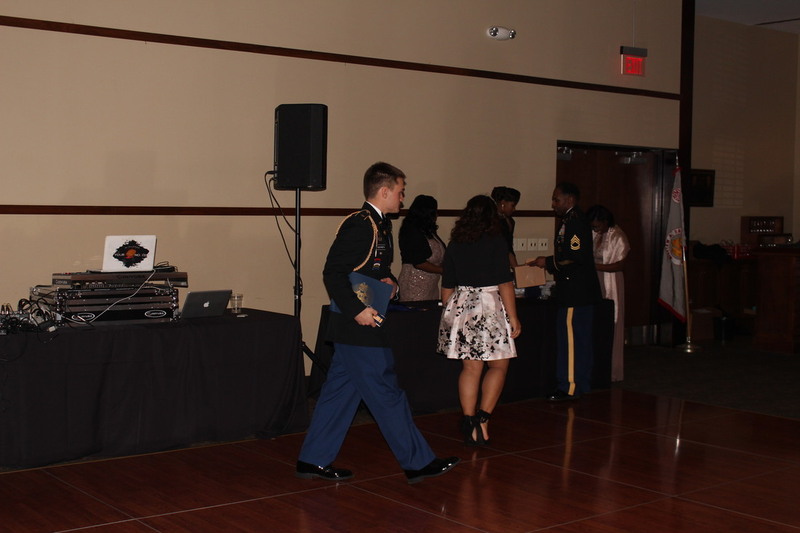 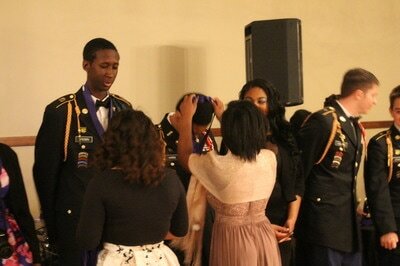 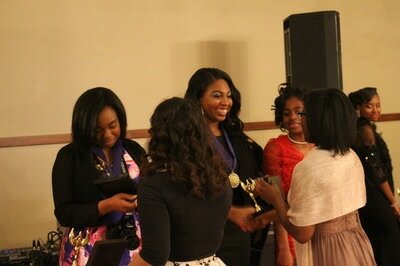 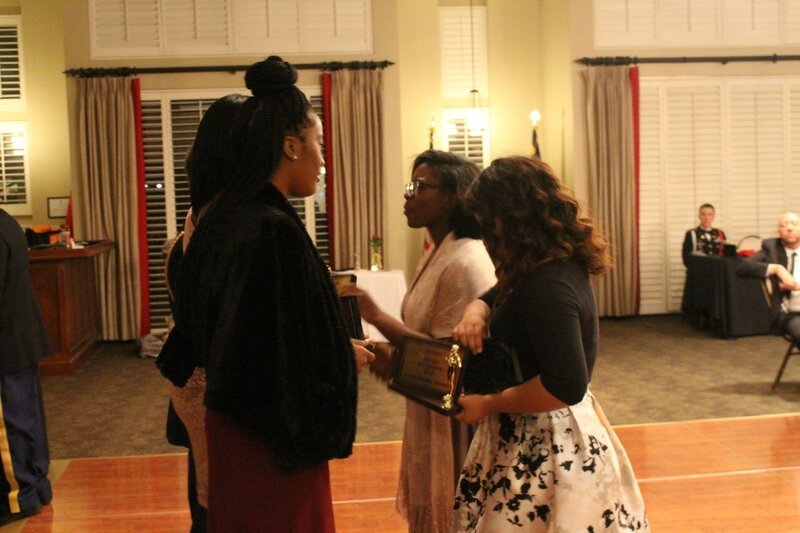 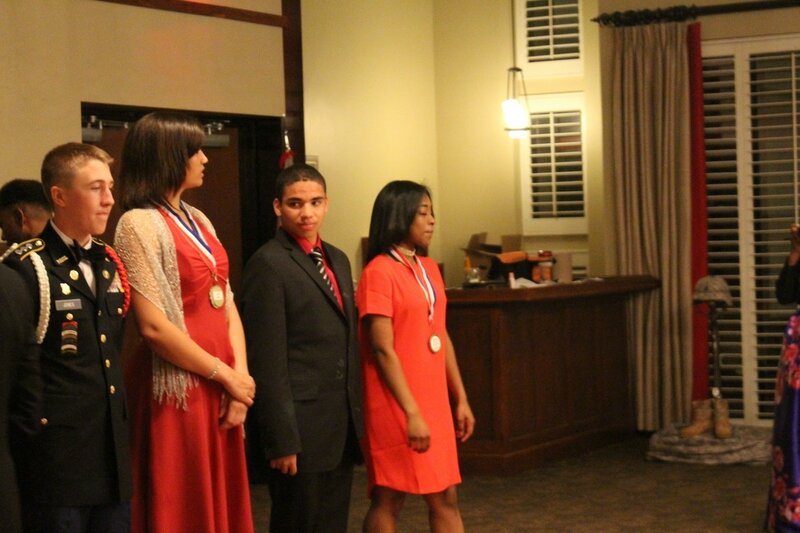 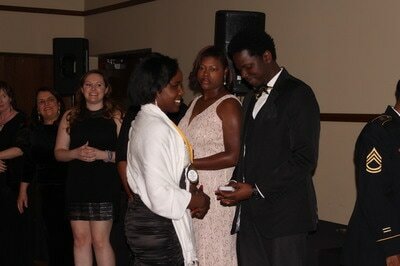 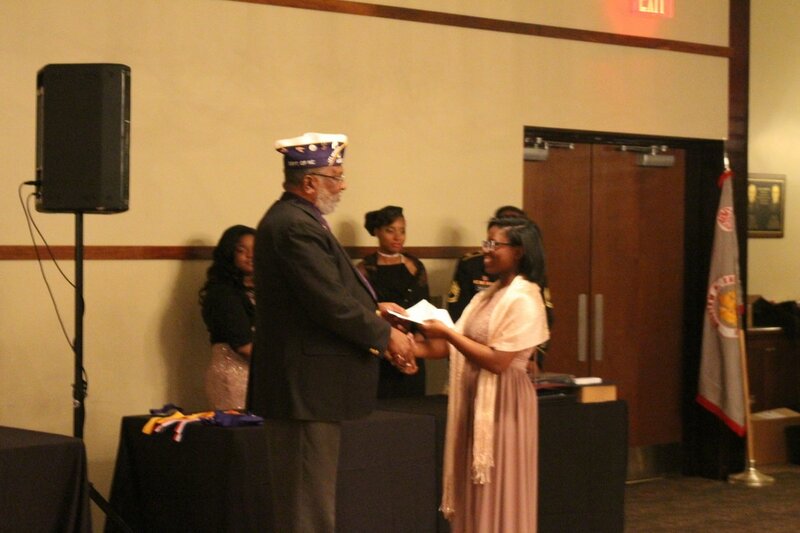 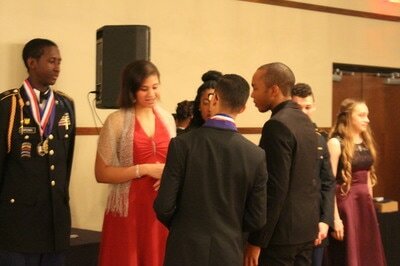 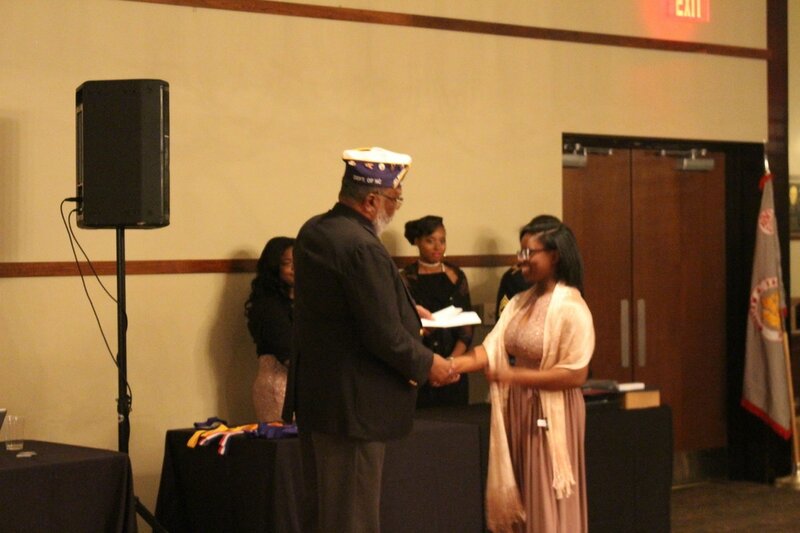 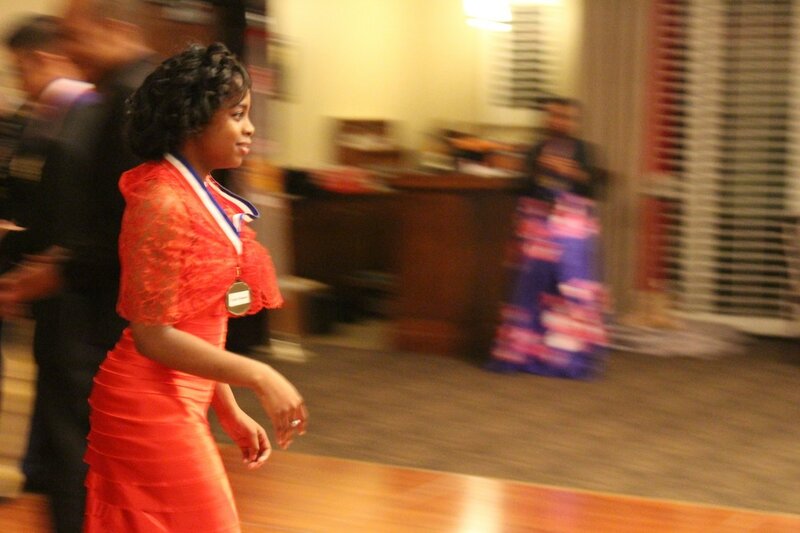 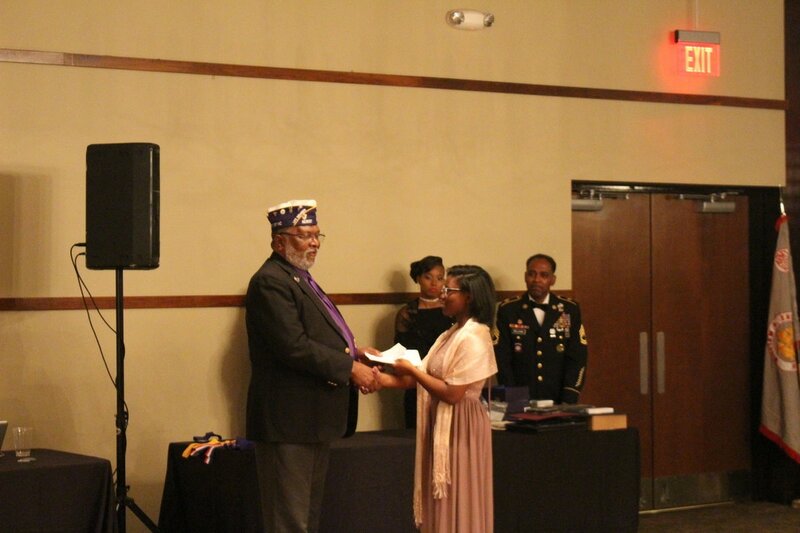 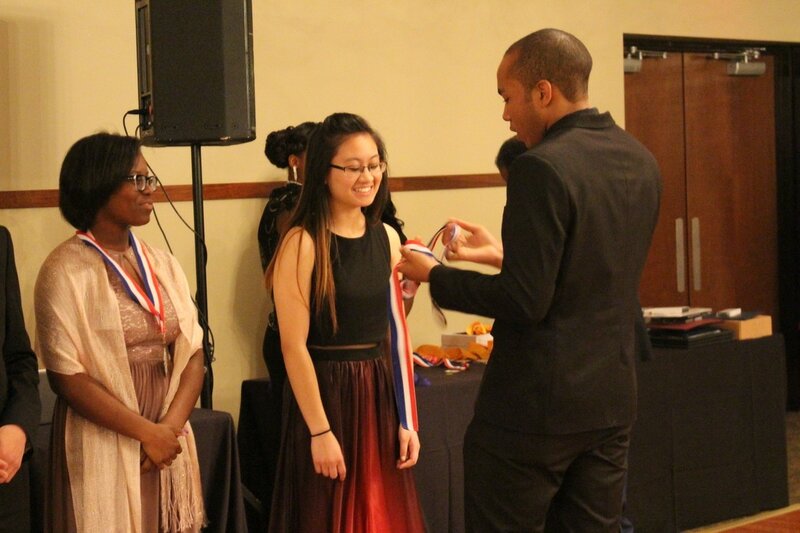 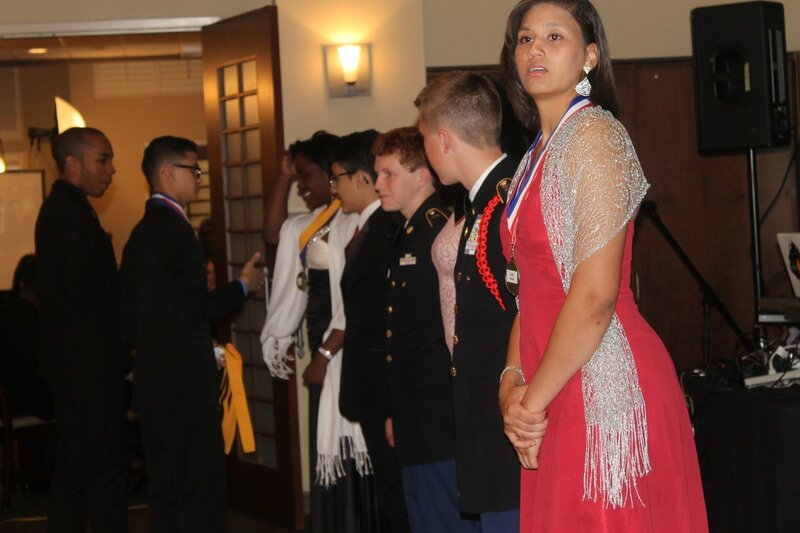 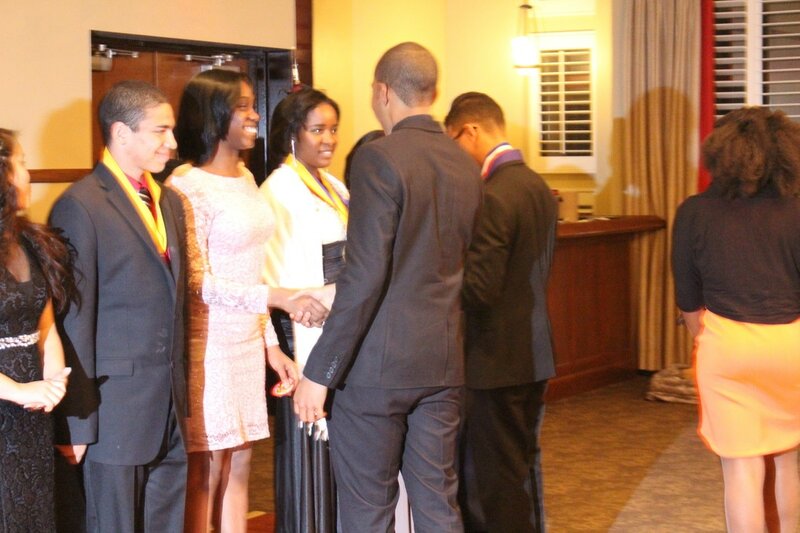 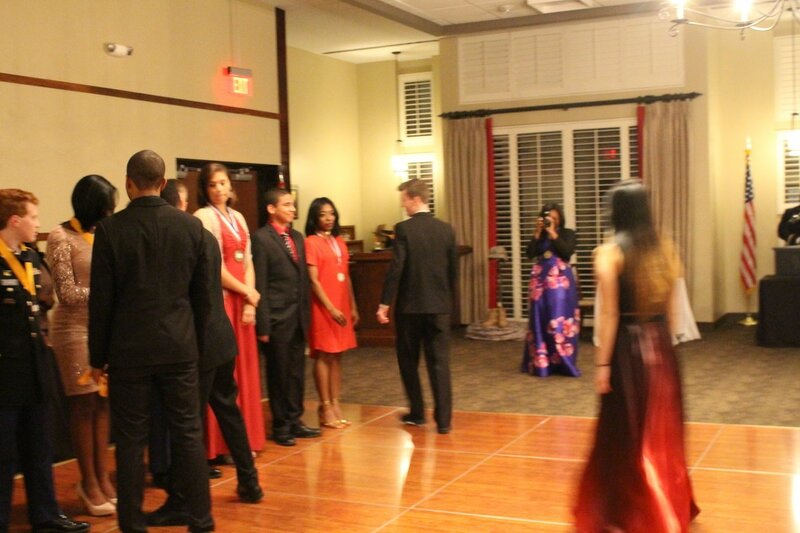 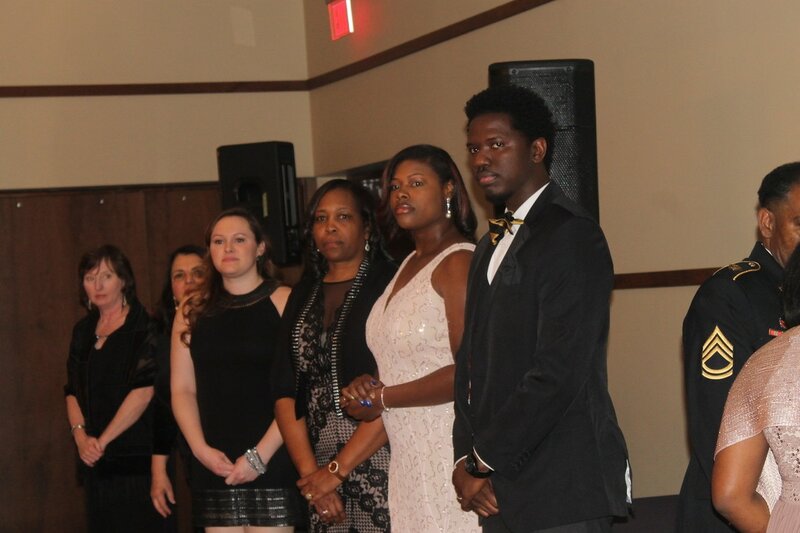 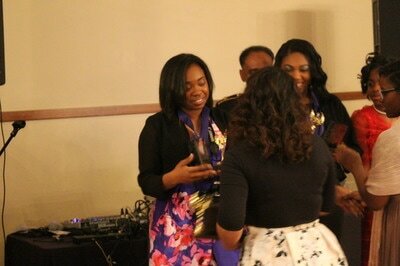 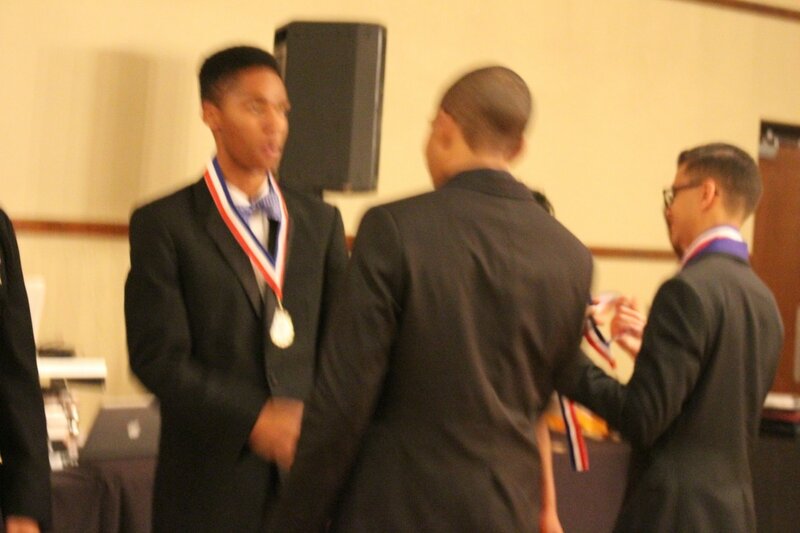 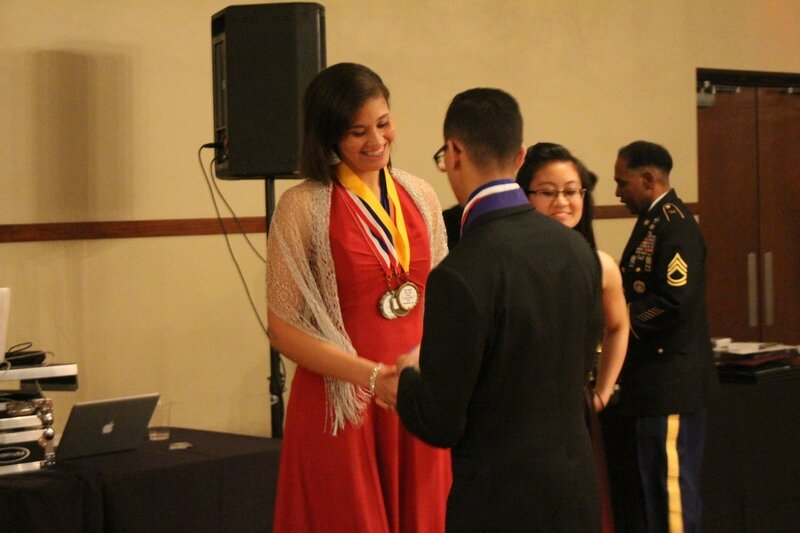 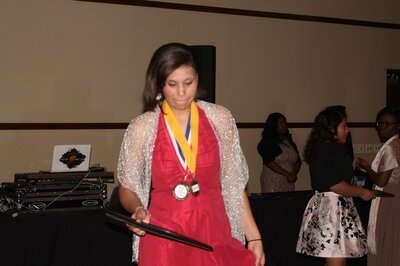 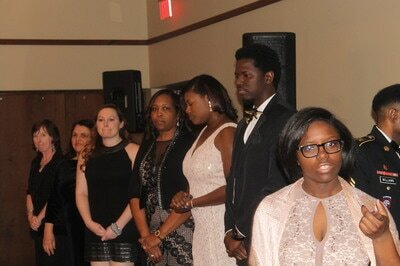 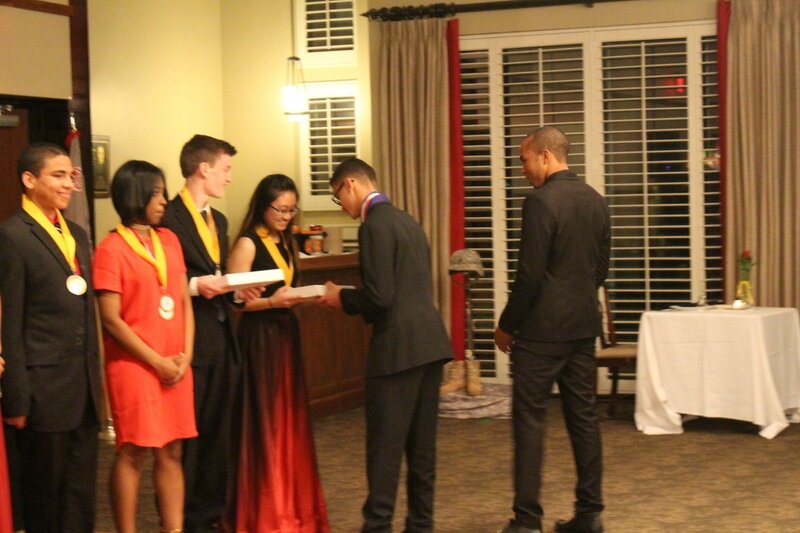 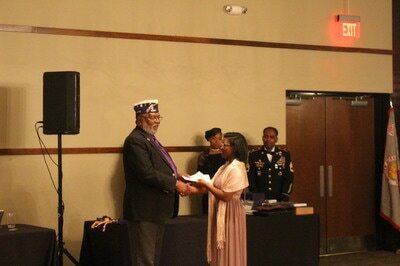 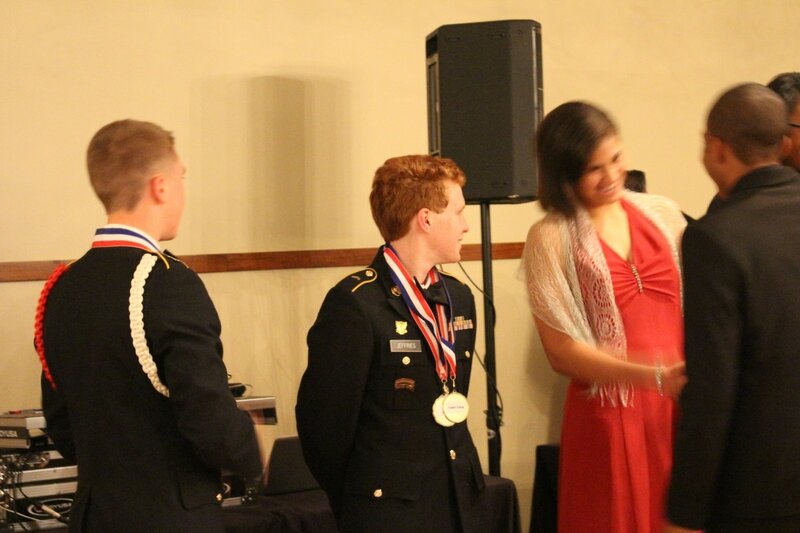 There are different sections to a military ball including a social hour, dinner, awards ceremony and dance portion. 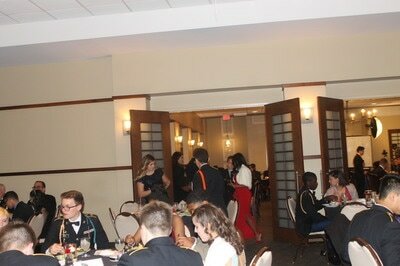 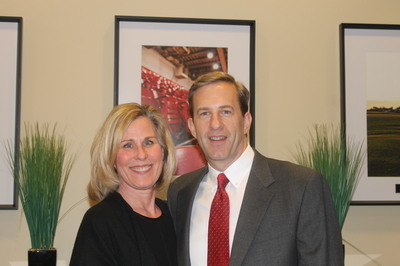 The social hour is when guests are encouraged to mingle. The dinner has multiple courses, during which toasts and traditions are observed that are specific to each military branch. 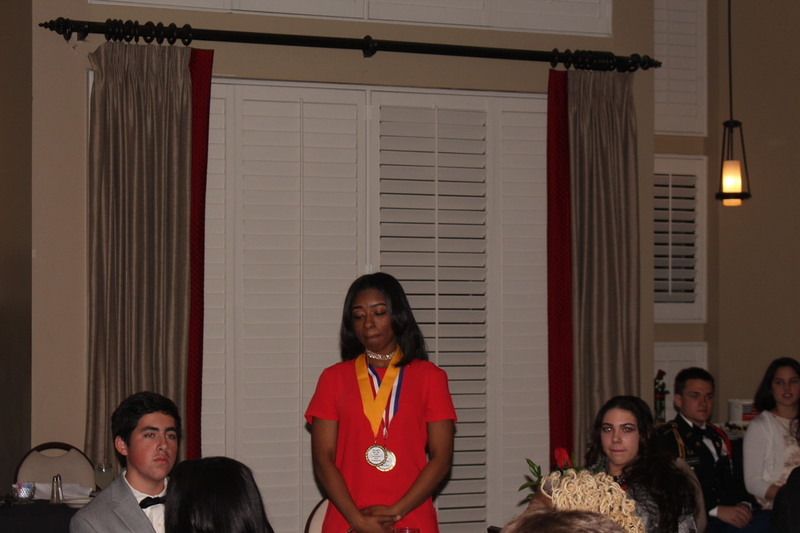 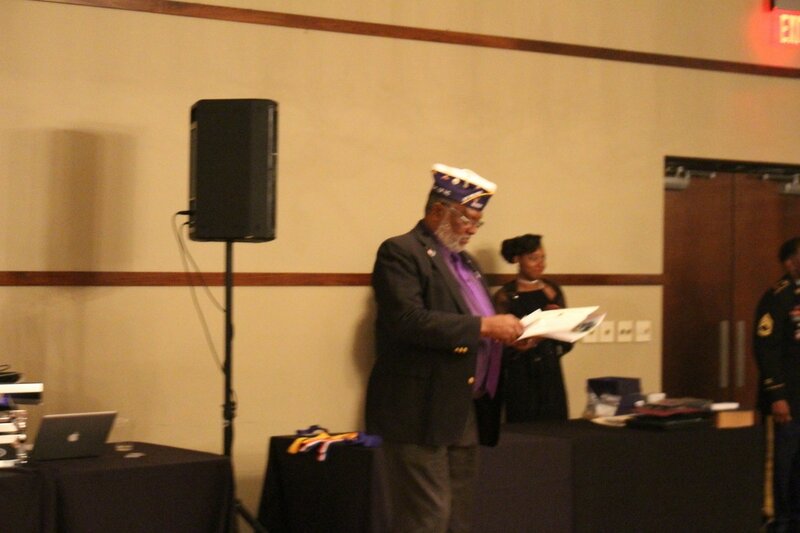 Guests are required to follow a printed program and respond correctly to each toast or tradition, including standing when the American flag is presented. This a great event for cadets to experience their first formal dinner and dance at a price that is significantly less than the annual Prom. 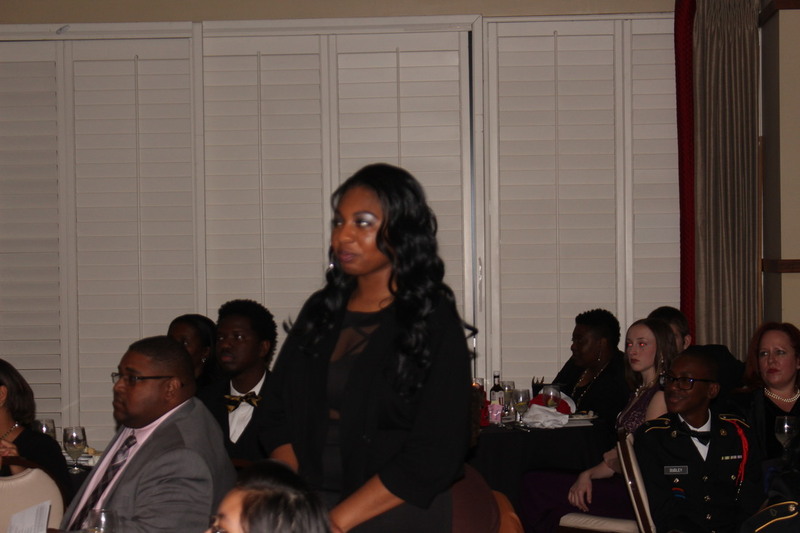 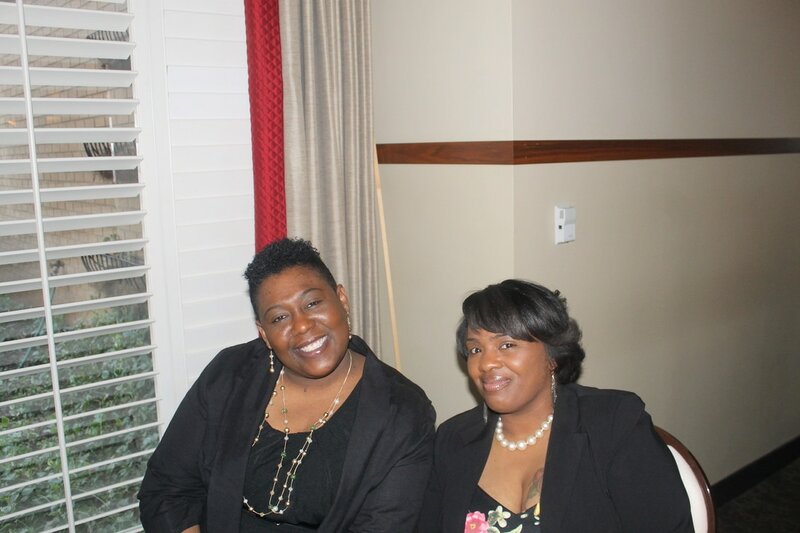 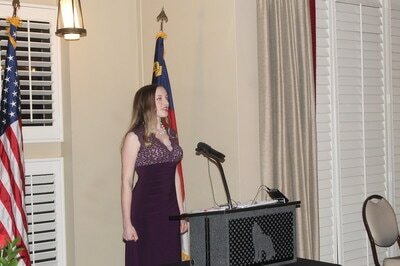 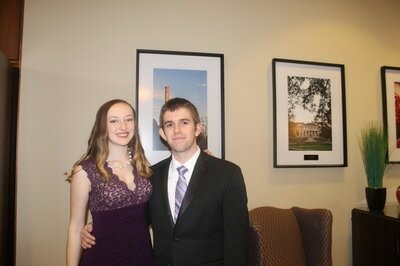 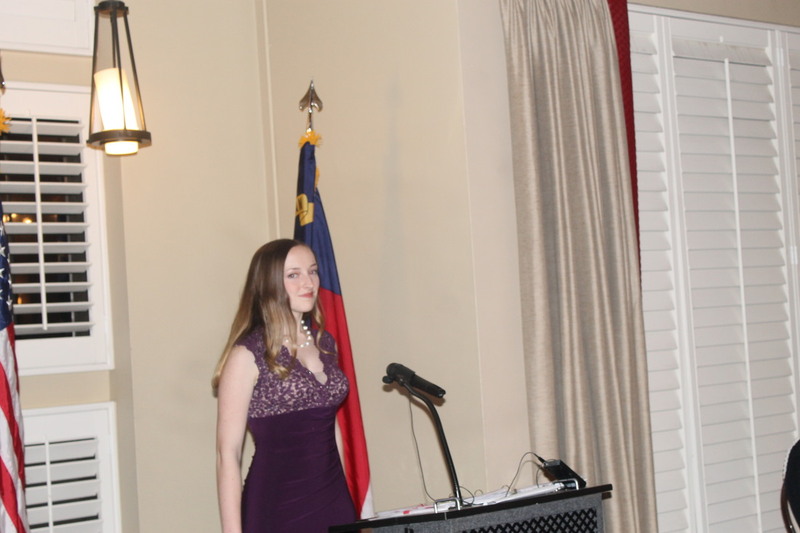 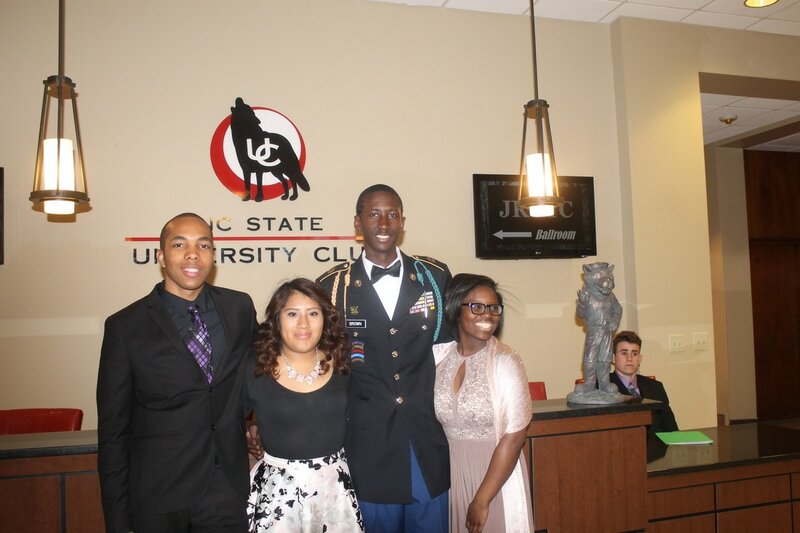 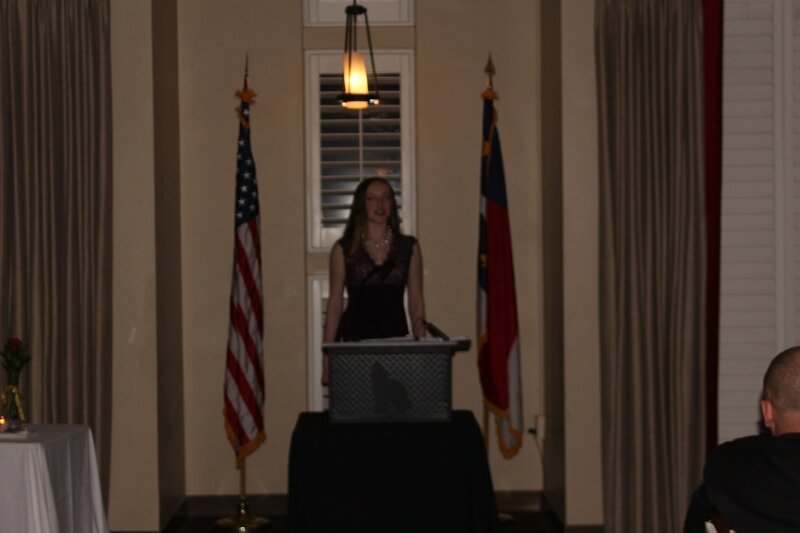 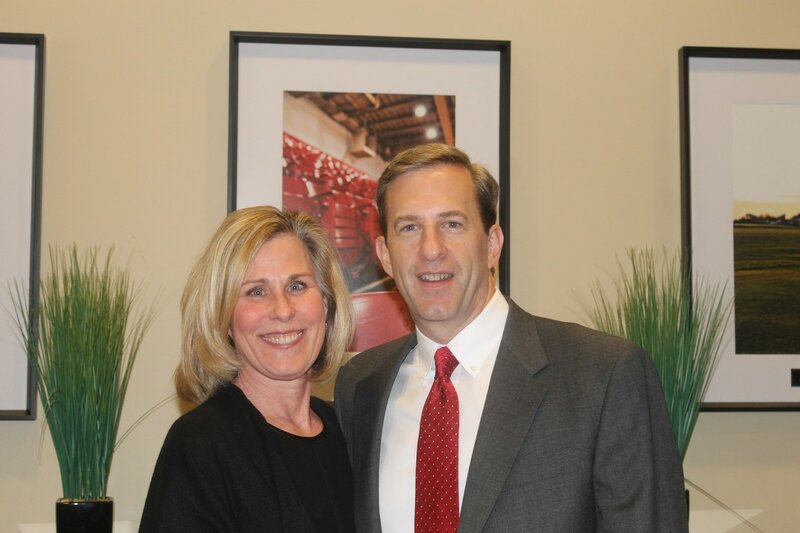 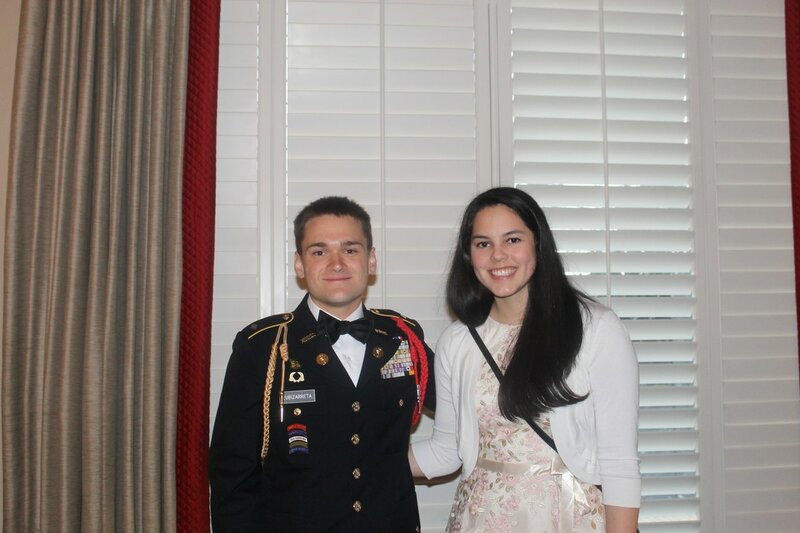 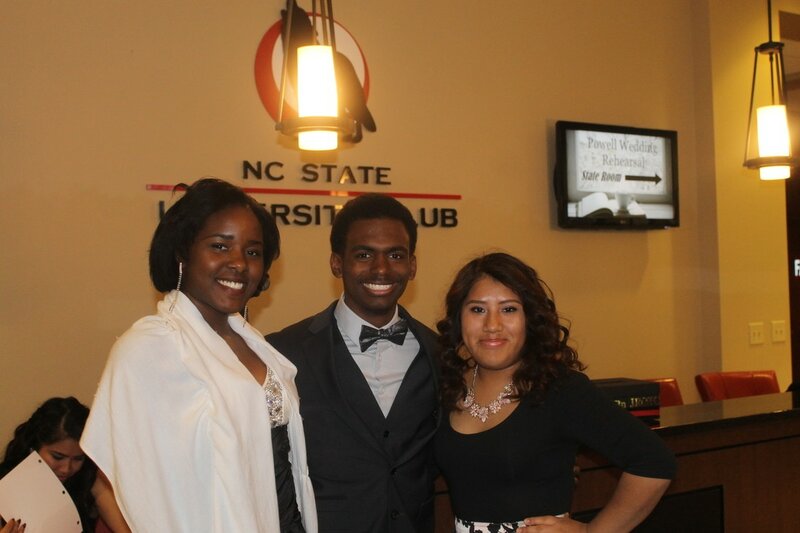 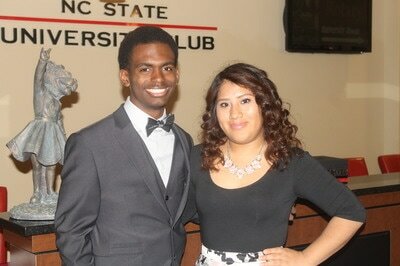 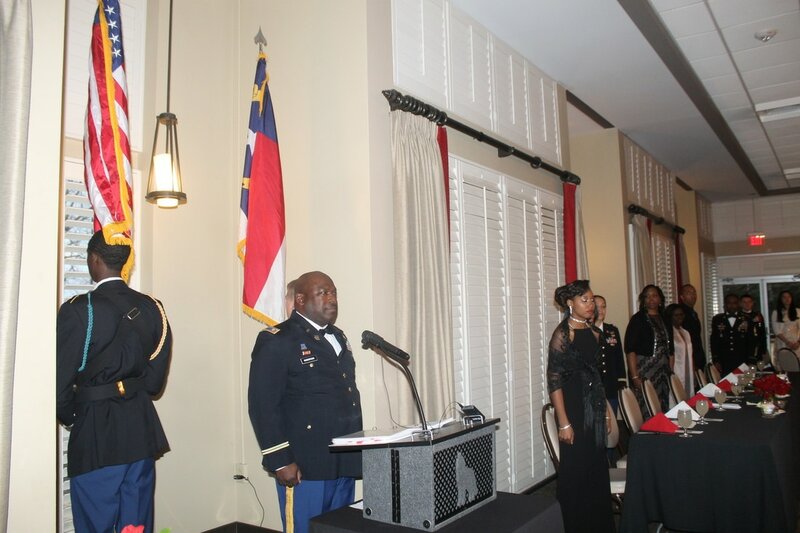 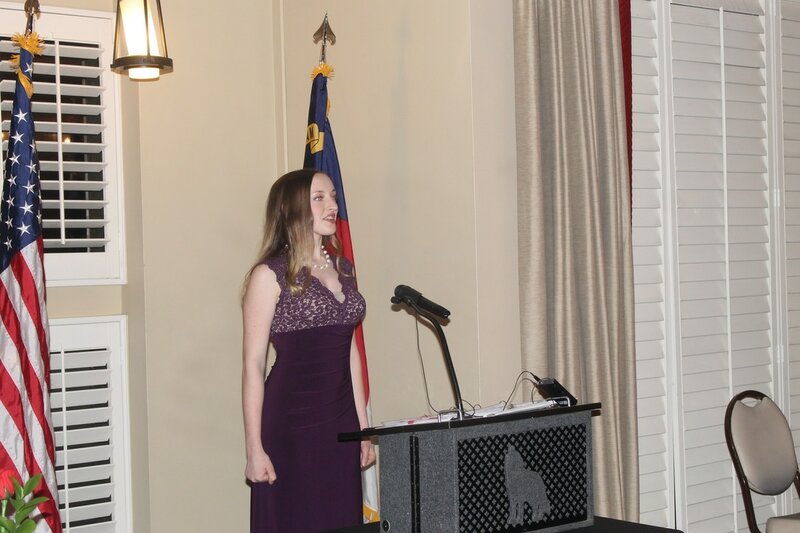 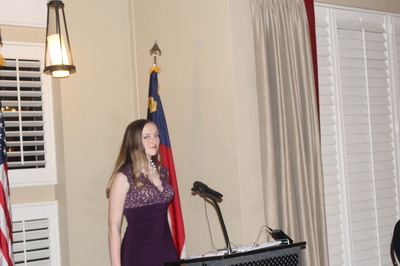 The Military Ball 2017 was held at The NC State University Club on Friday, March 17th 2017.